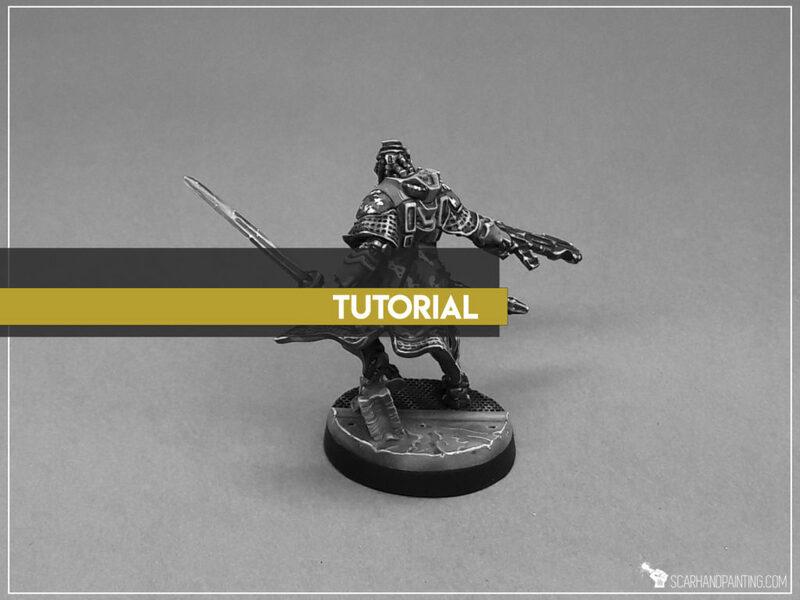 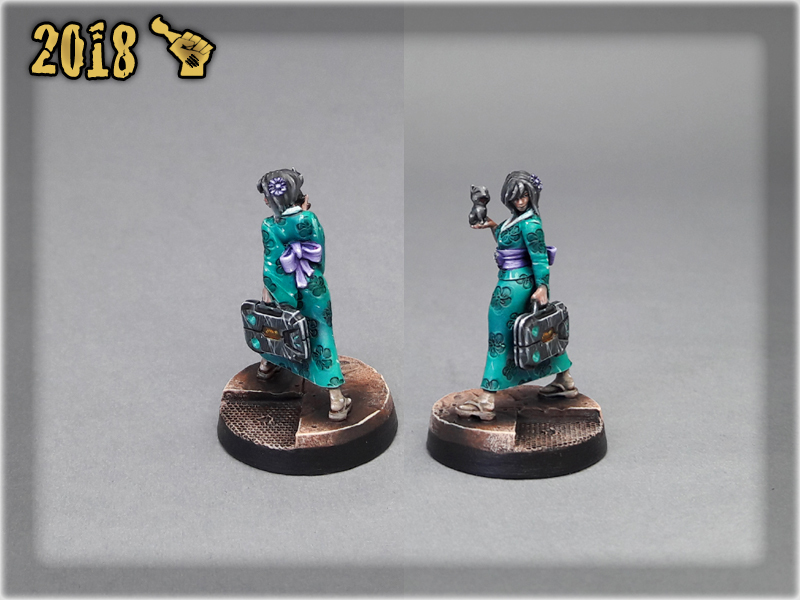 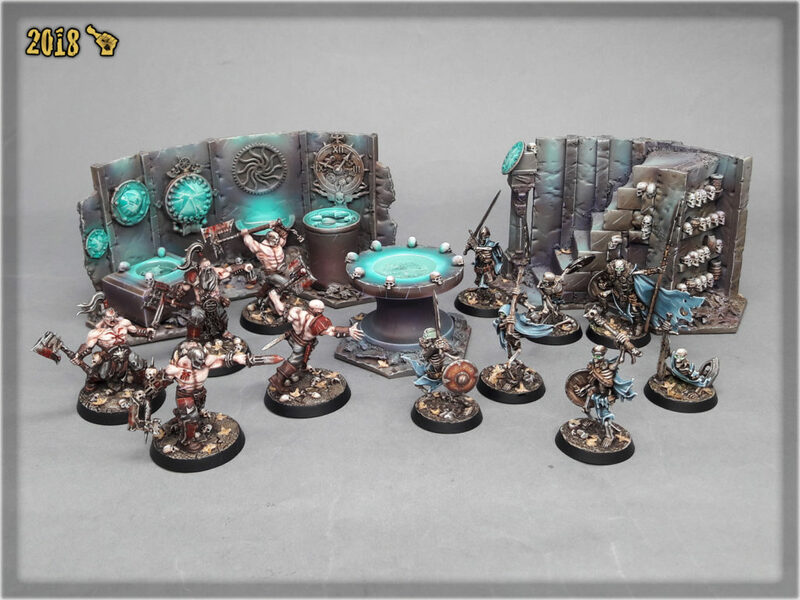 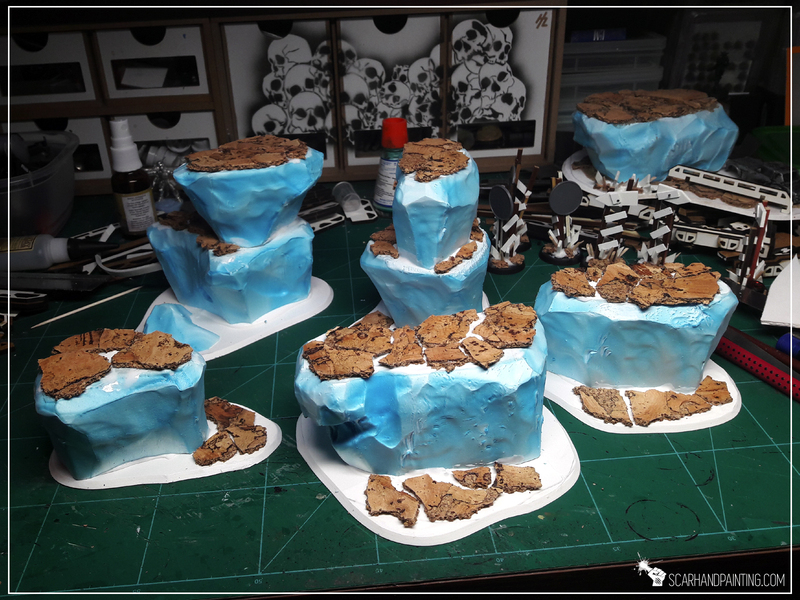 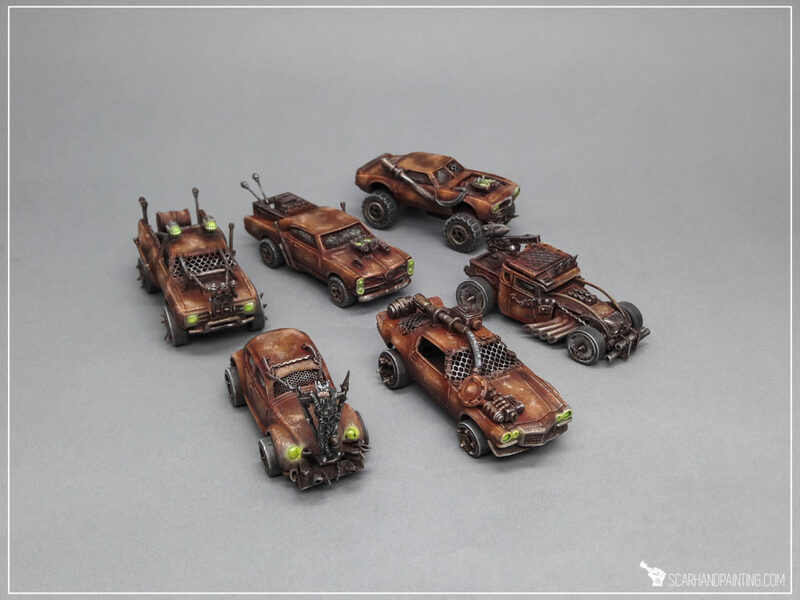 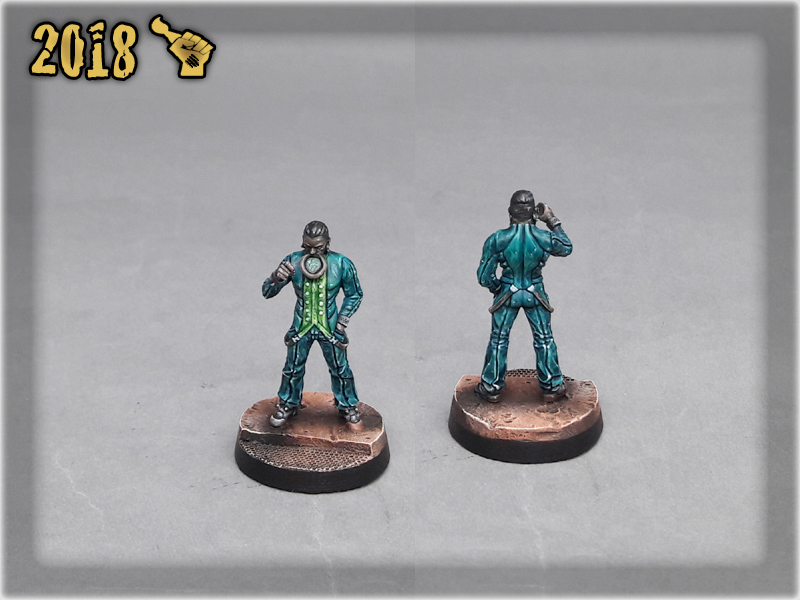 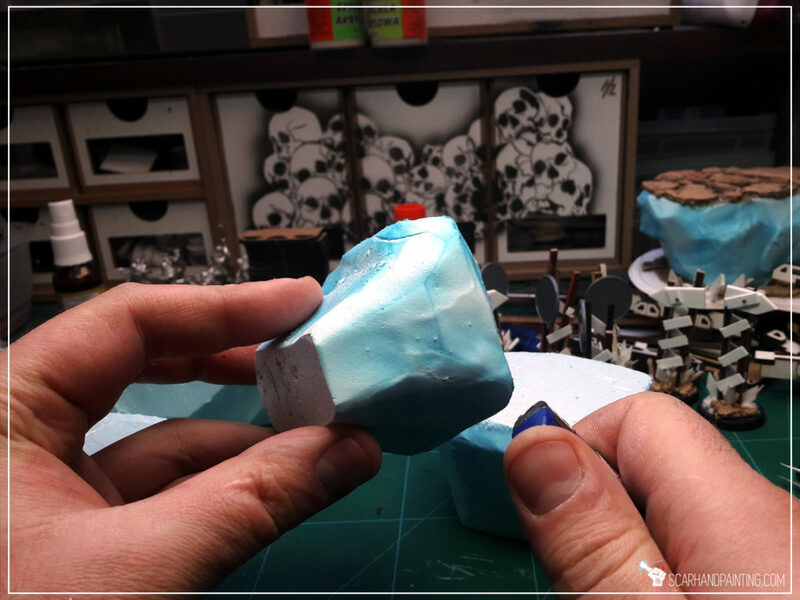 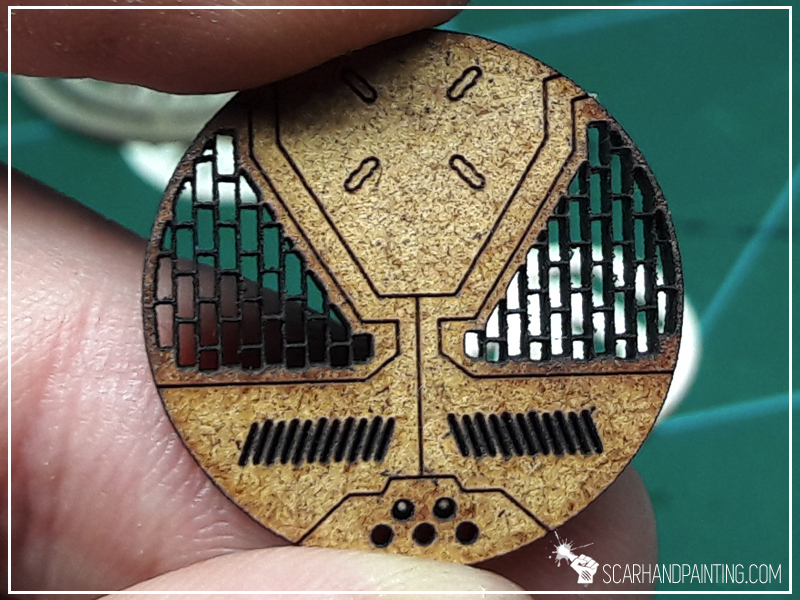 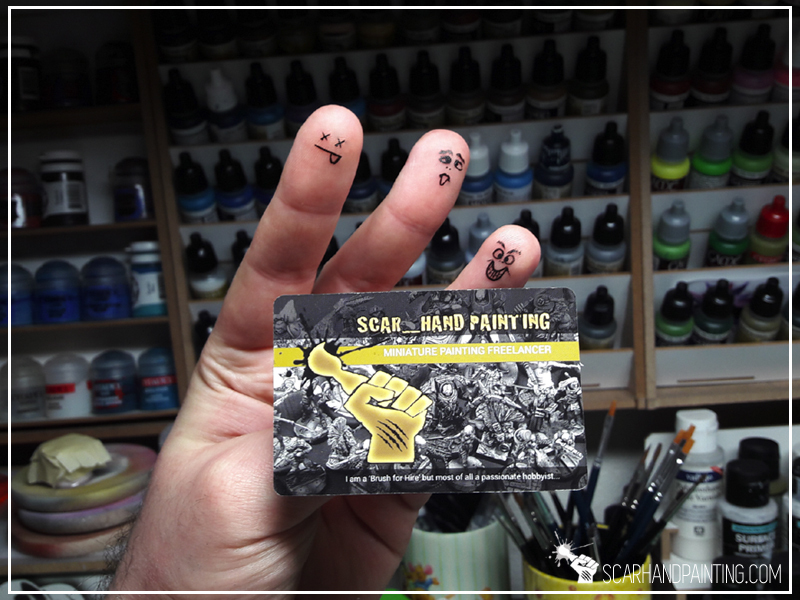 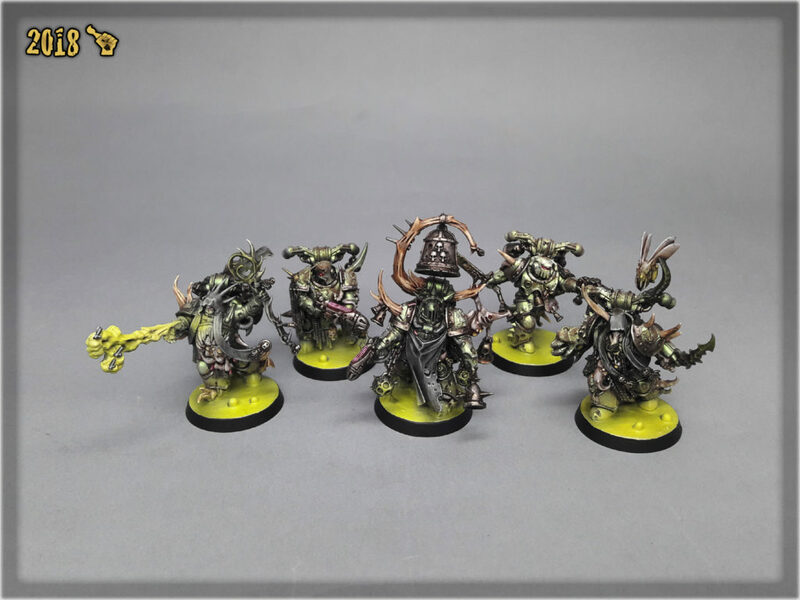 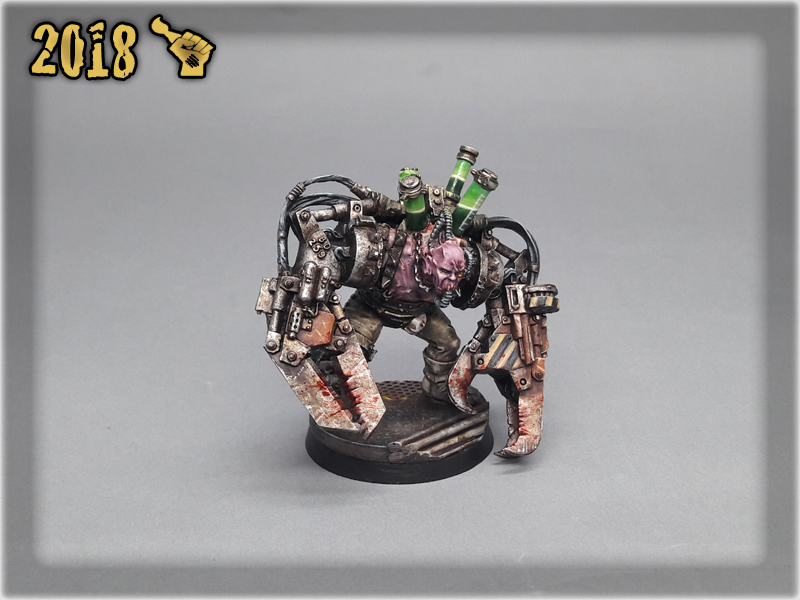 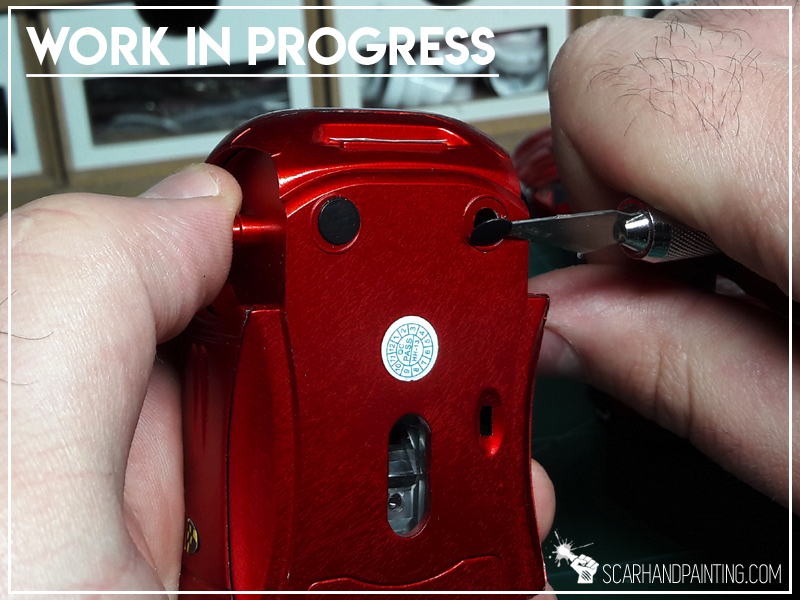 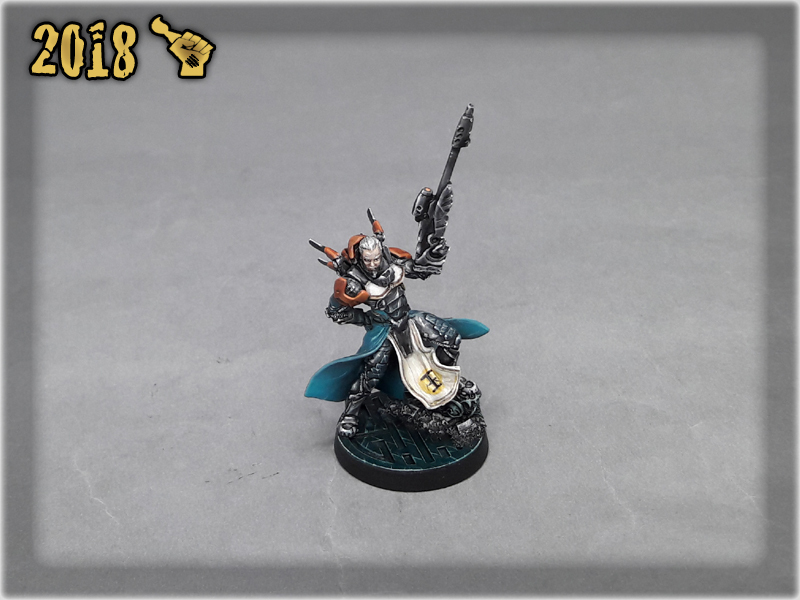 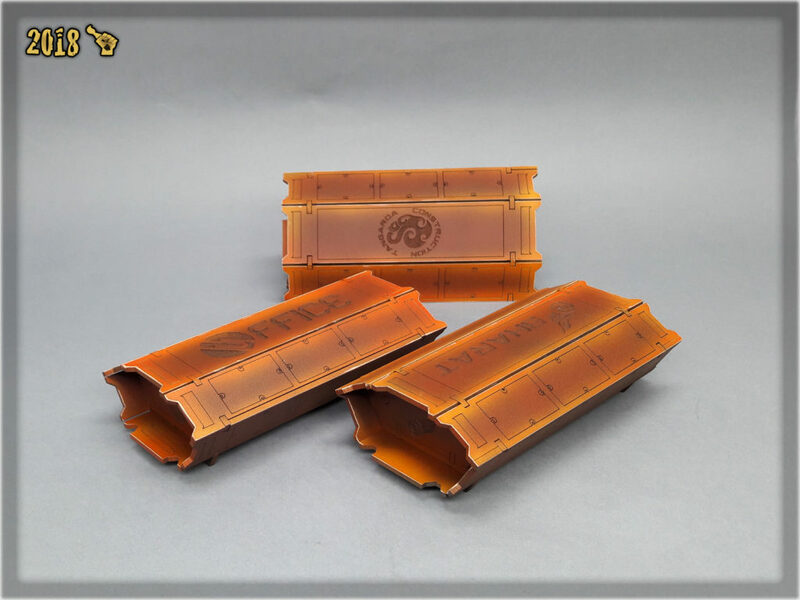 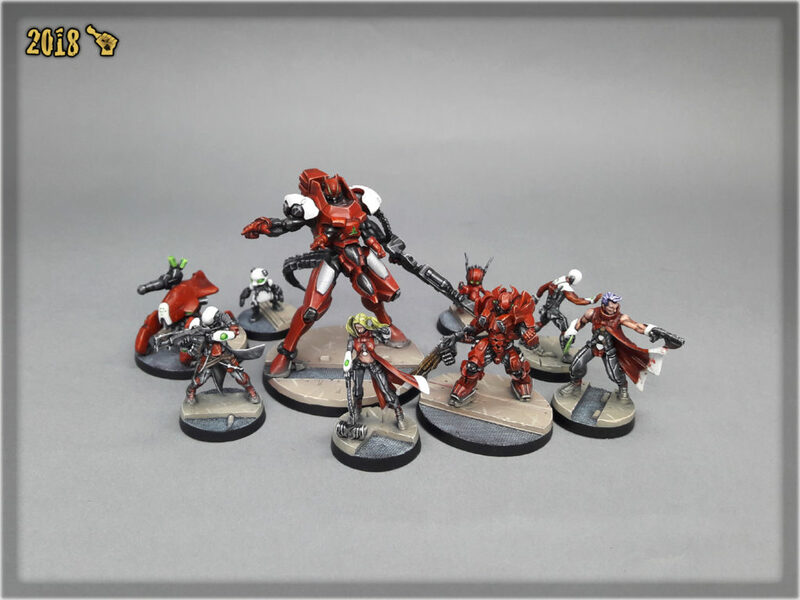 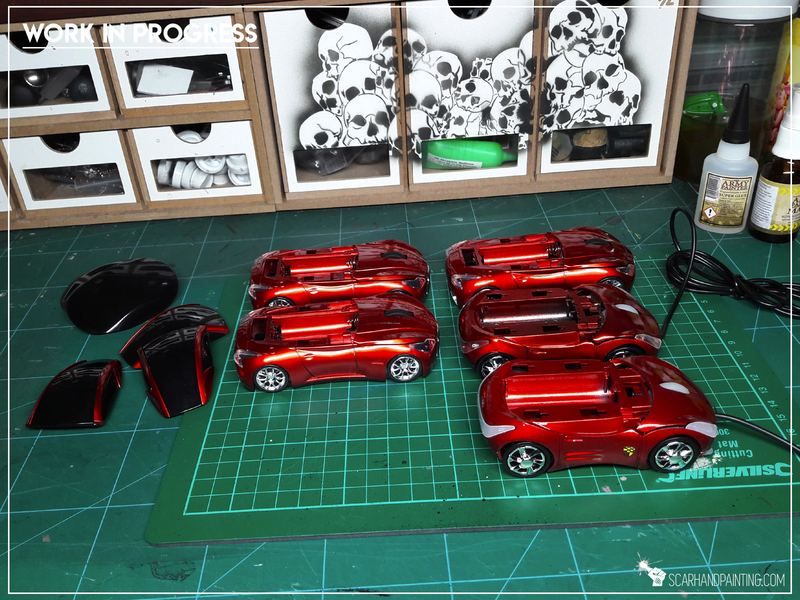 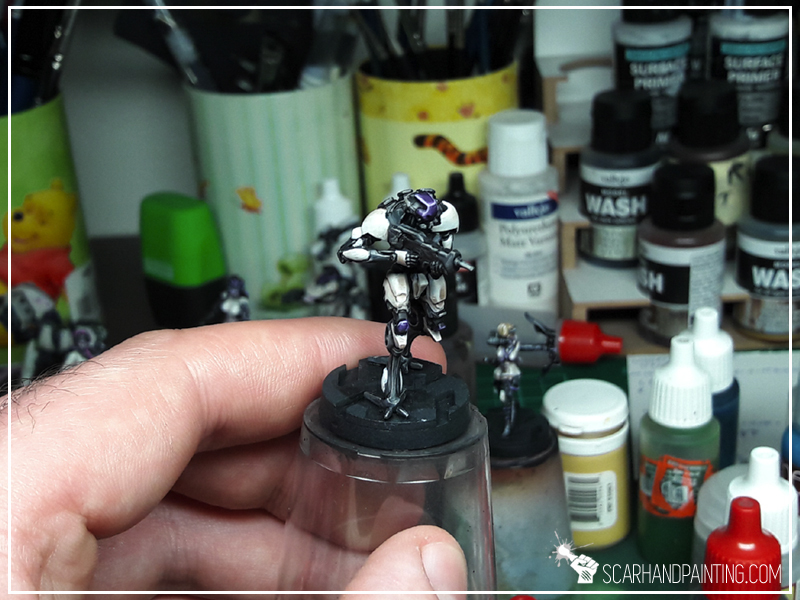 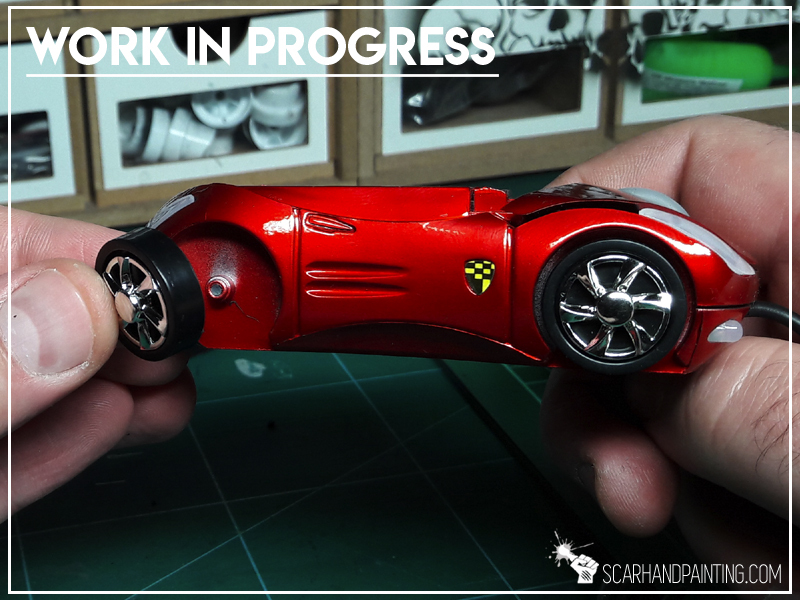 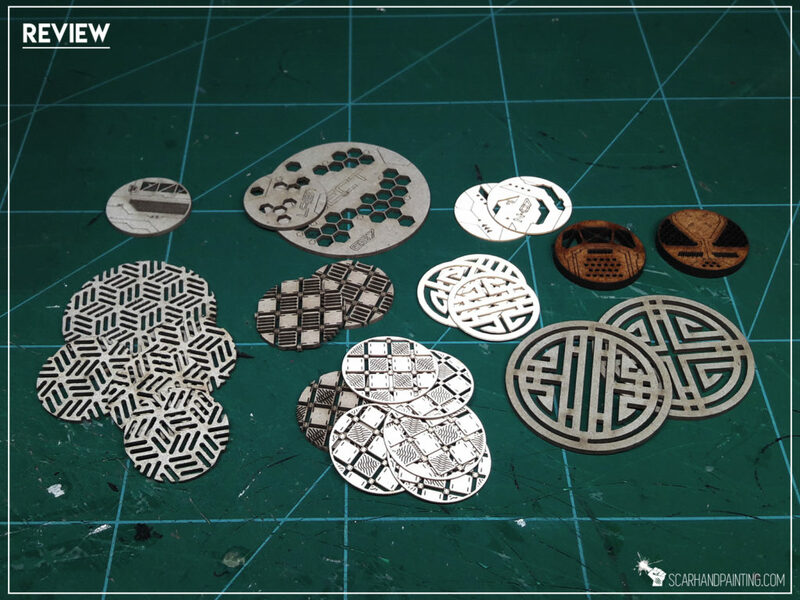 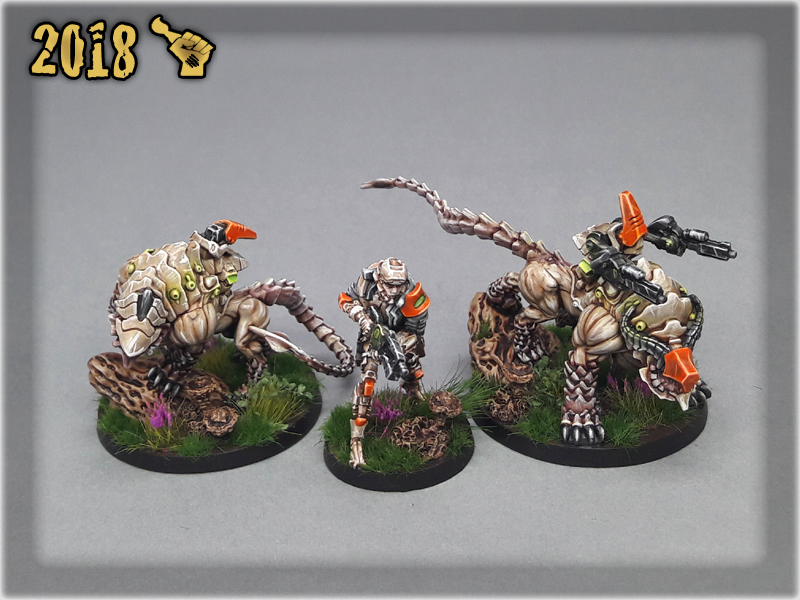 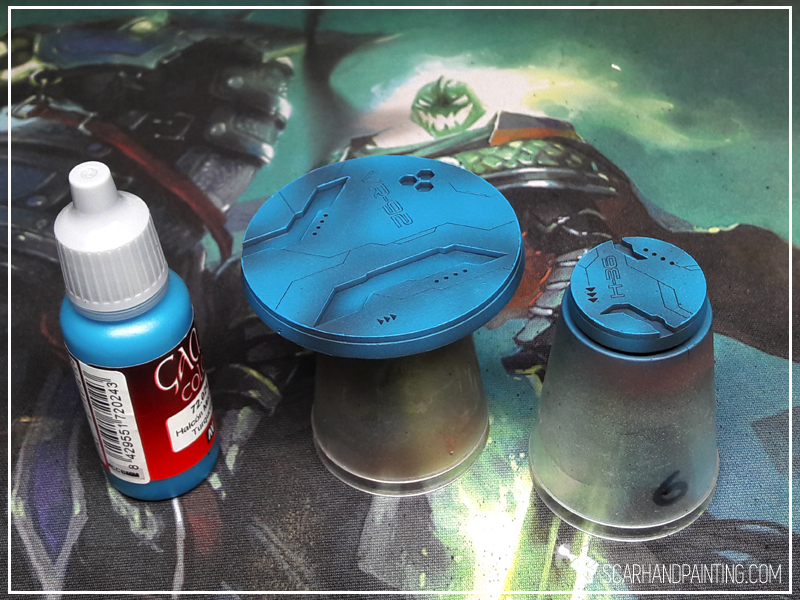 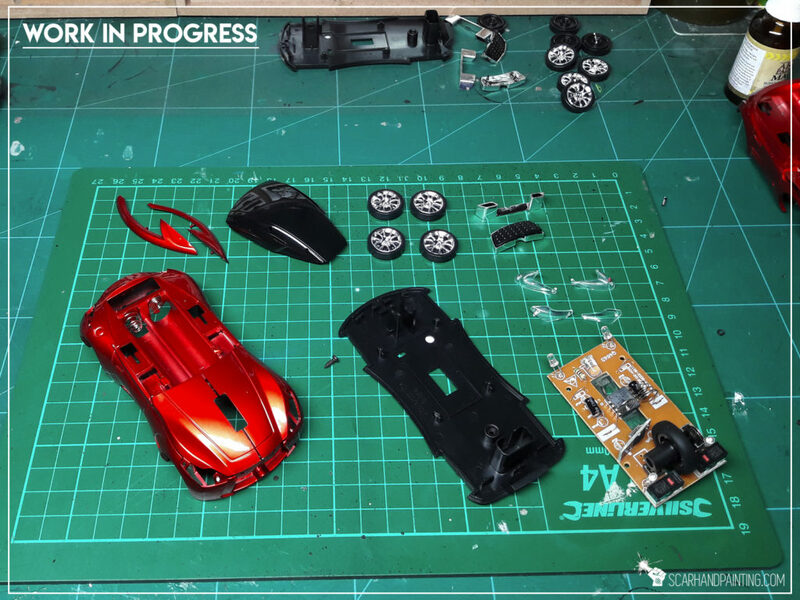 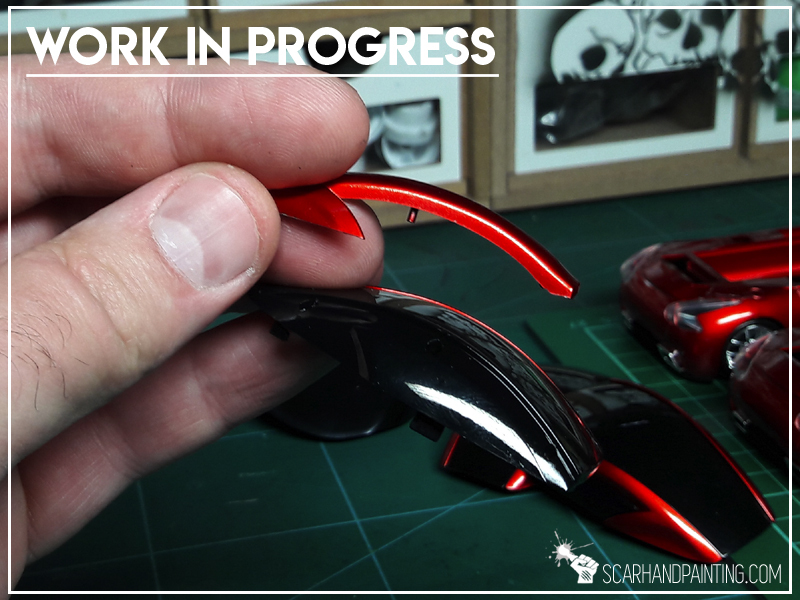 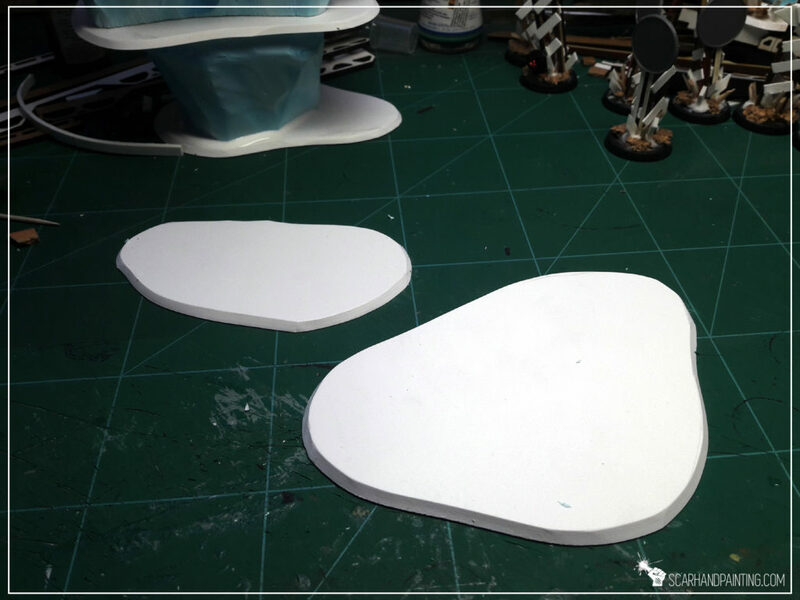 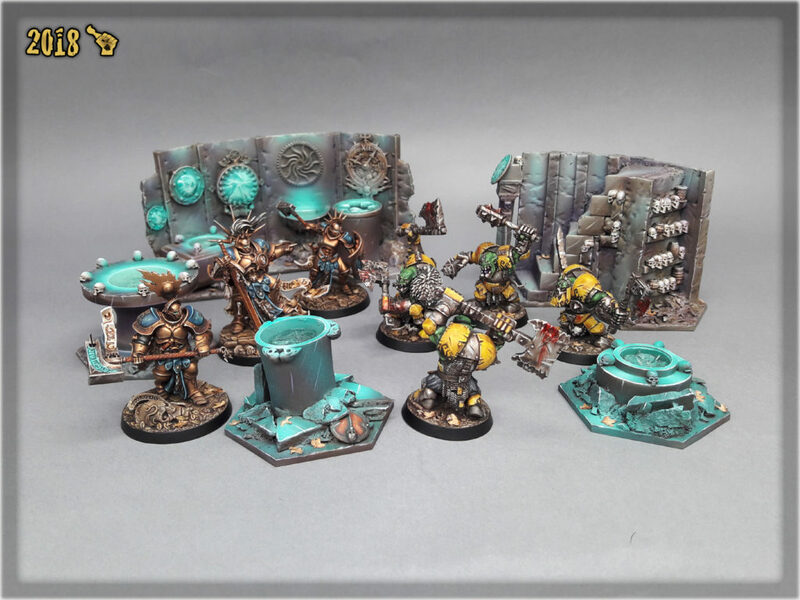 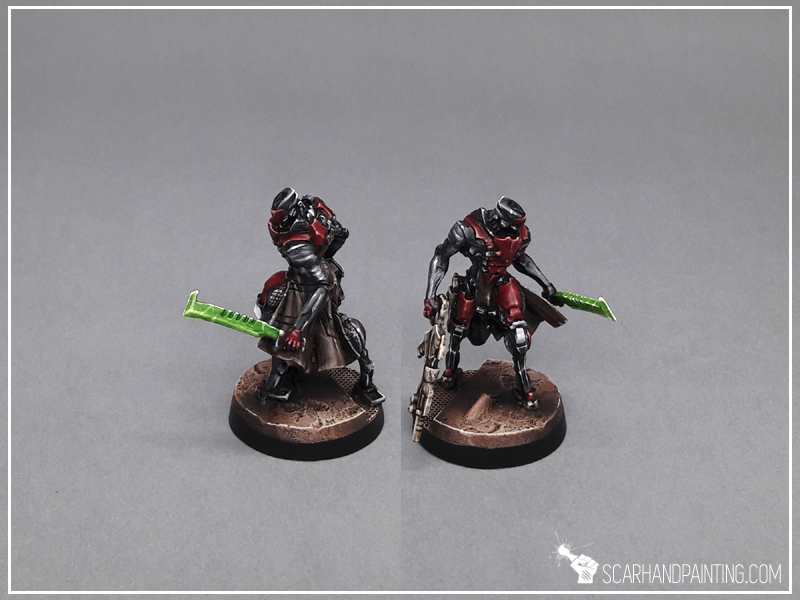 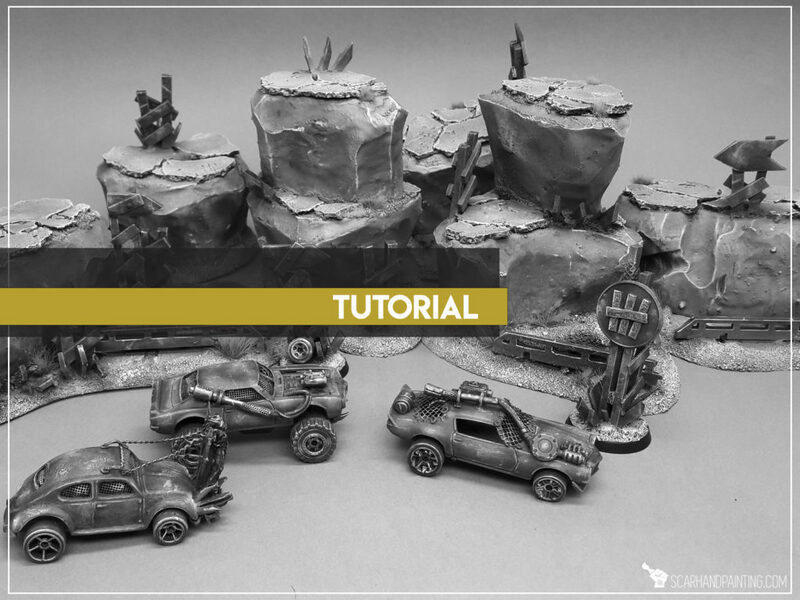 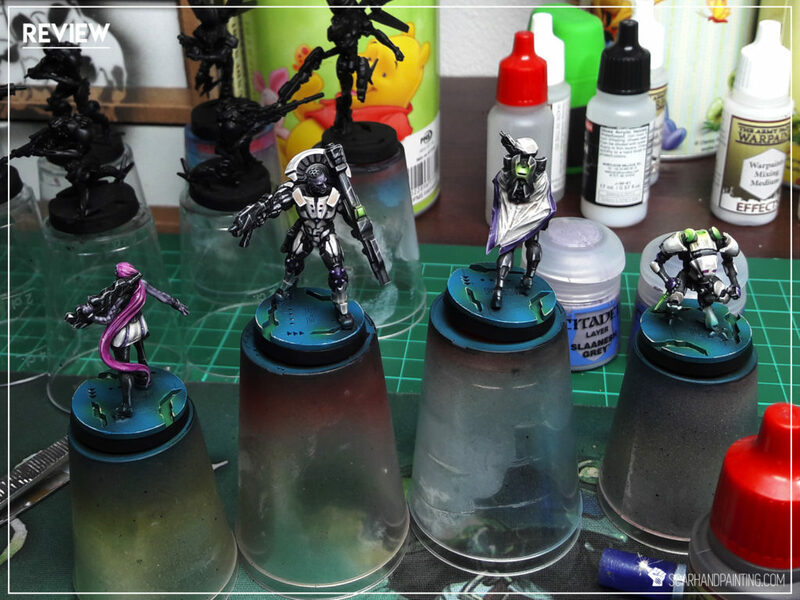 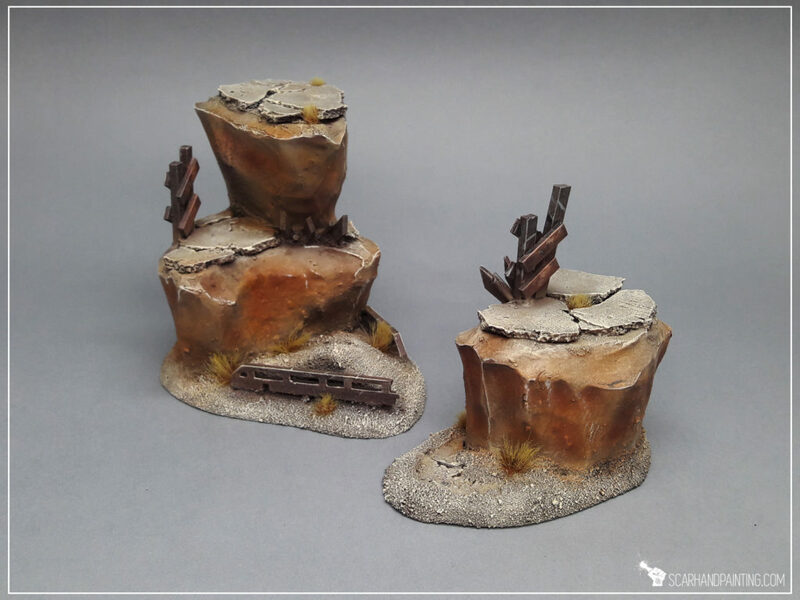 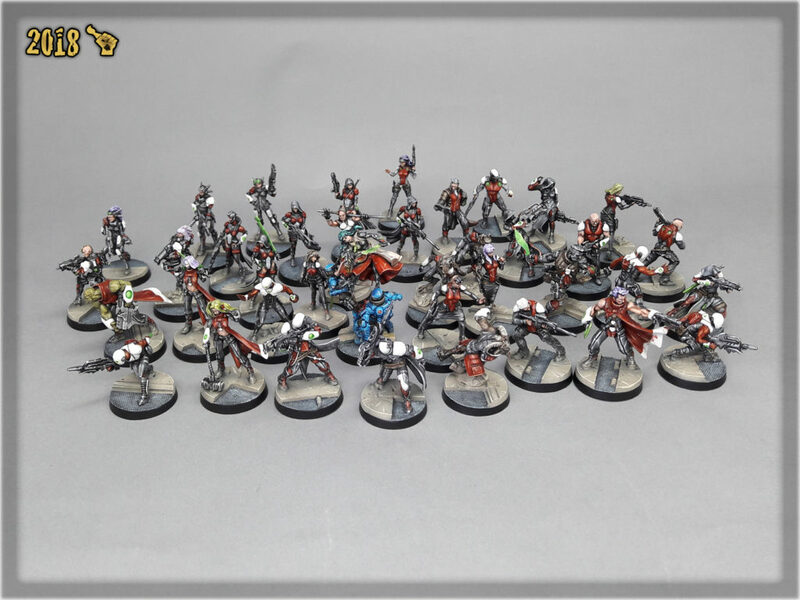 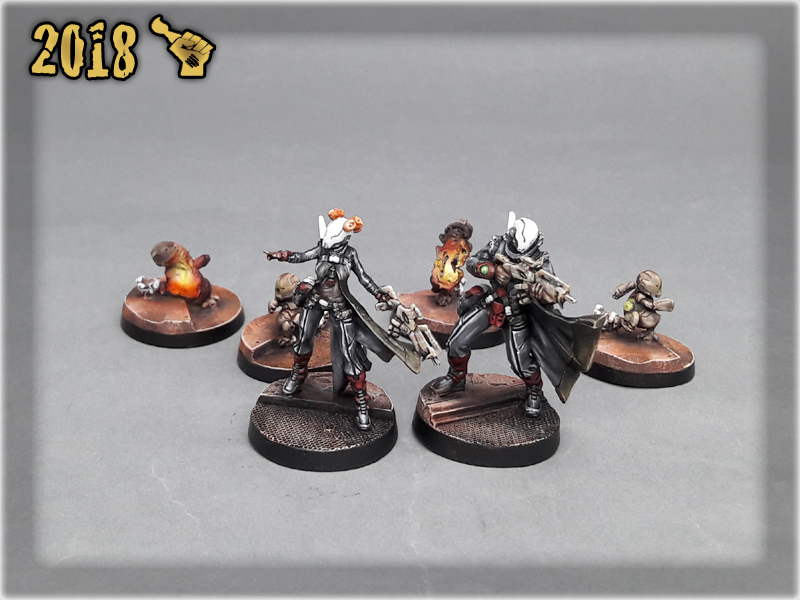 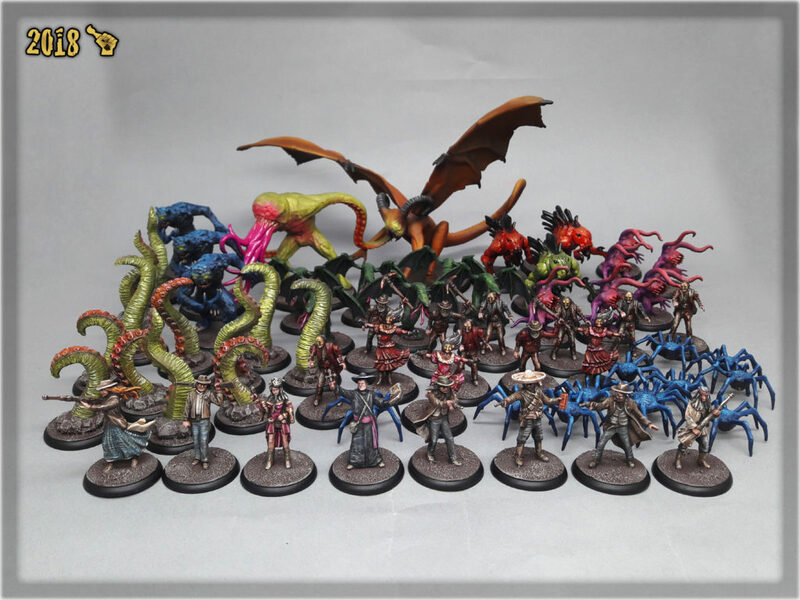 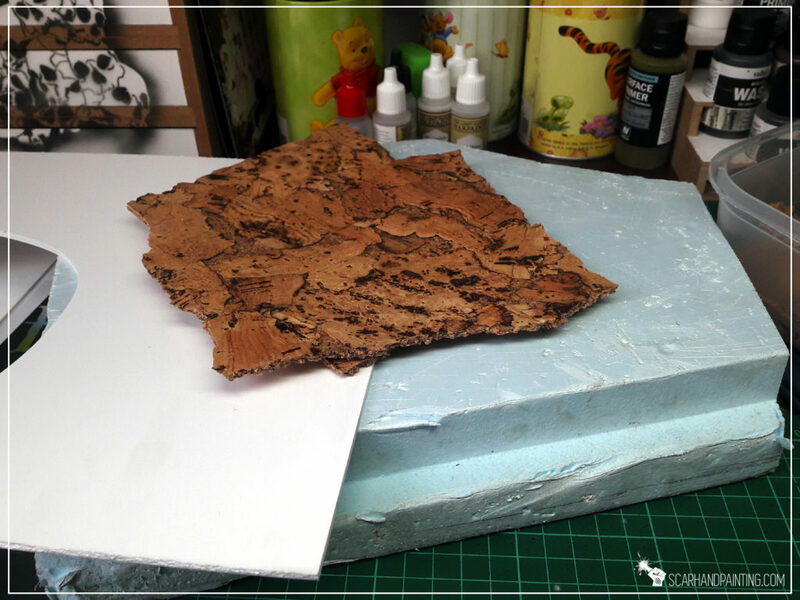 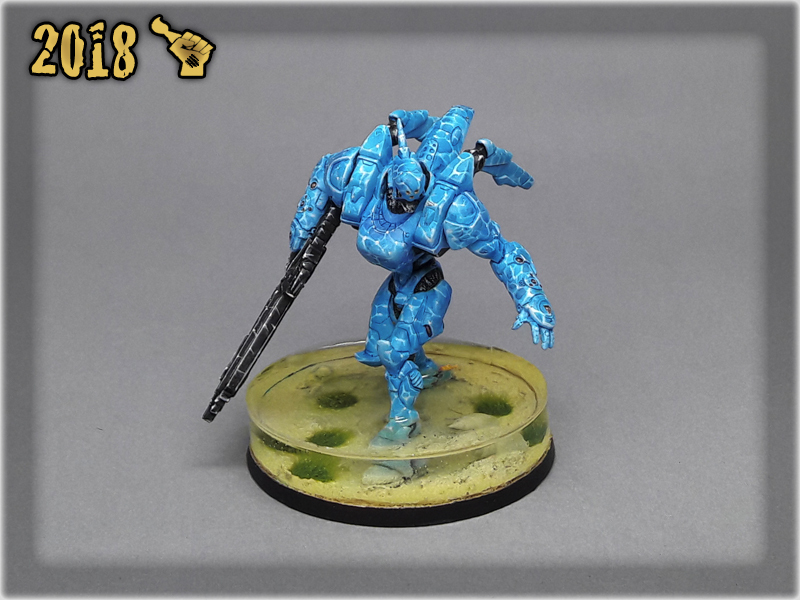 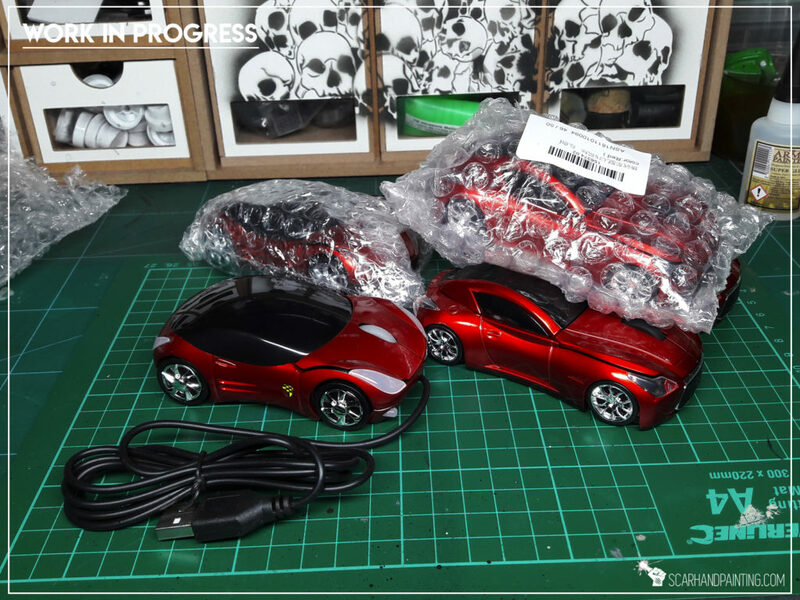 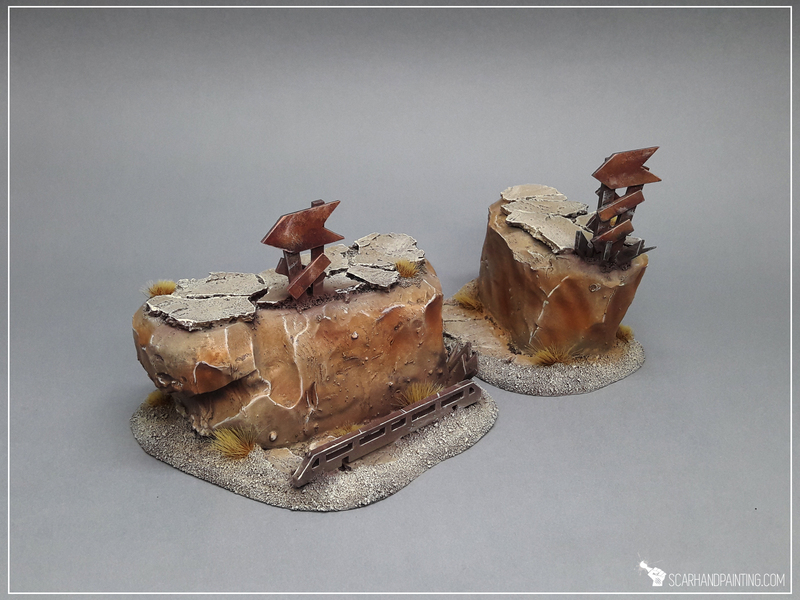 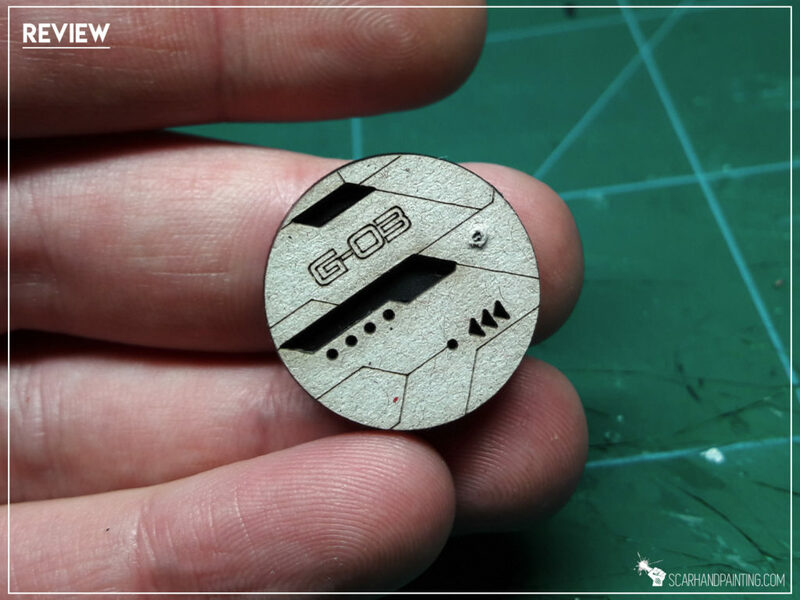 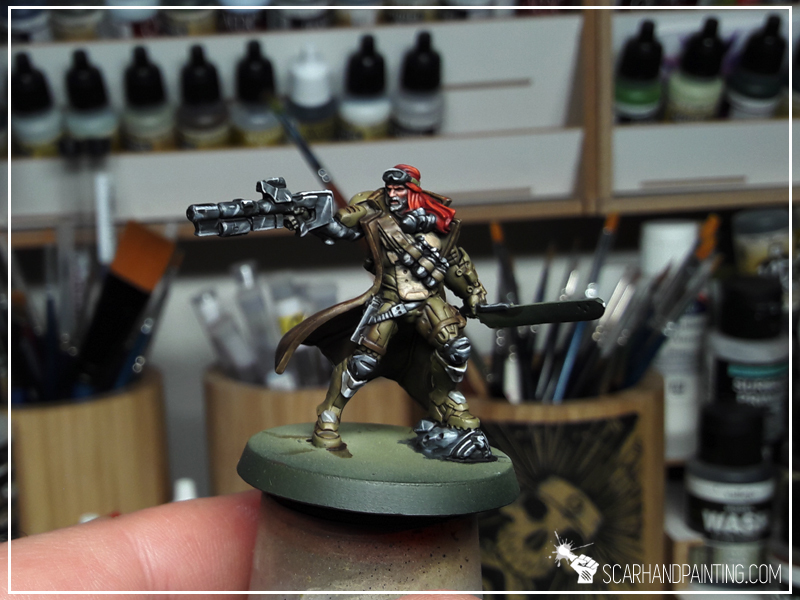 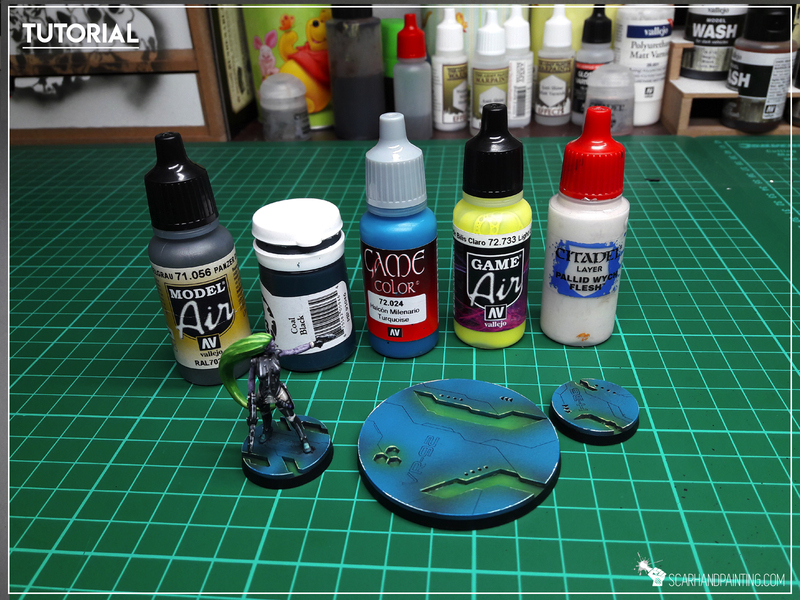 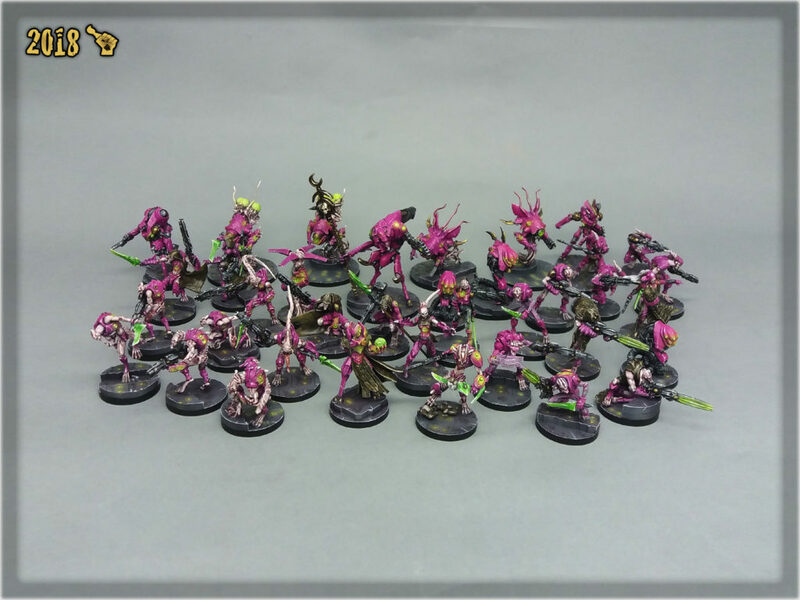 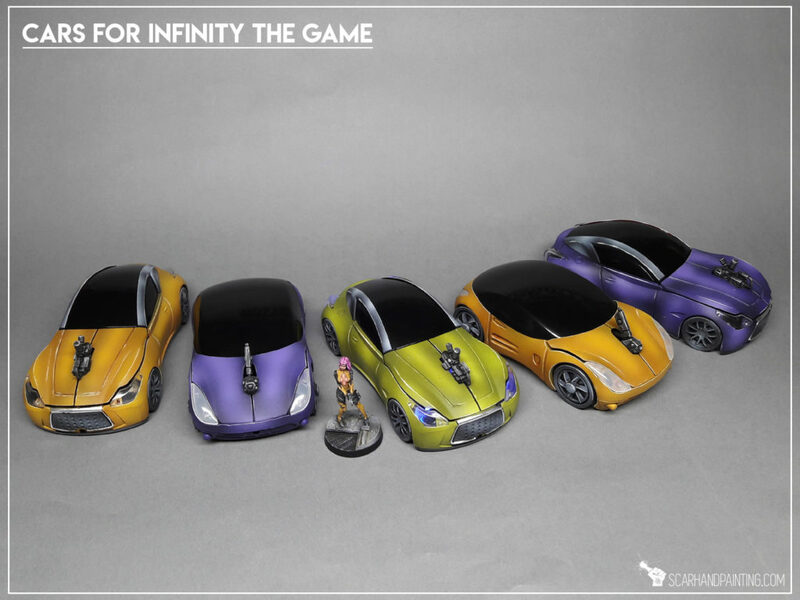 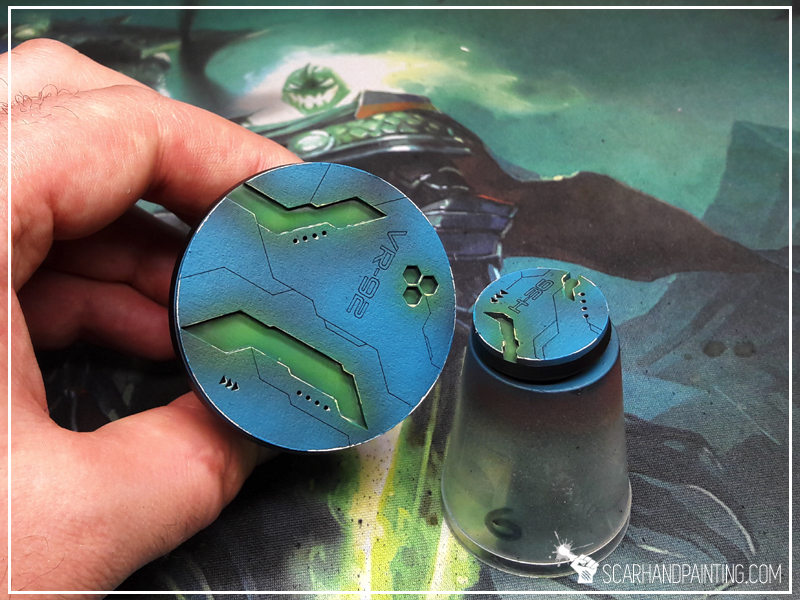 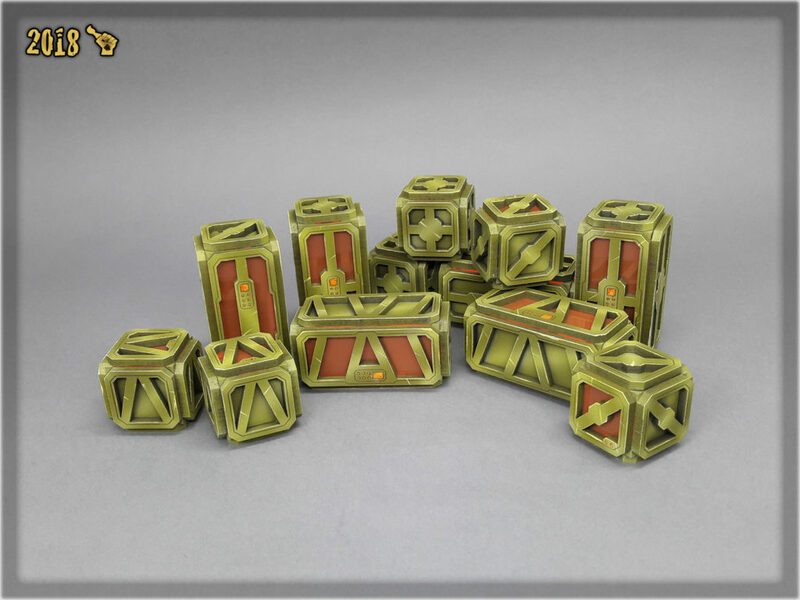 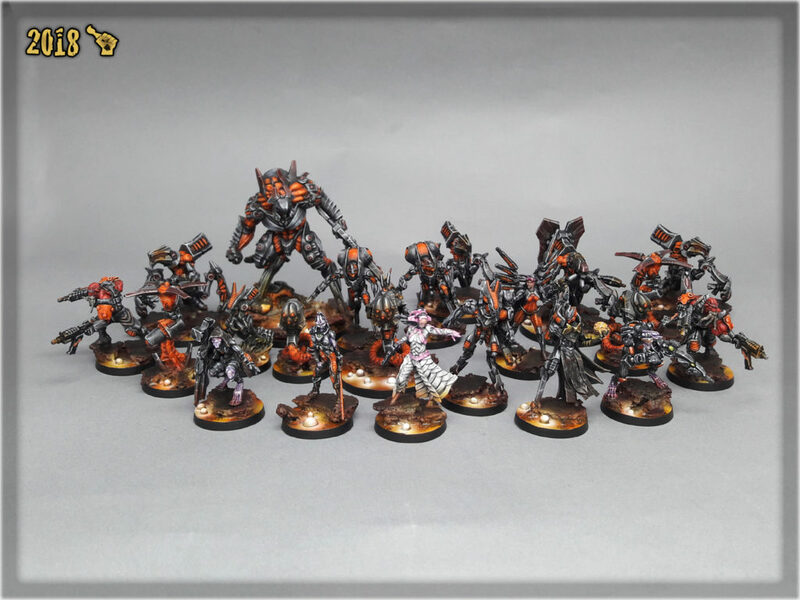 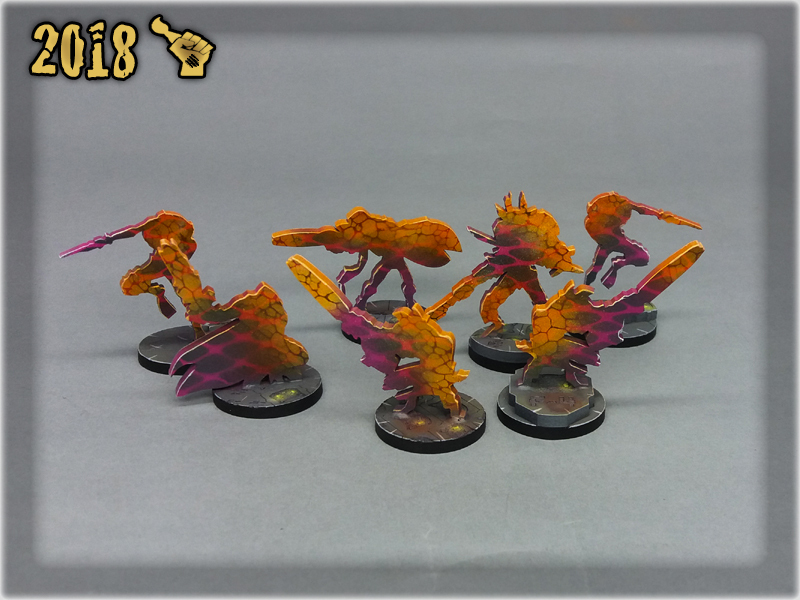 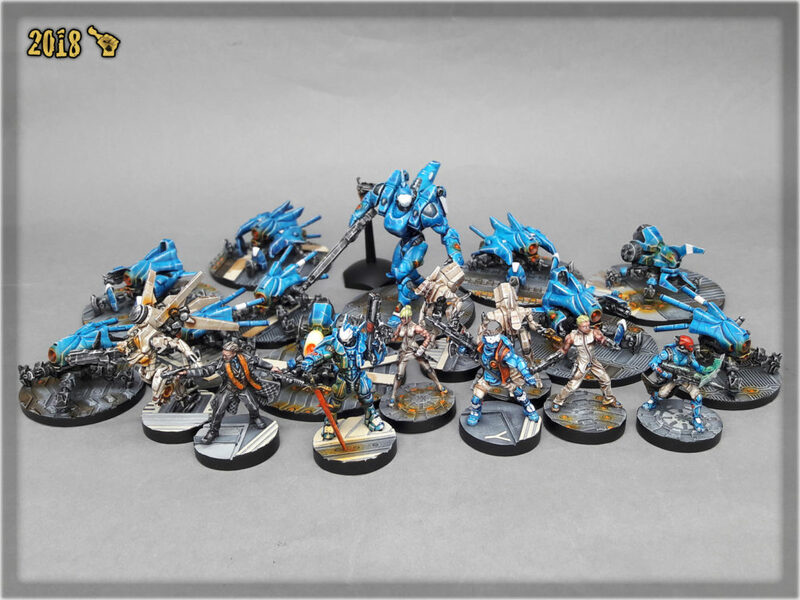 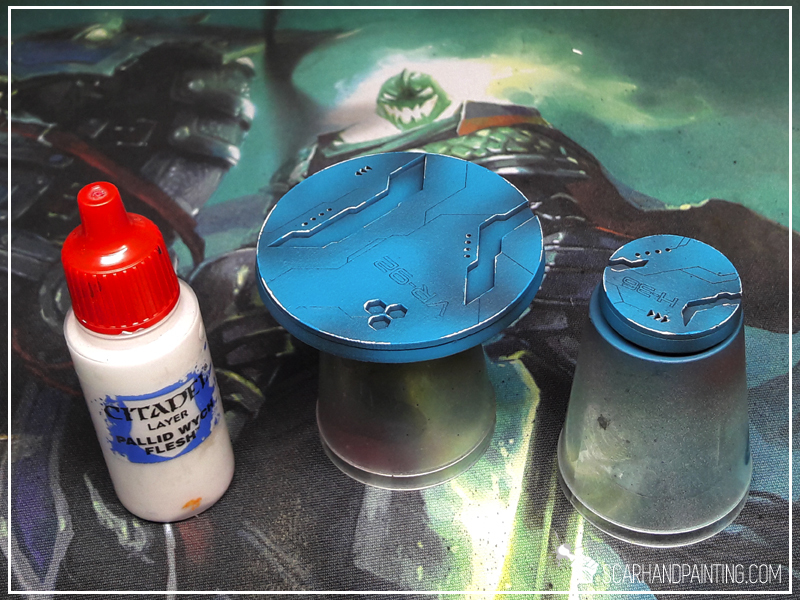 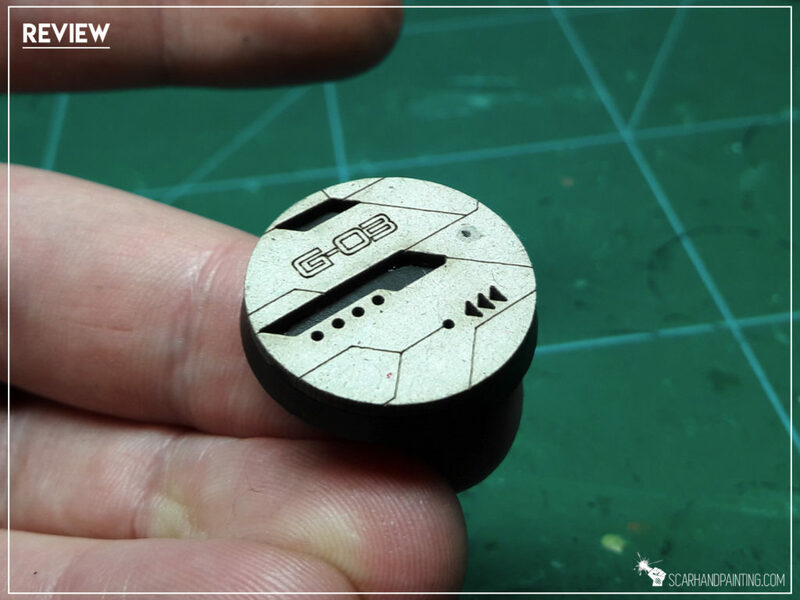 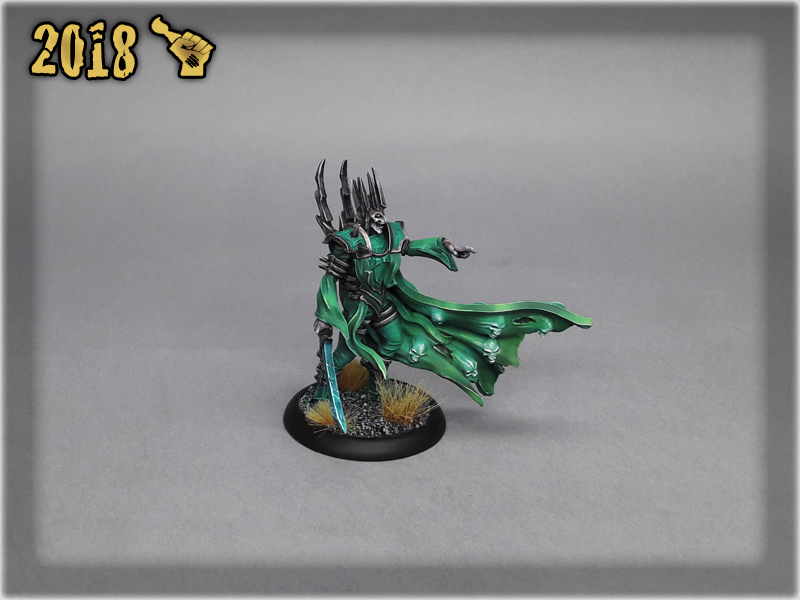 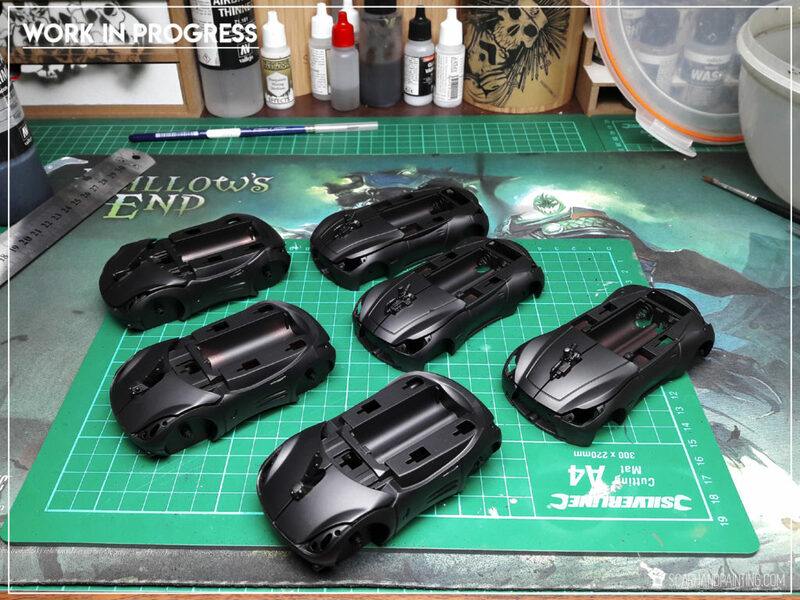 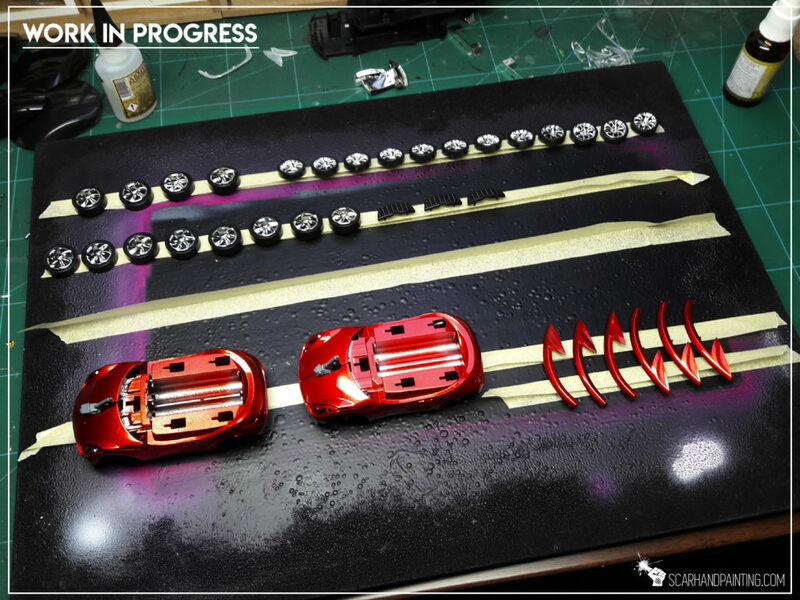 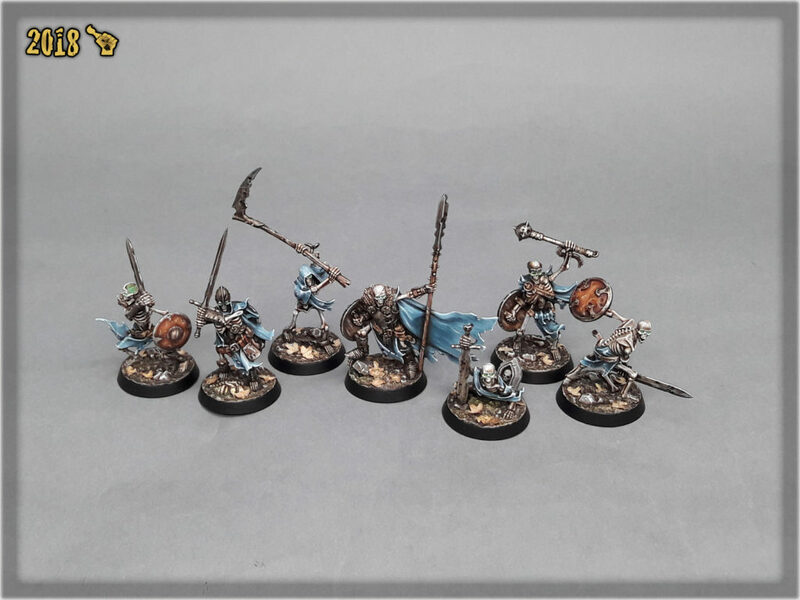 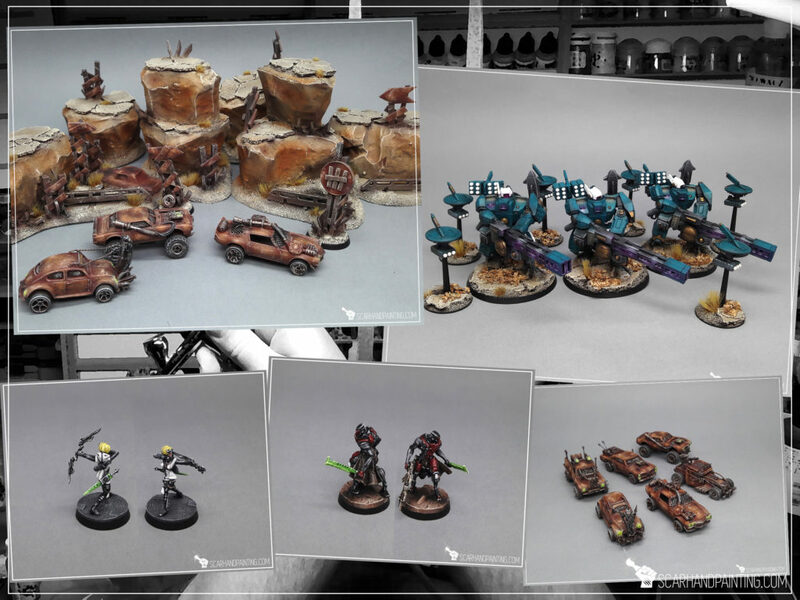 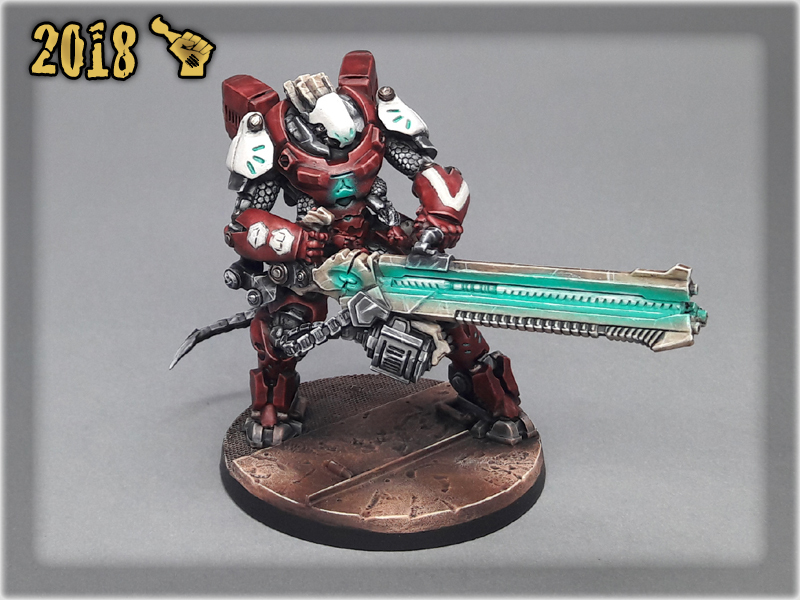 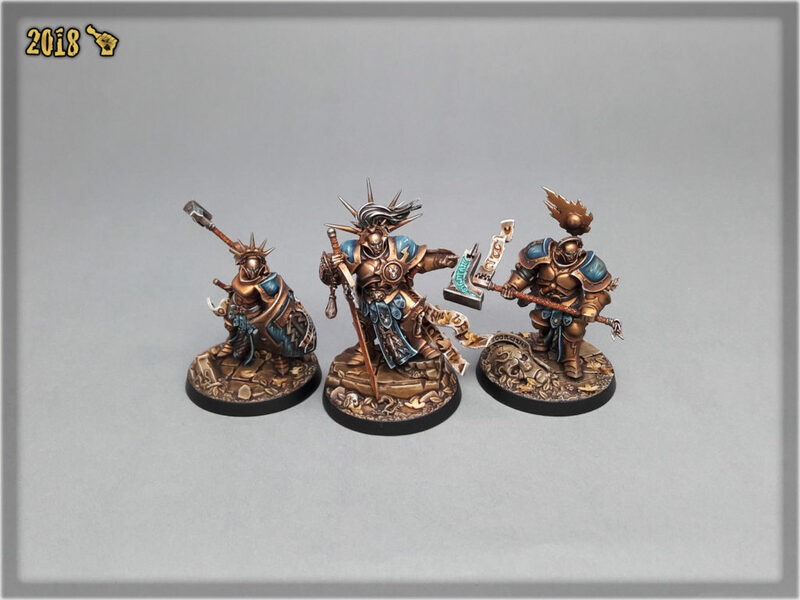 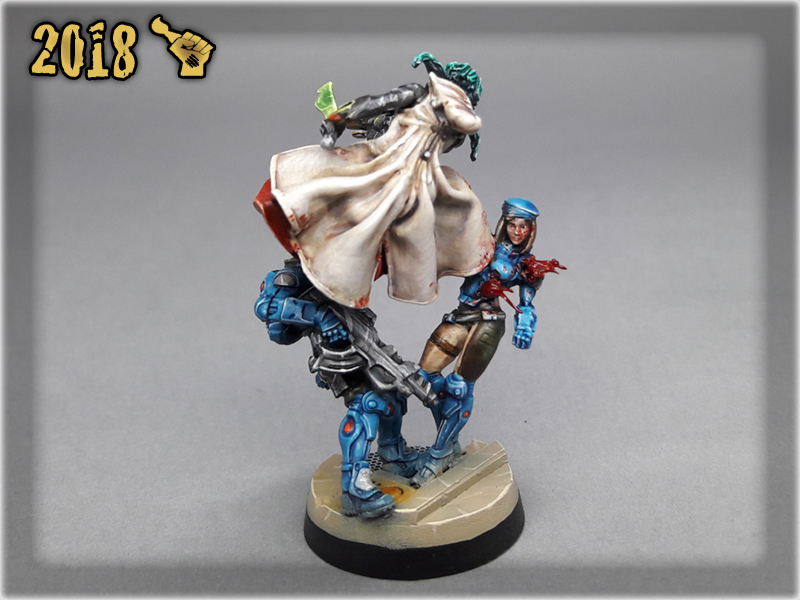 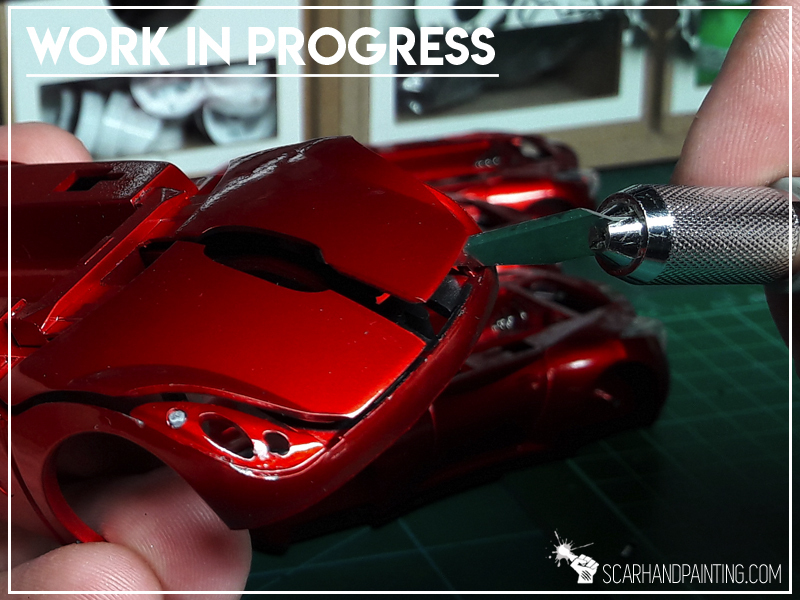 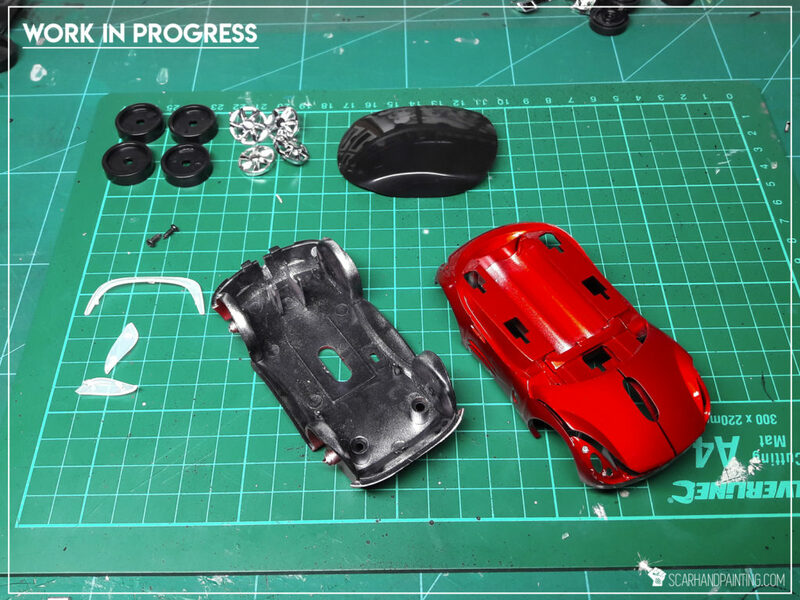 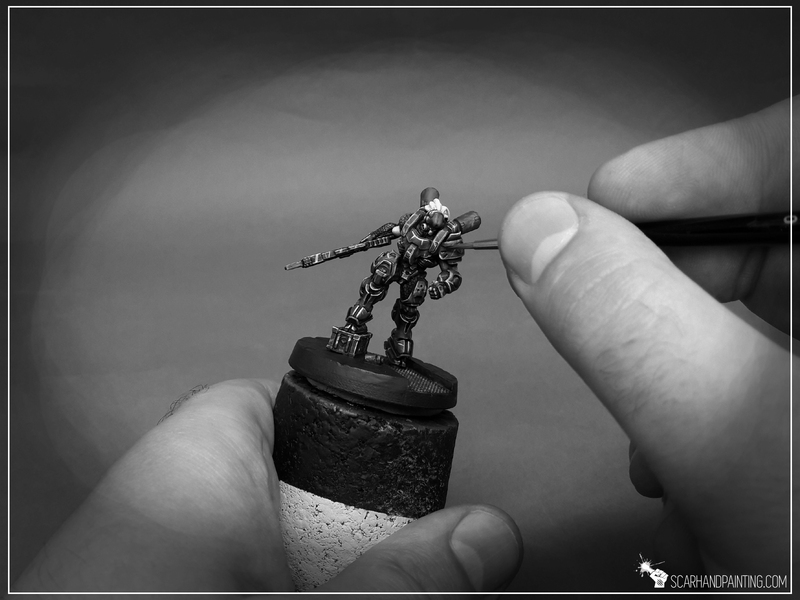 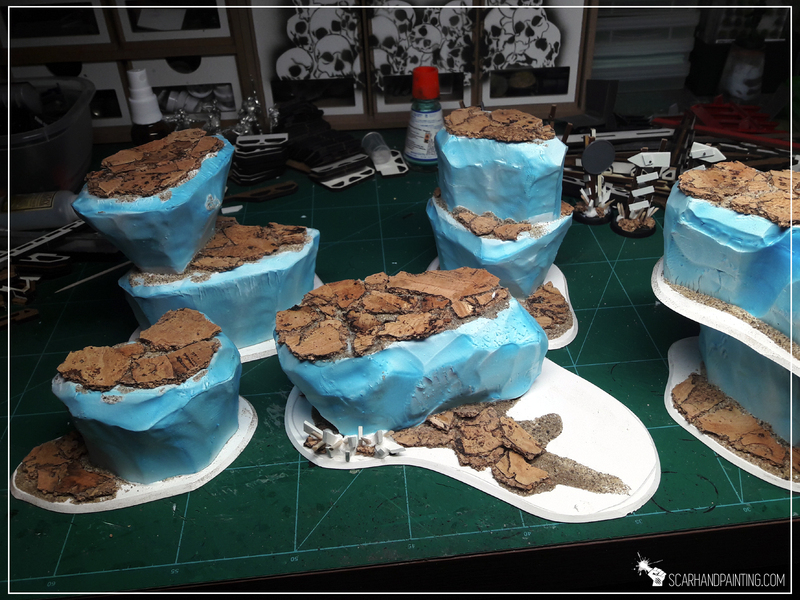 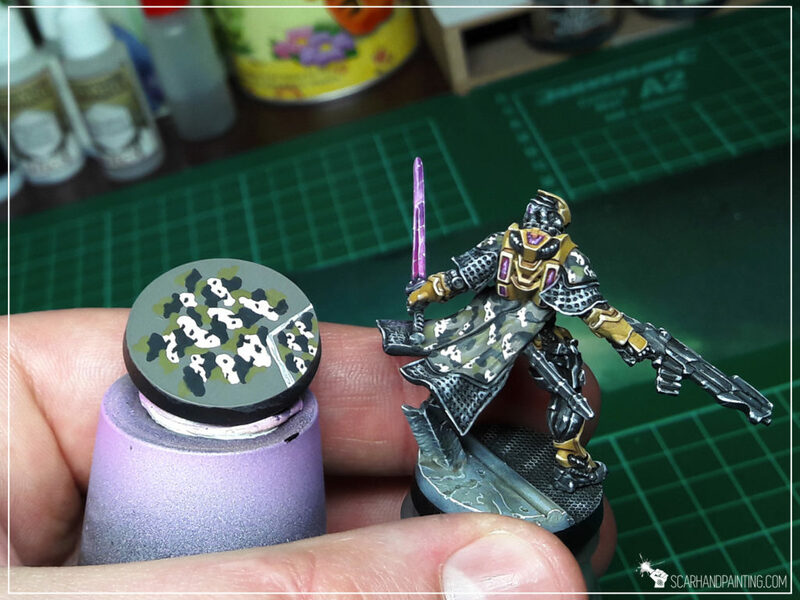 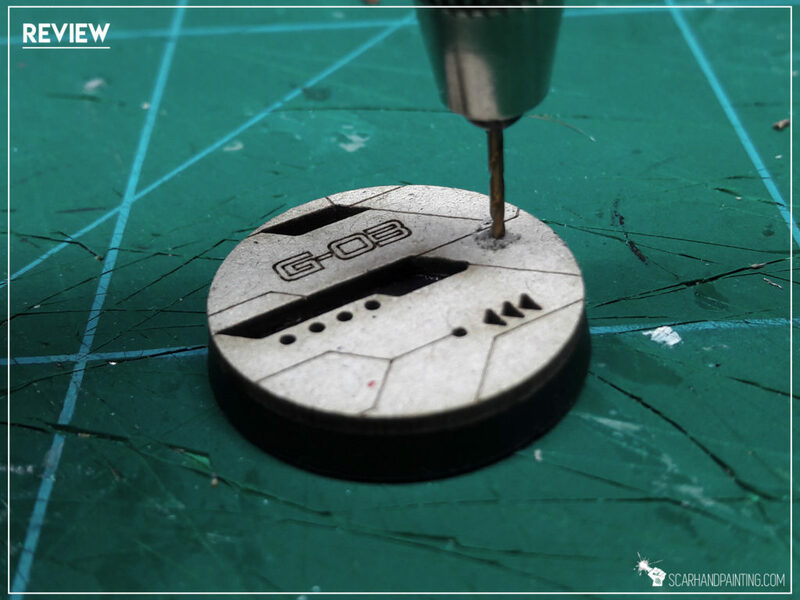 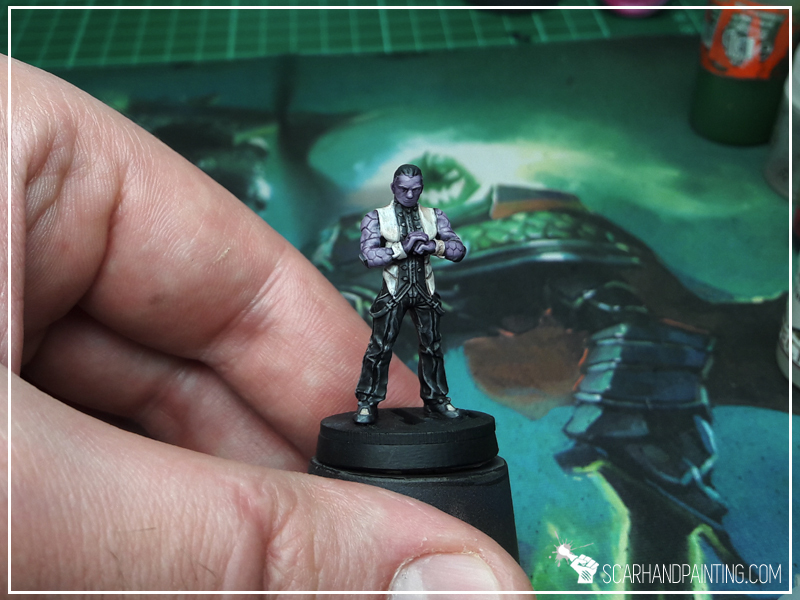 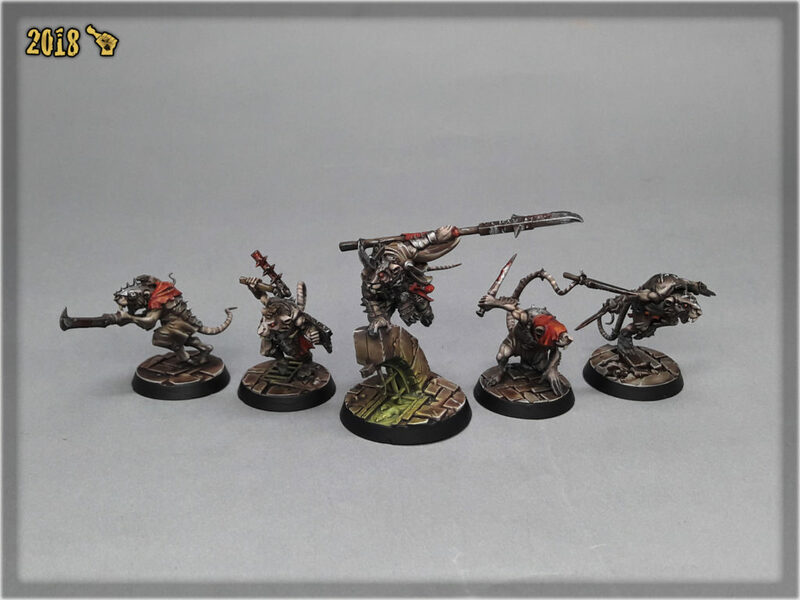 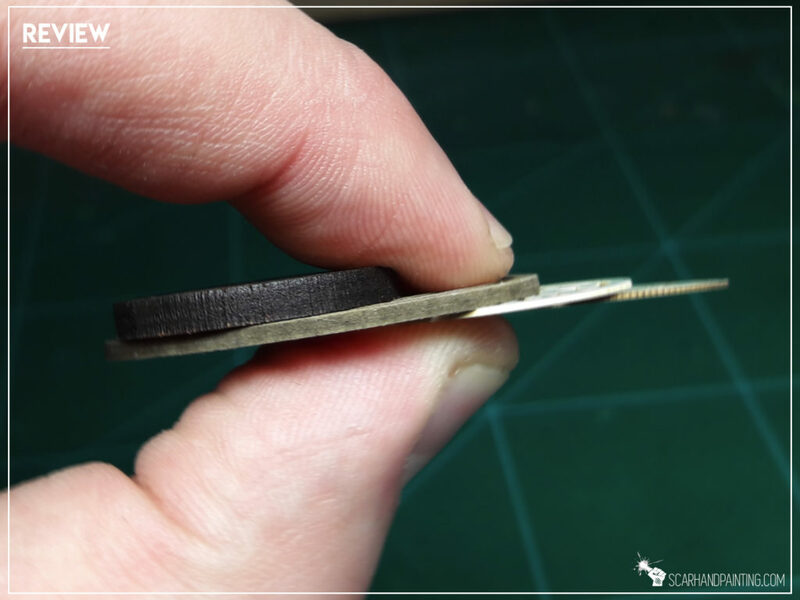 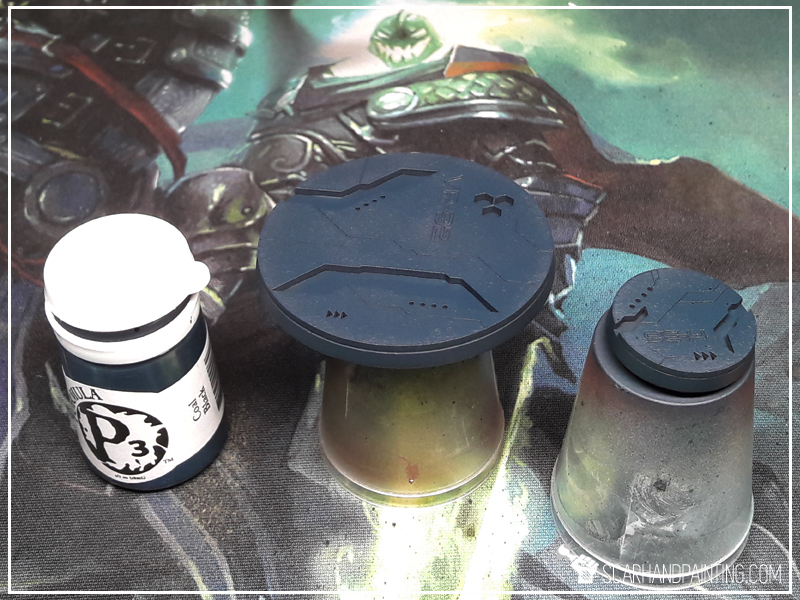 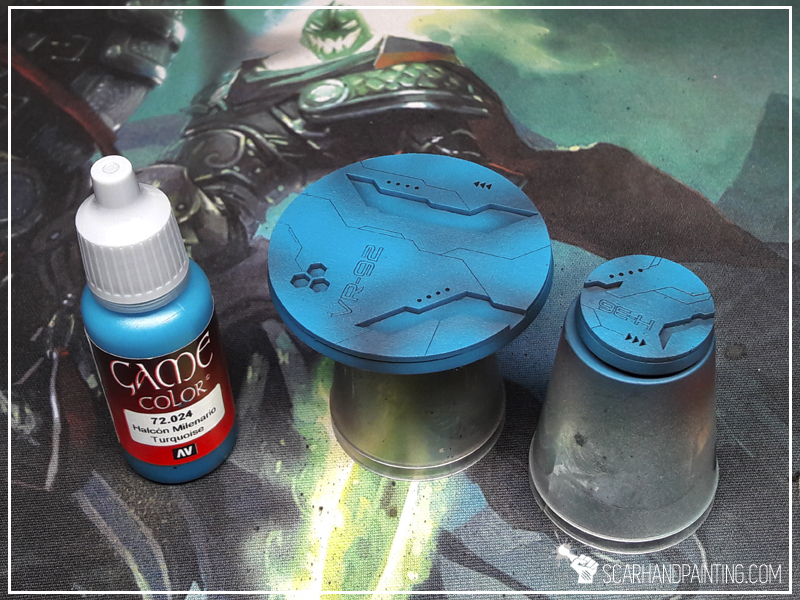 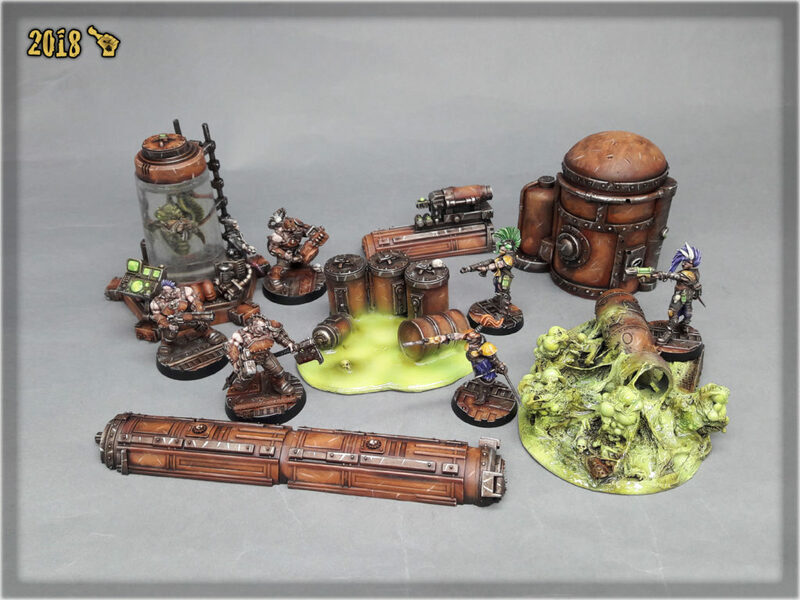 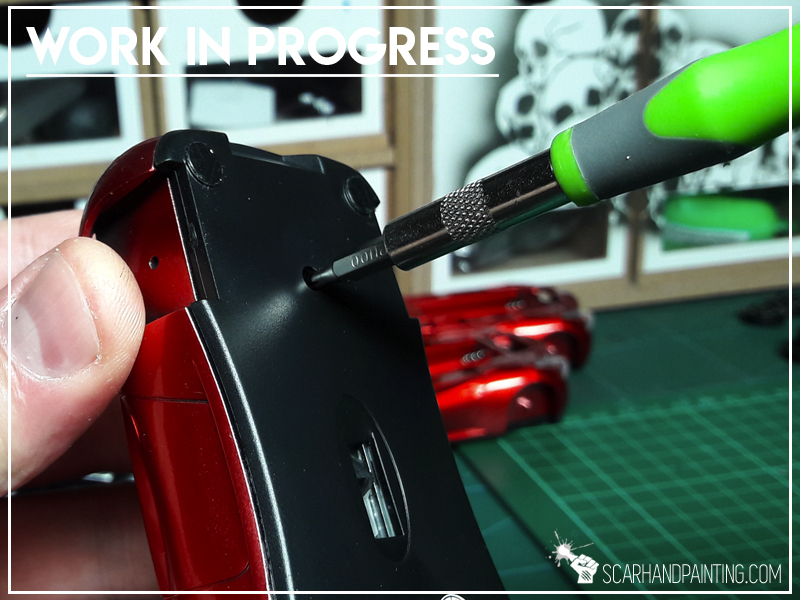 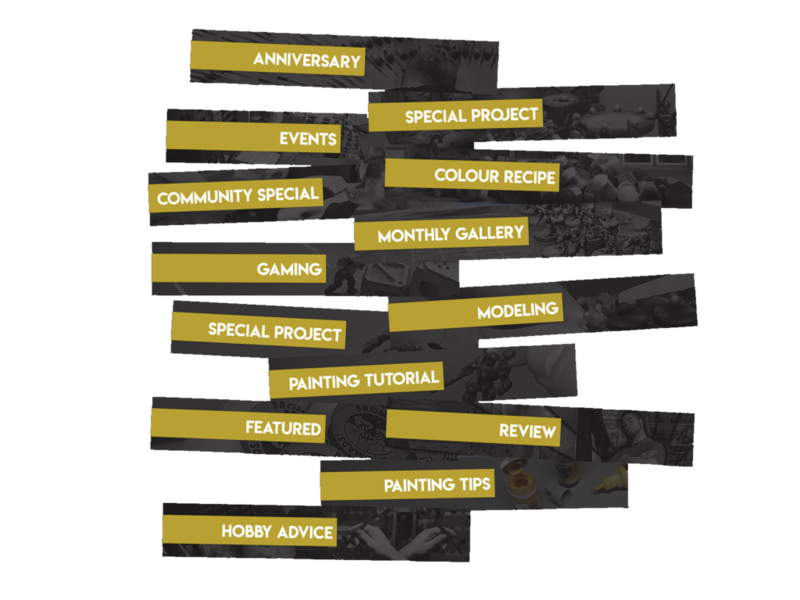 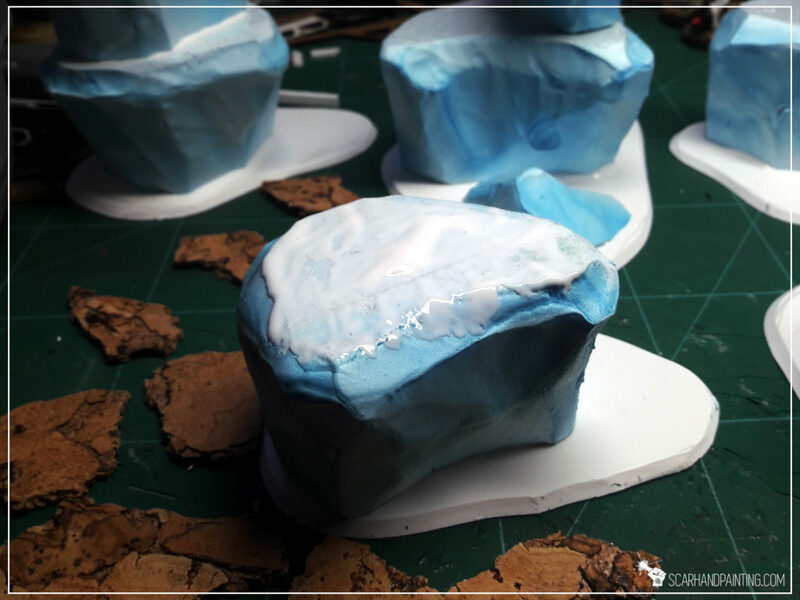 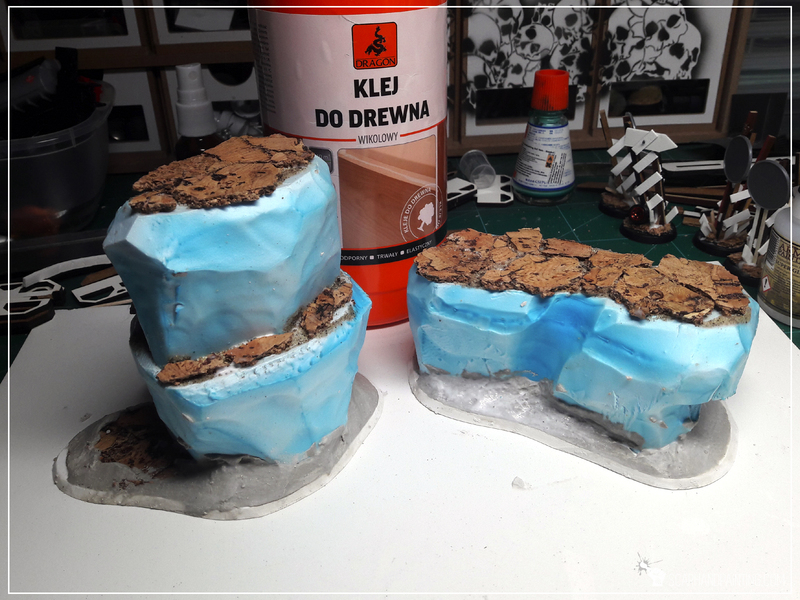 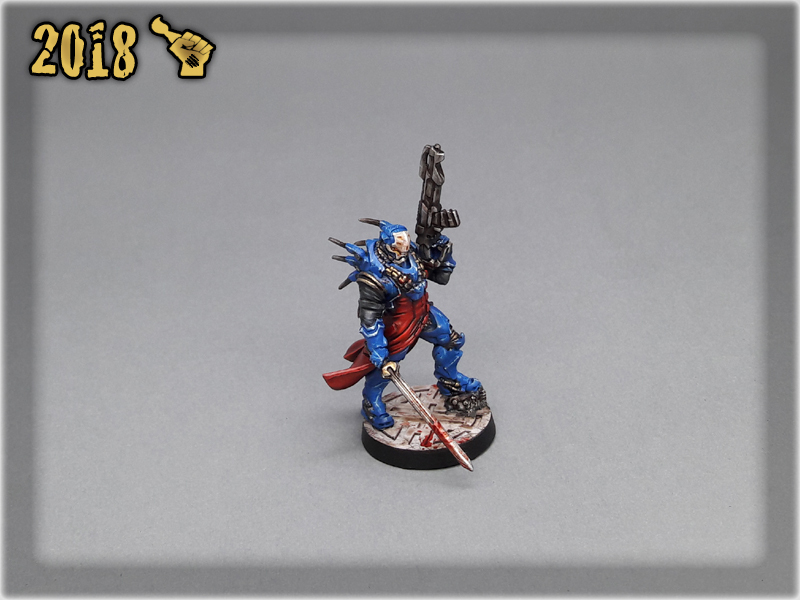 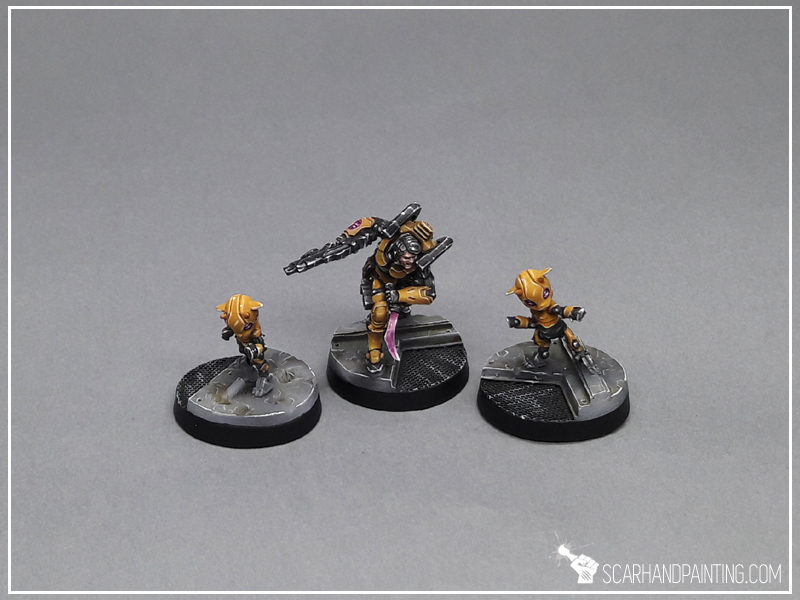 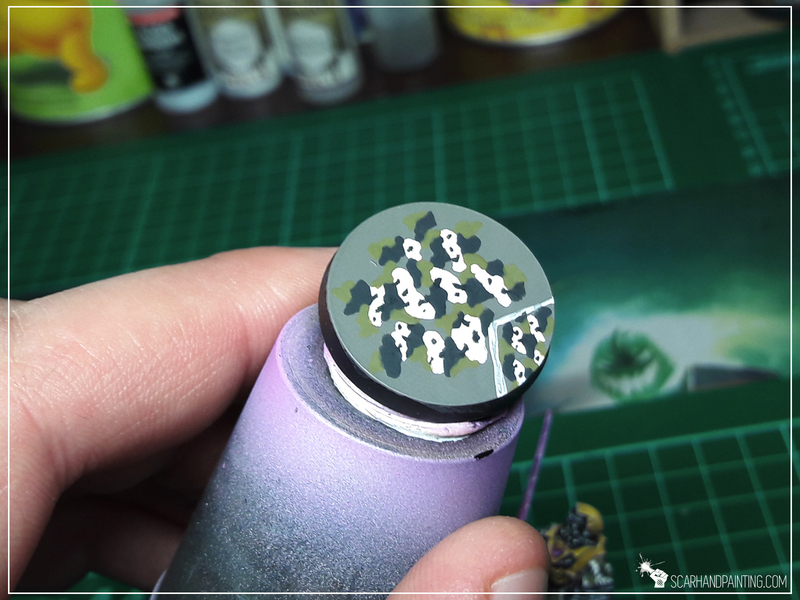 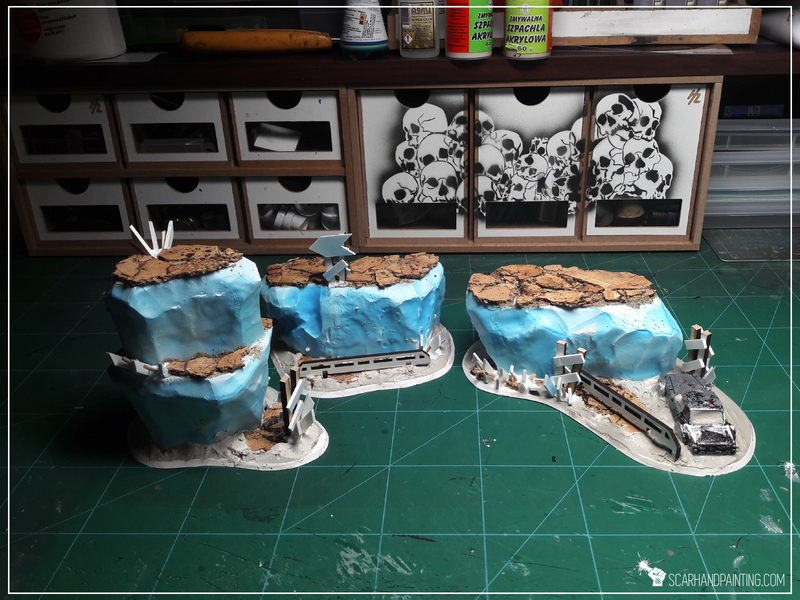 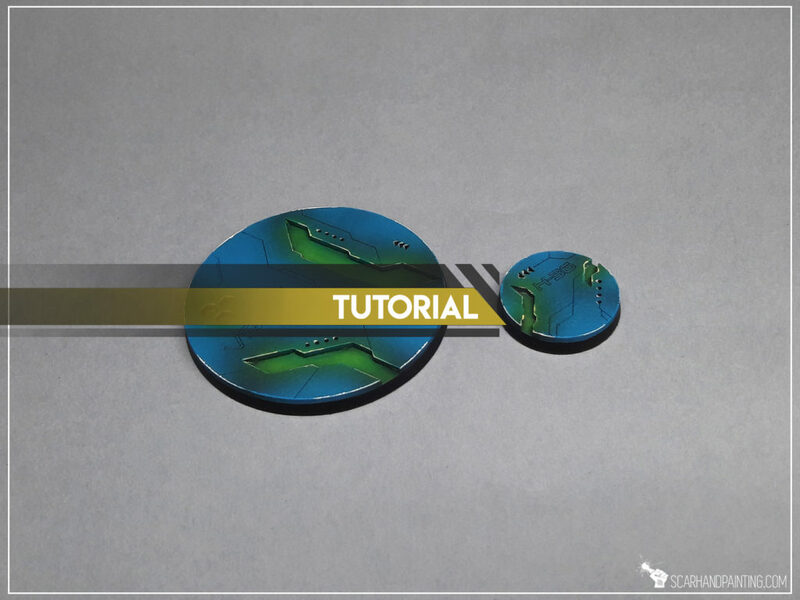 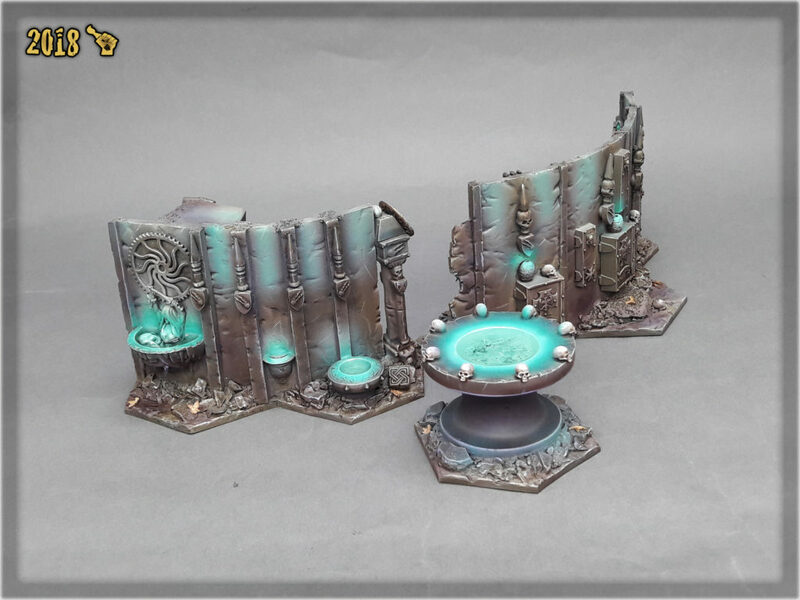 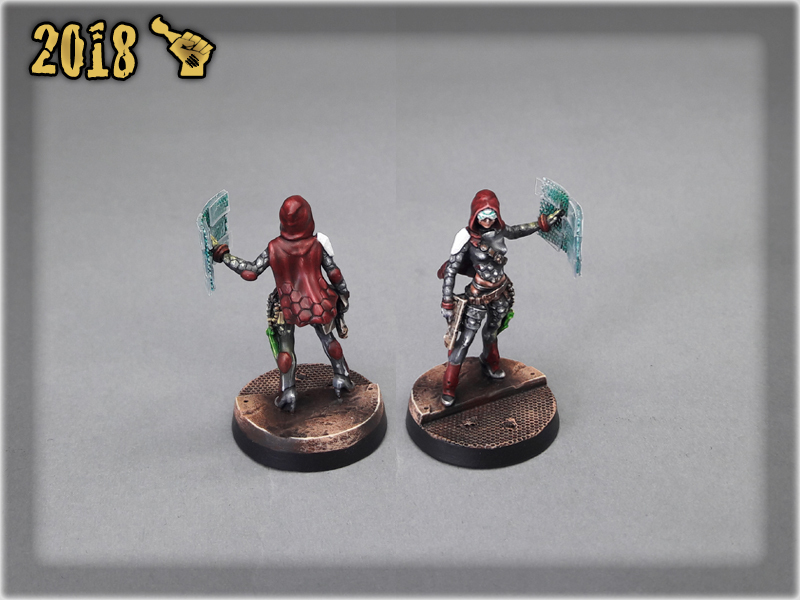 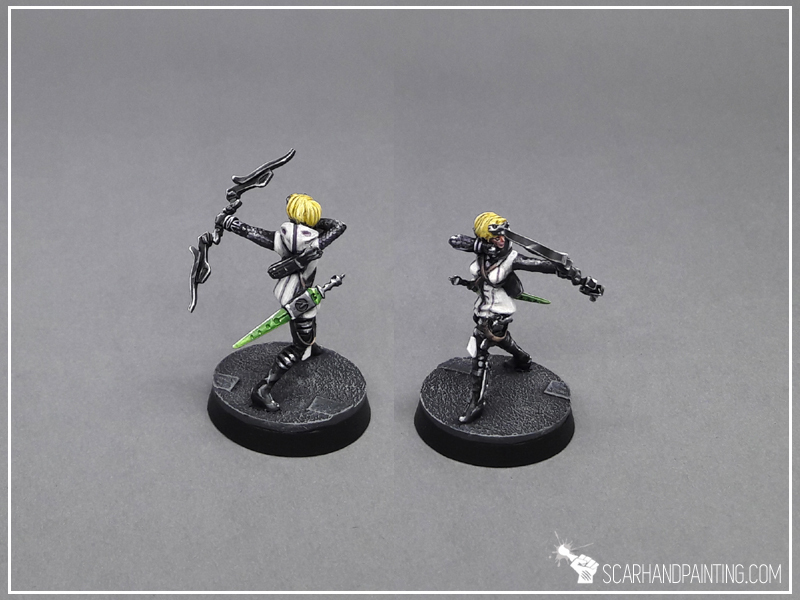 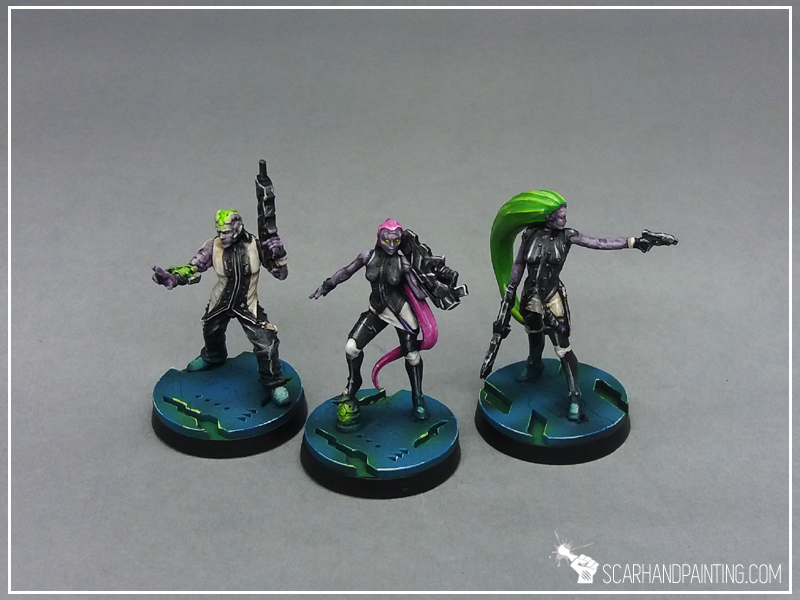 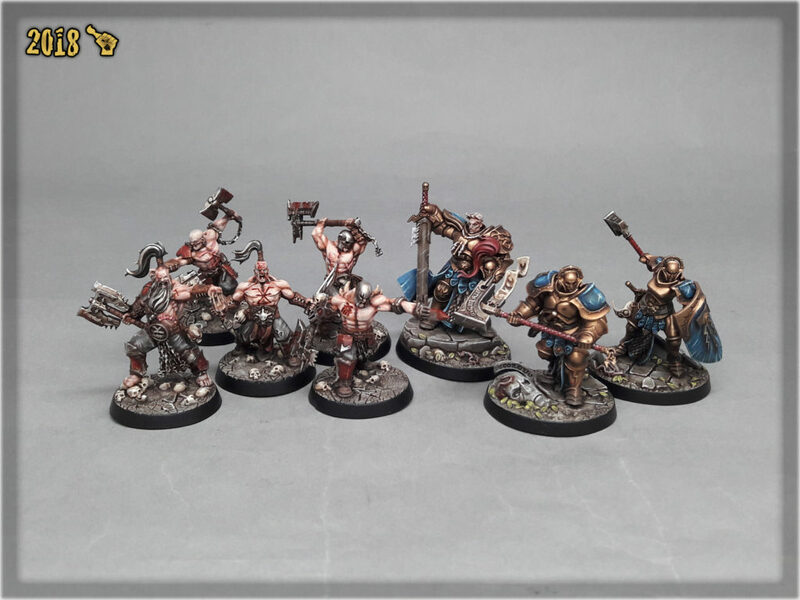 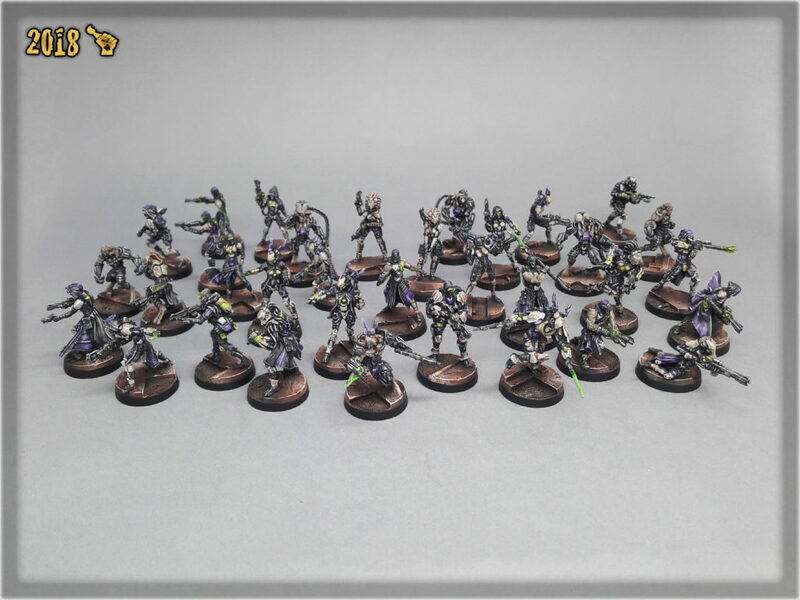 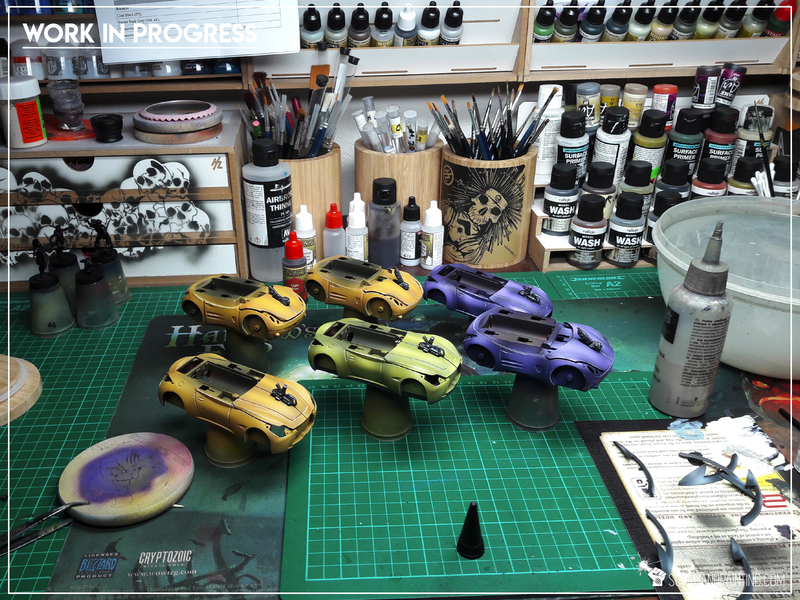 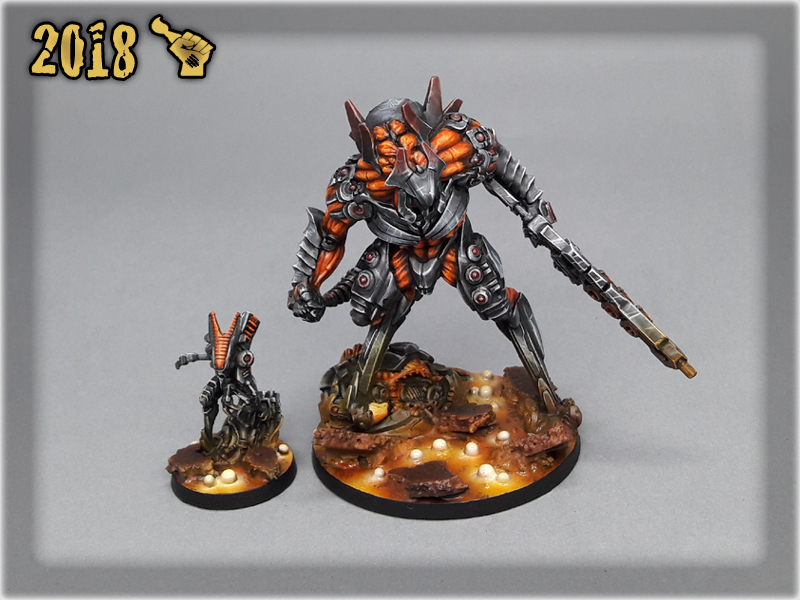 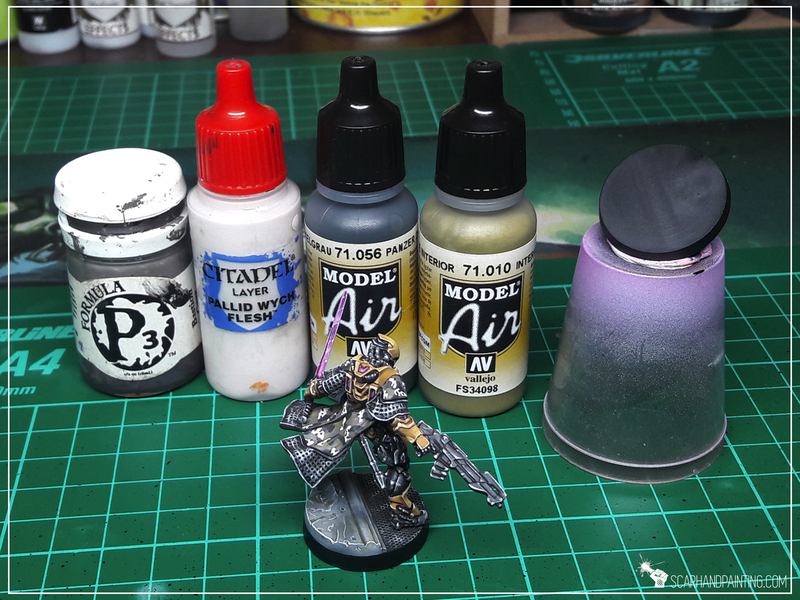 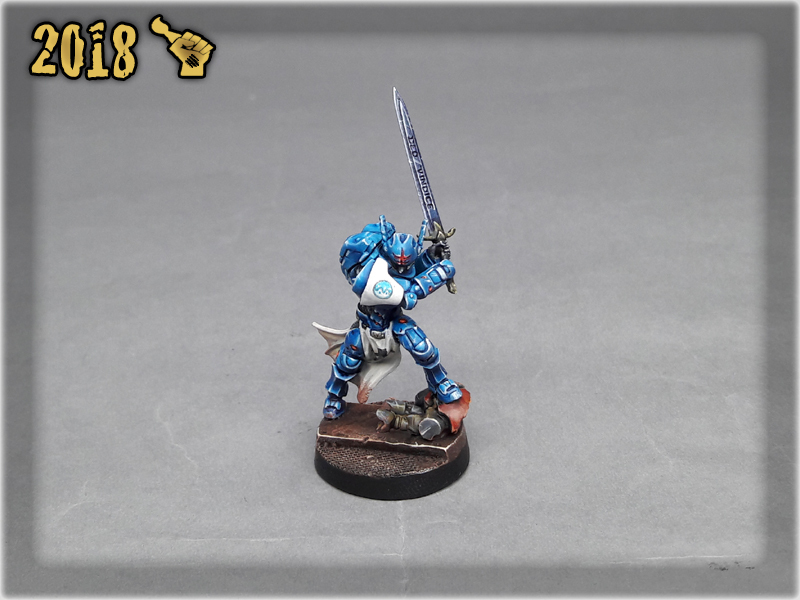 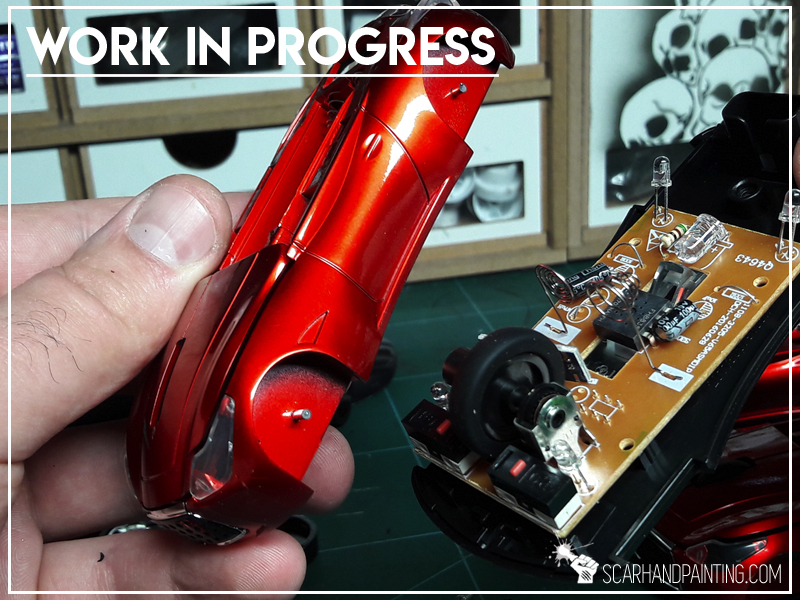 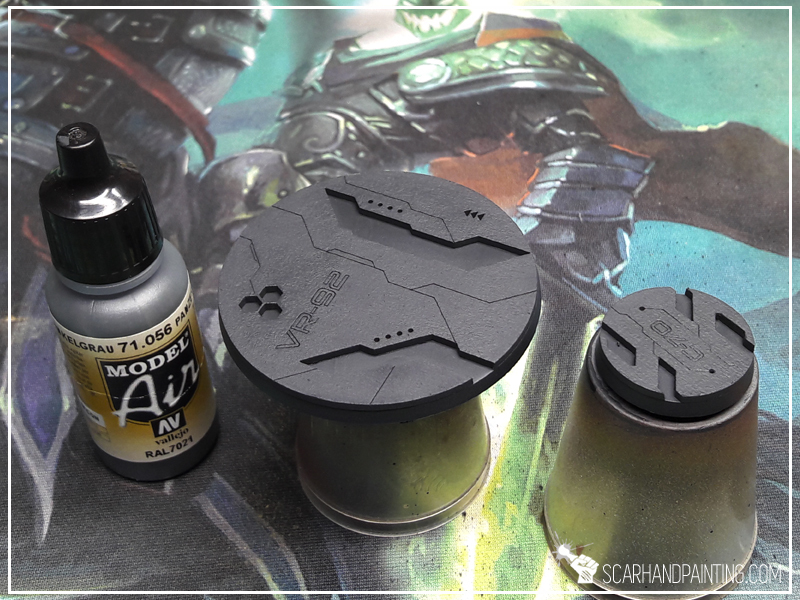 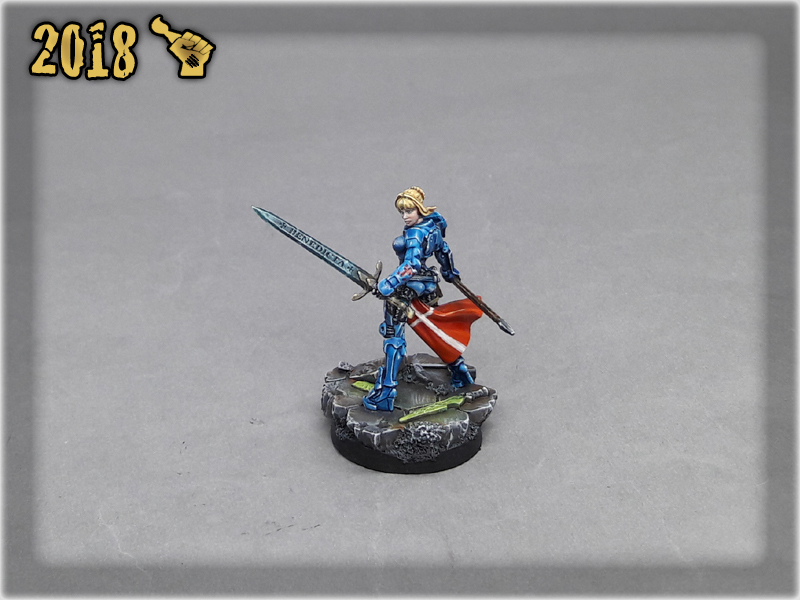 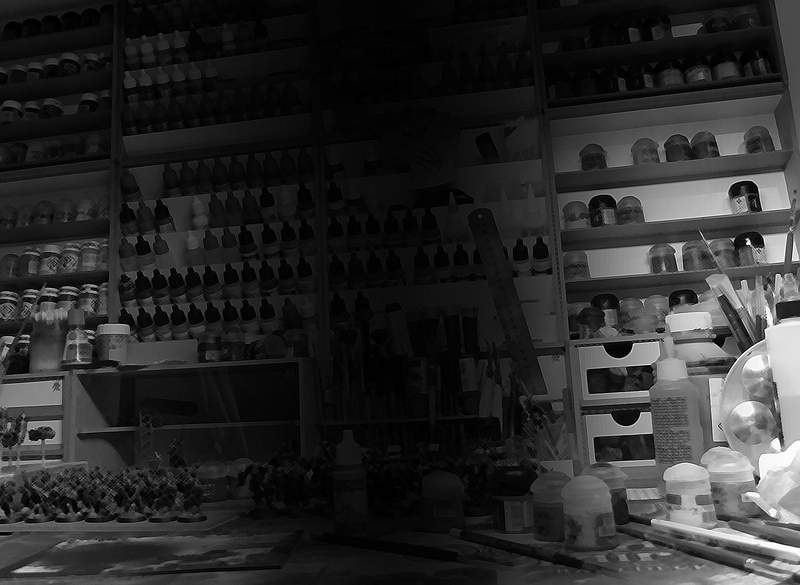 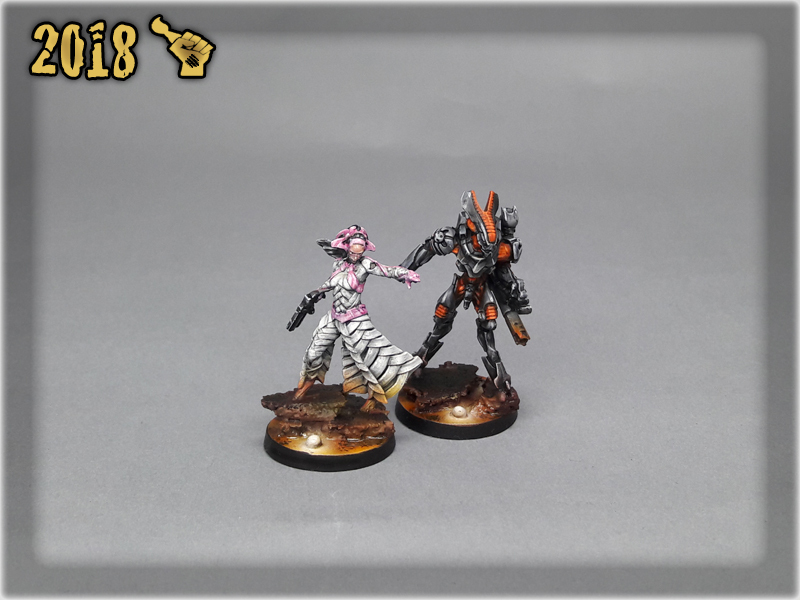 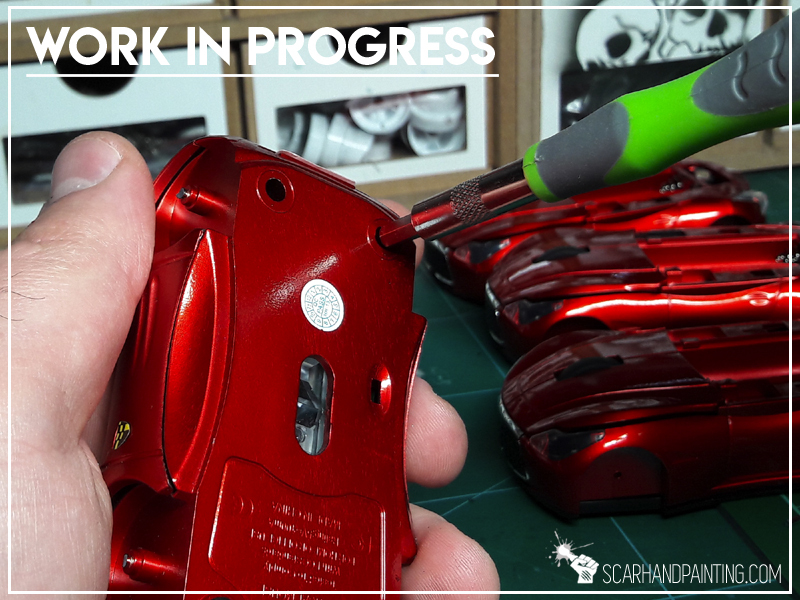 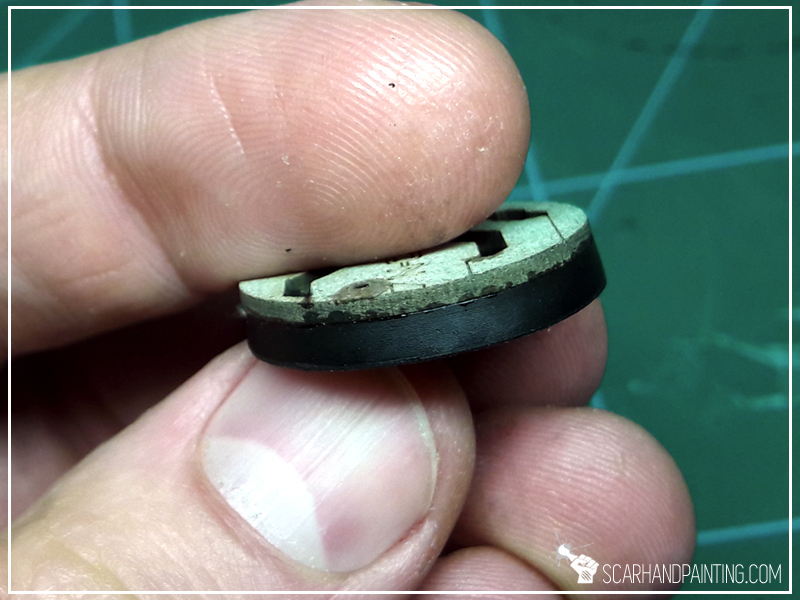 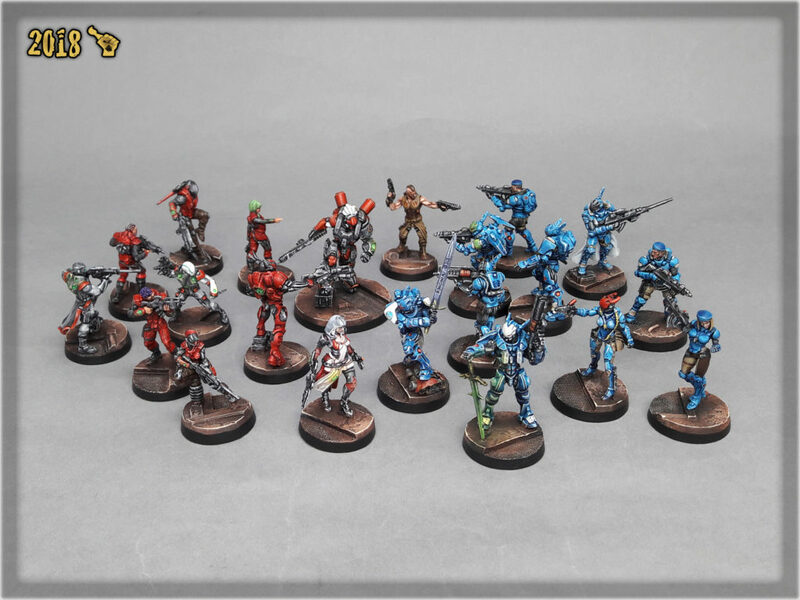 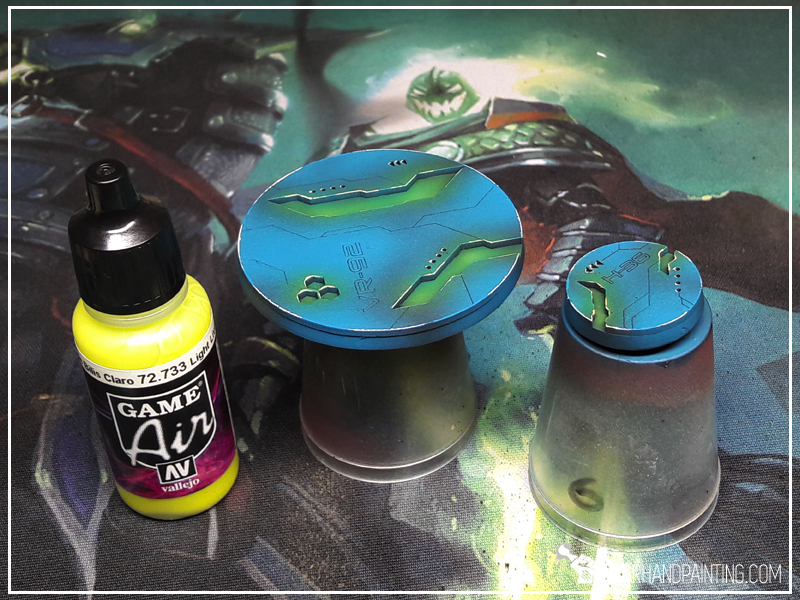 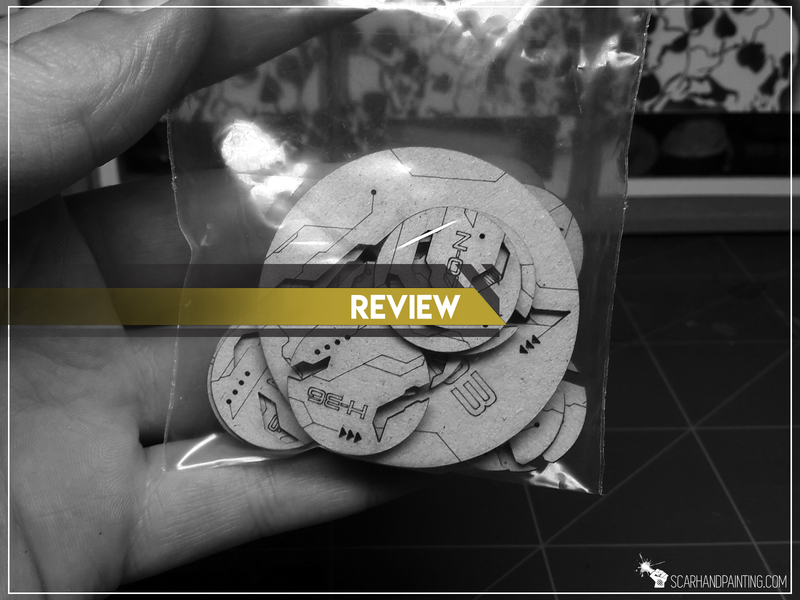 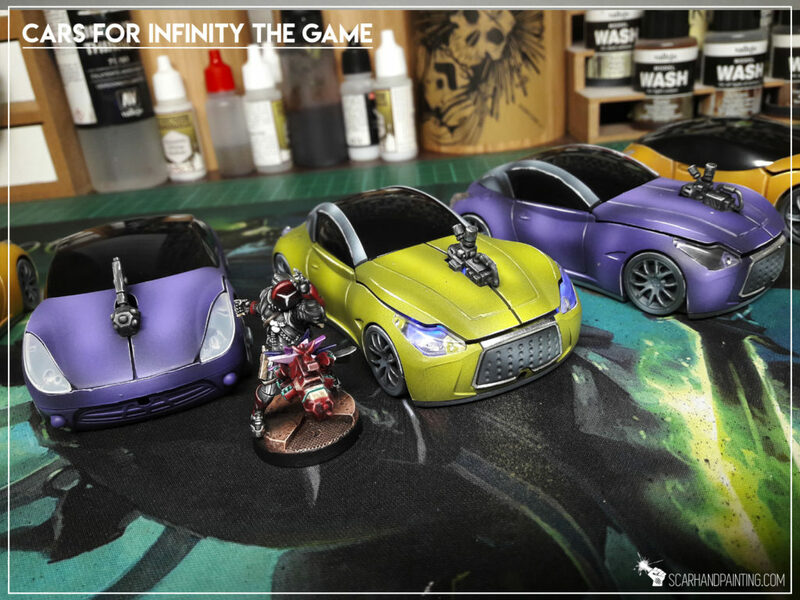 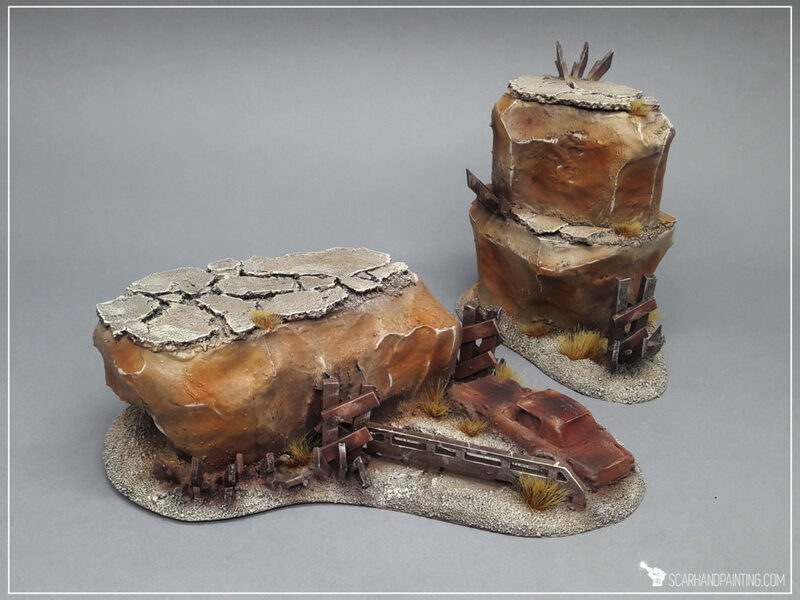 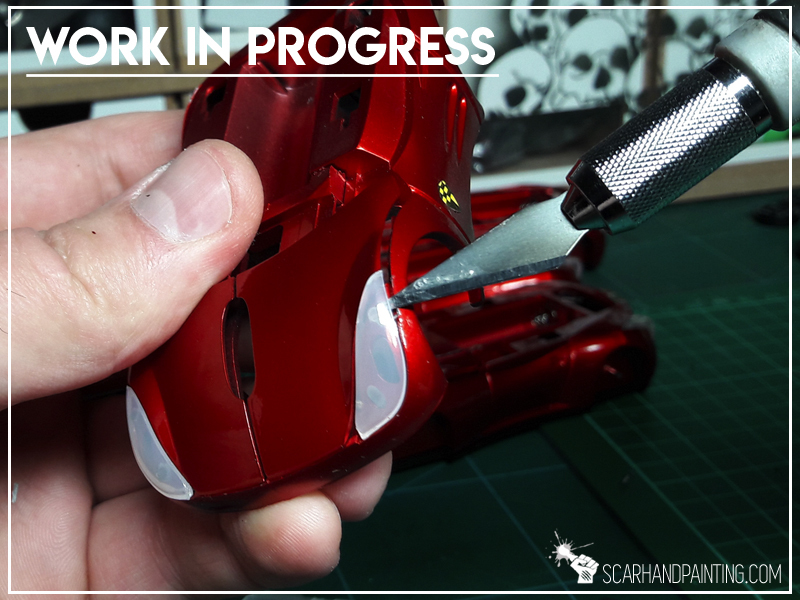 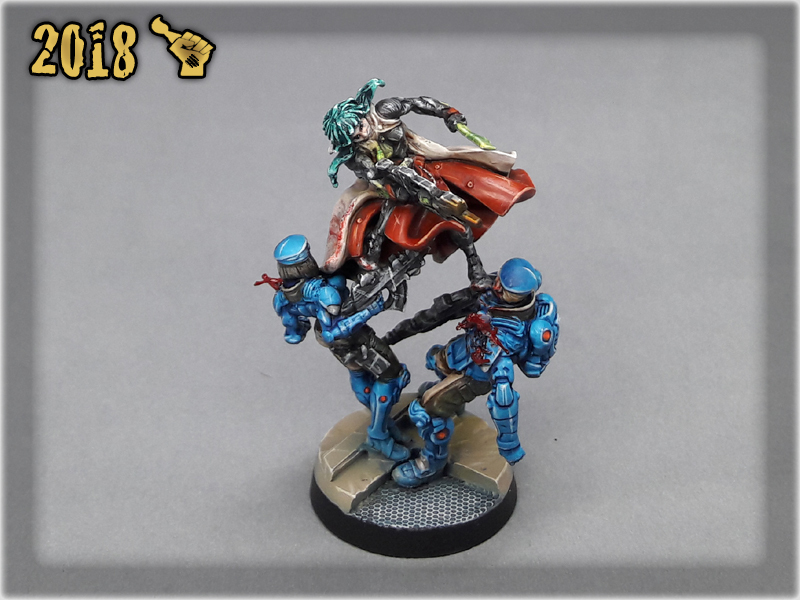 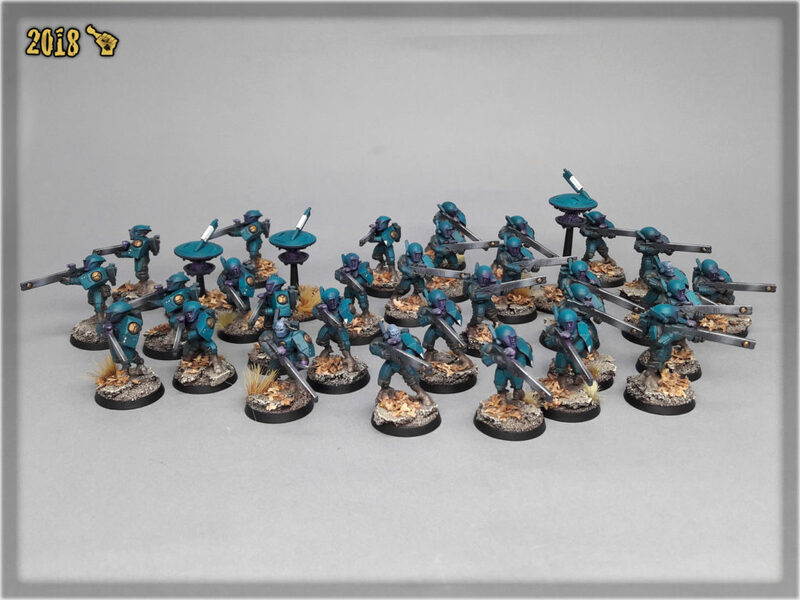 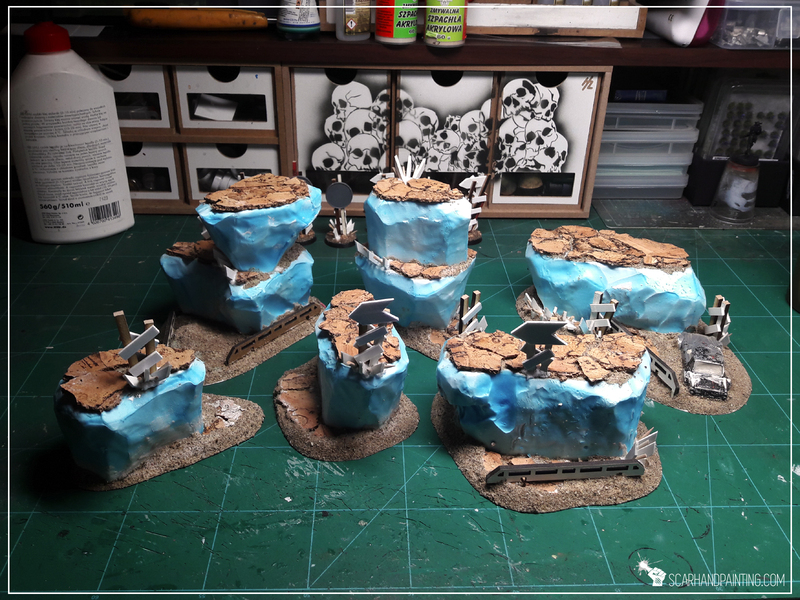 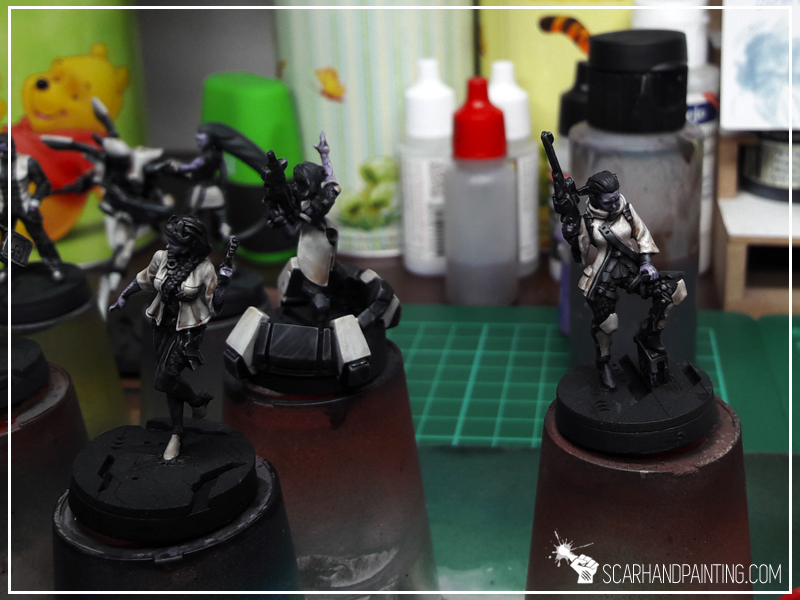 Welcome to Painting Infinity Daofei Camo tutorial. 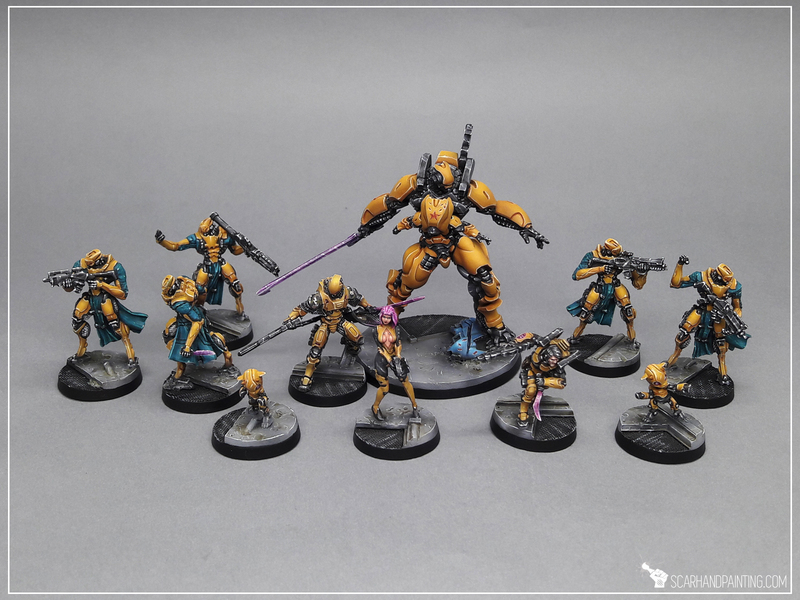 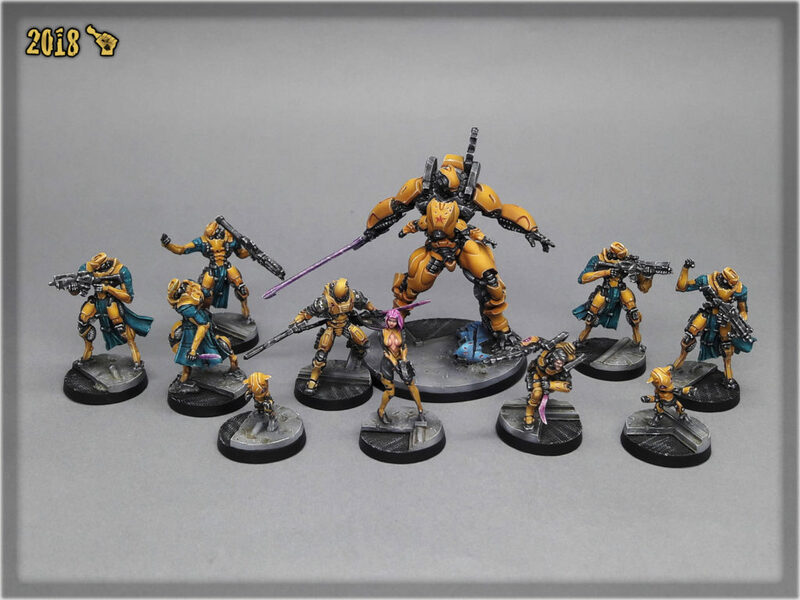 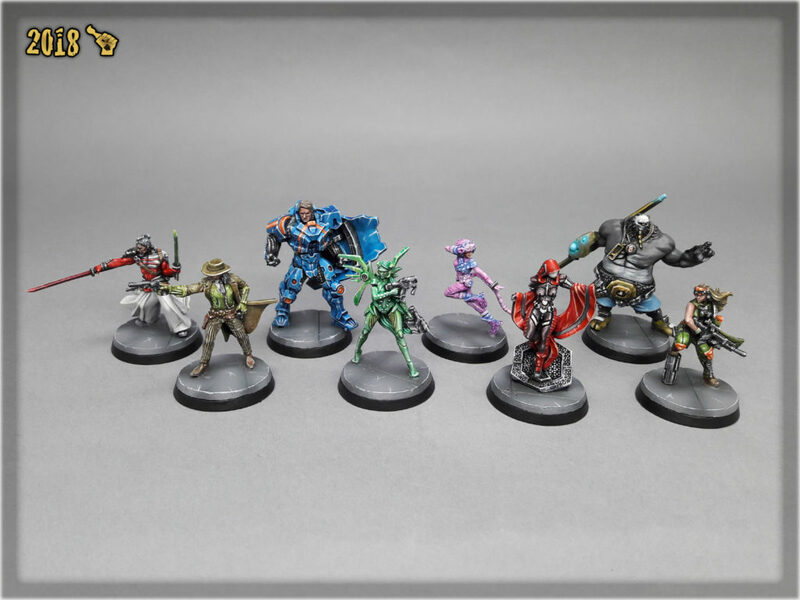 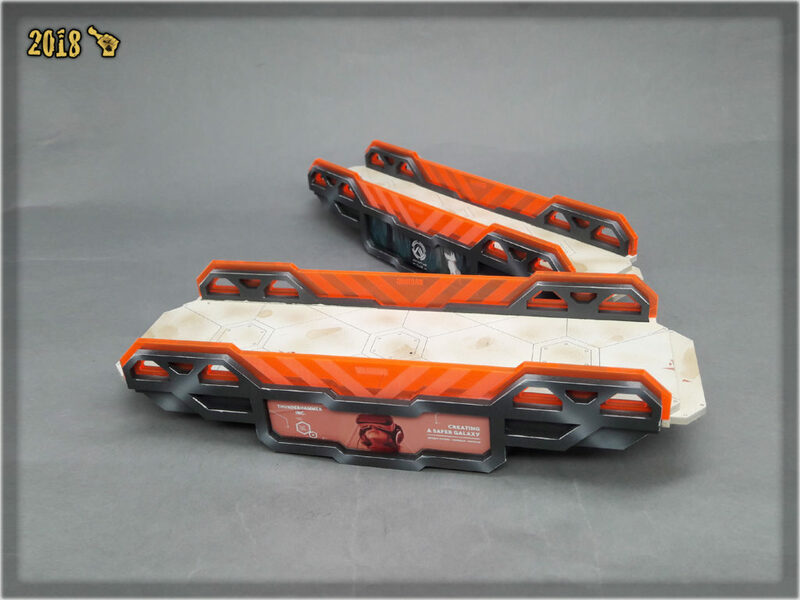 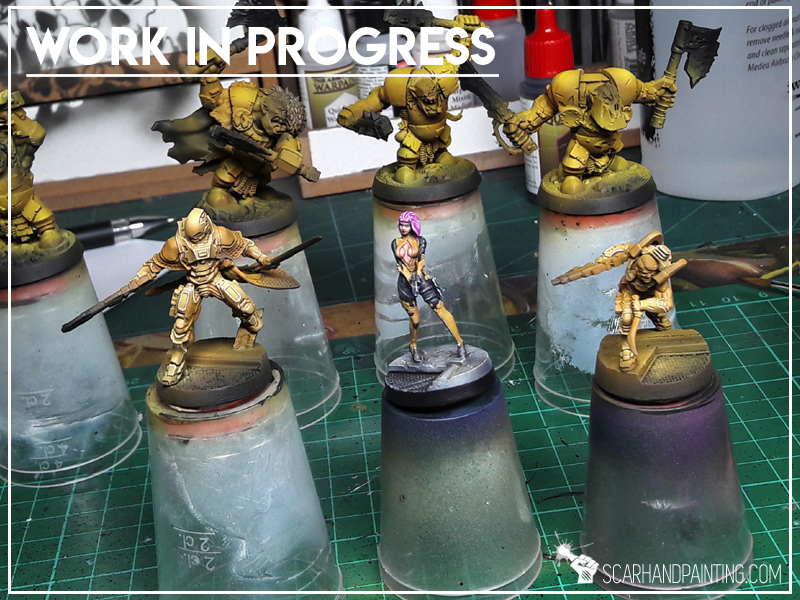 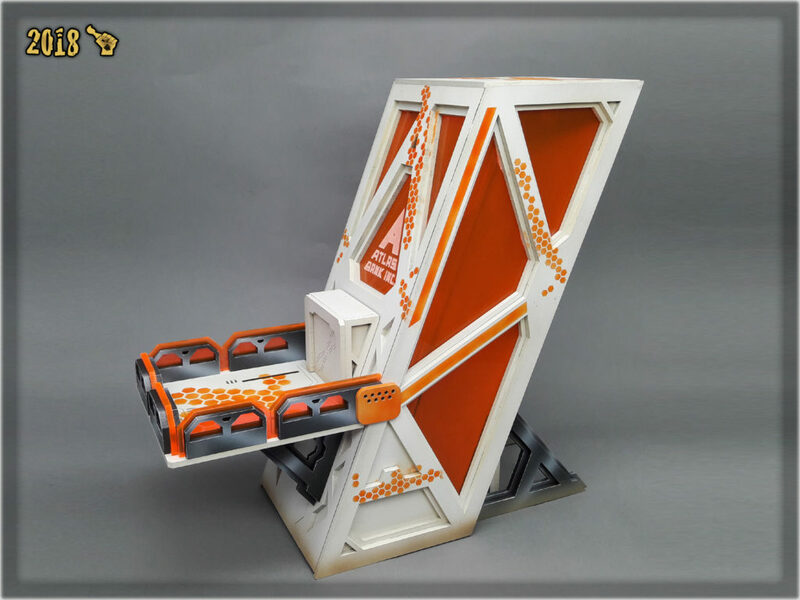 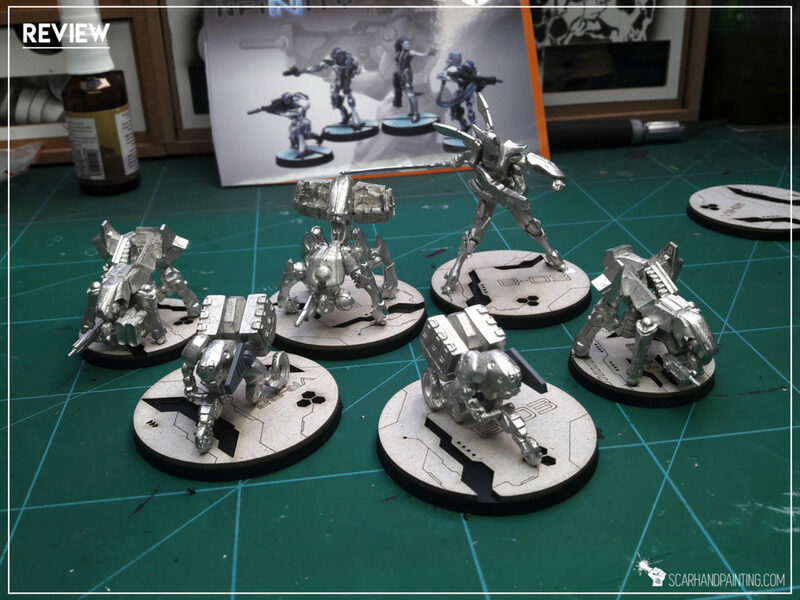 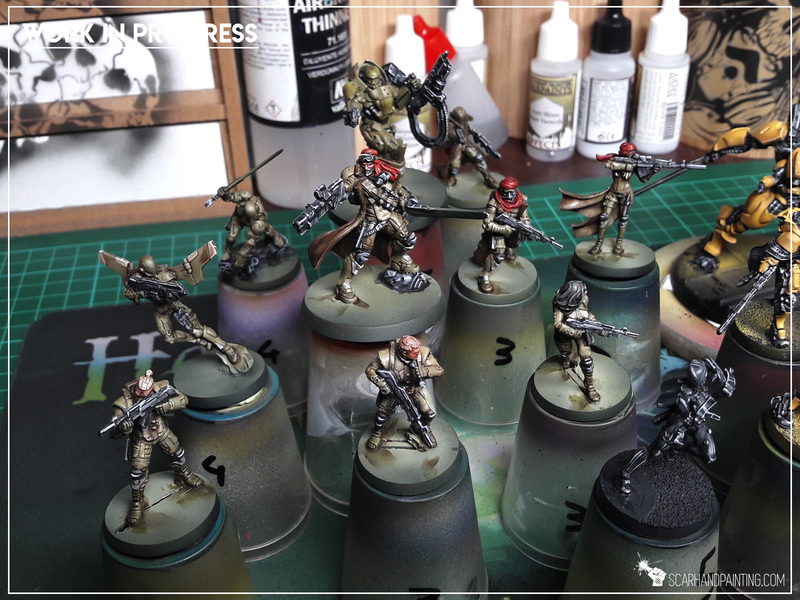 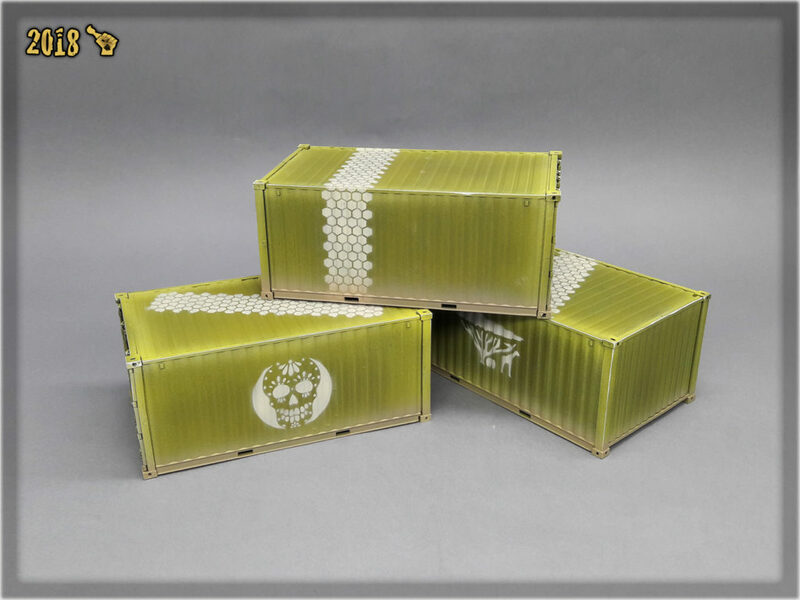 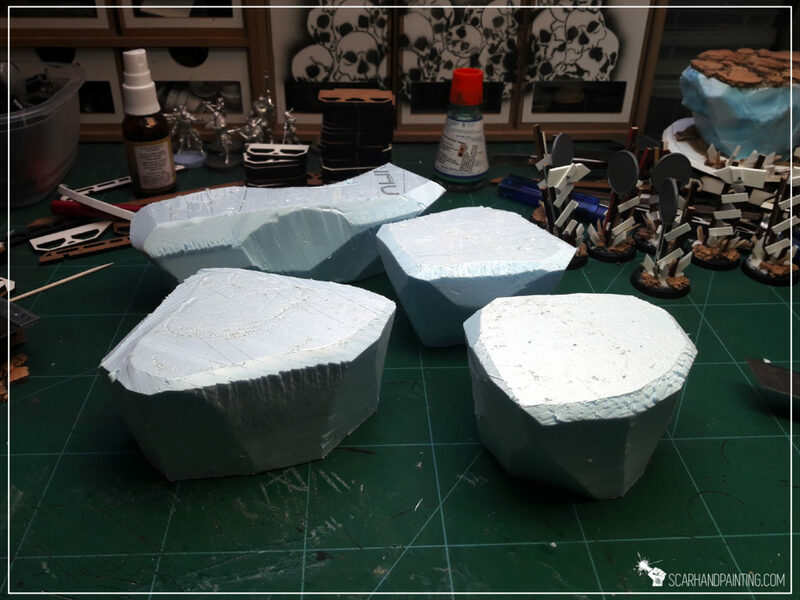 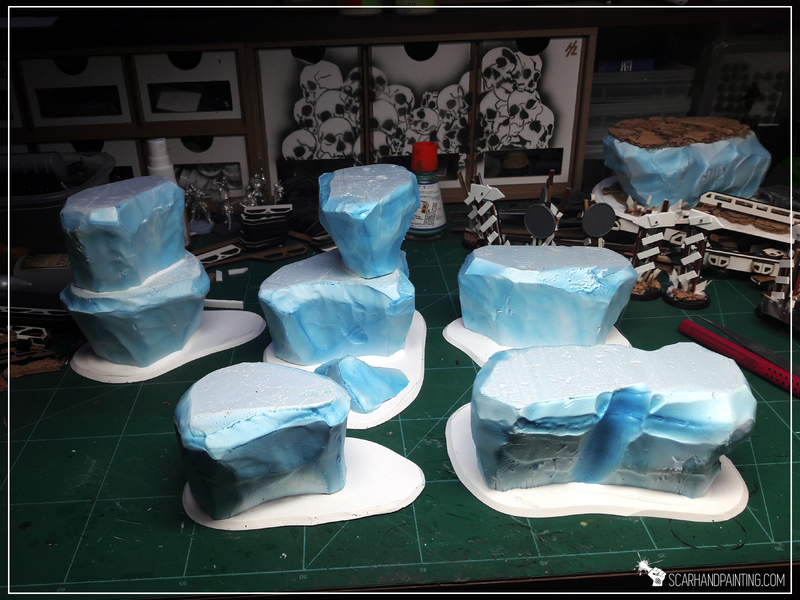 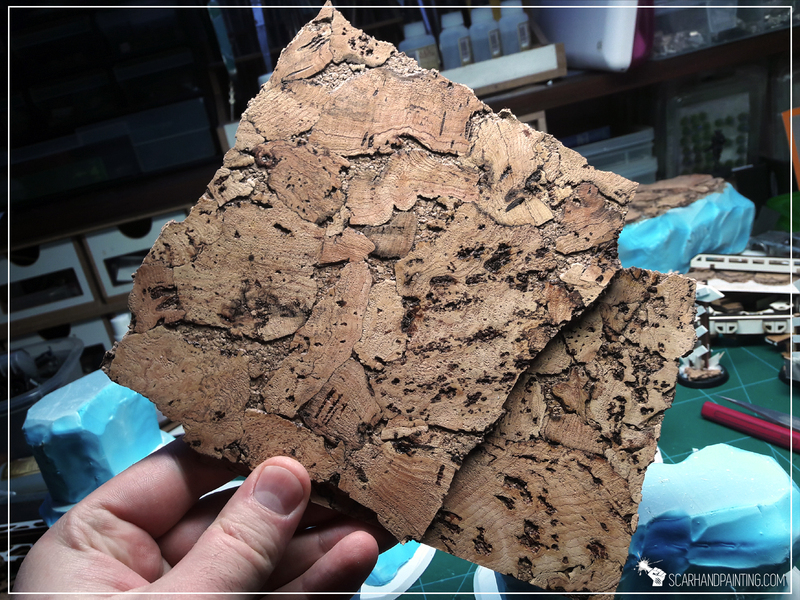 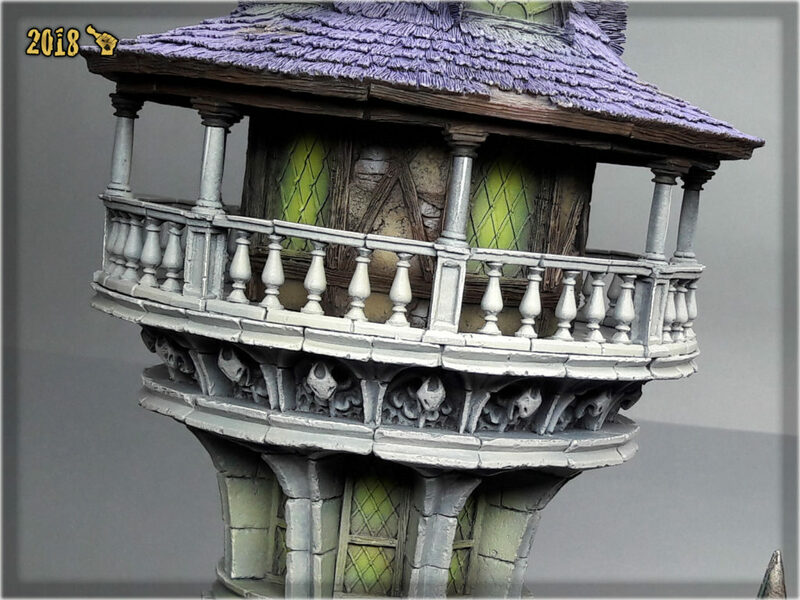 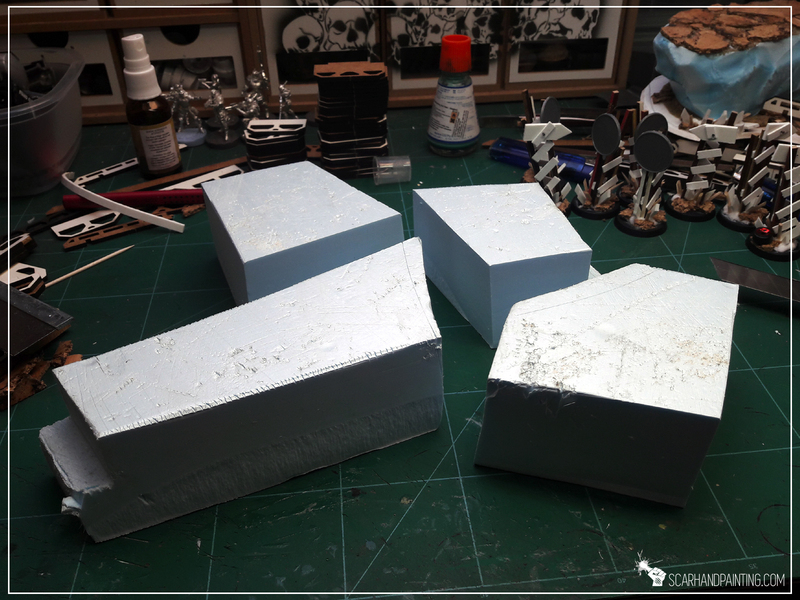 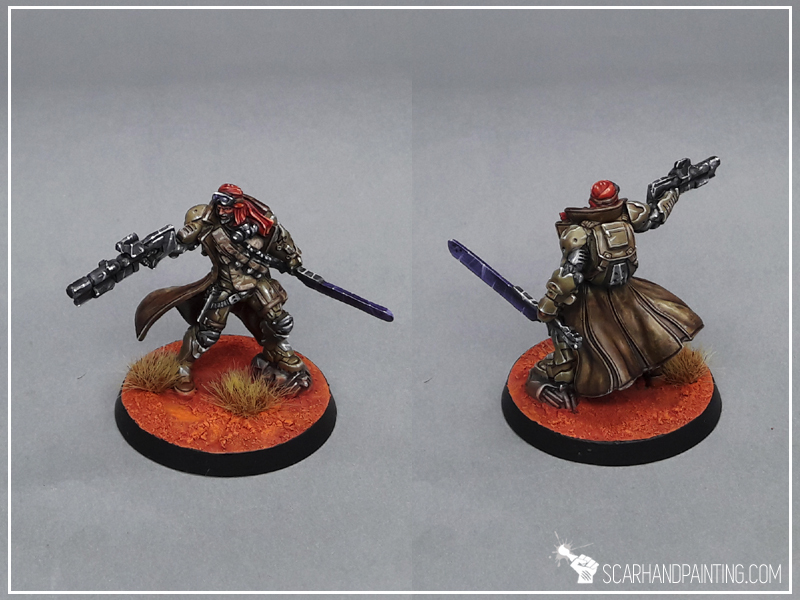 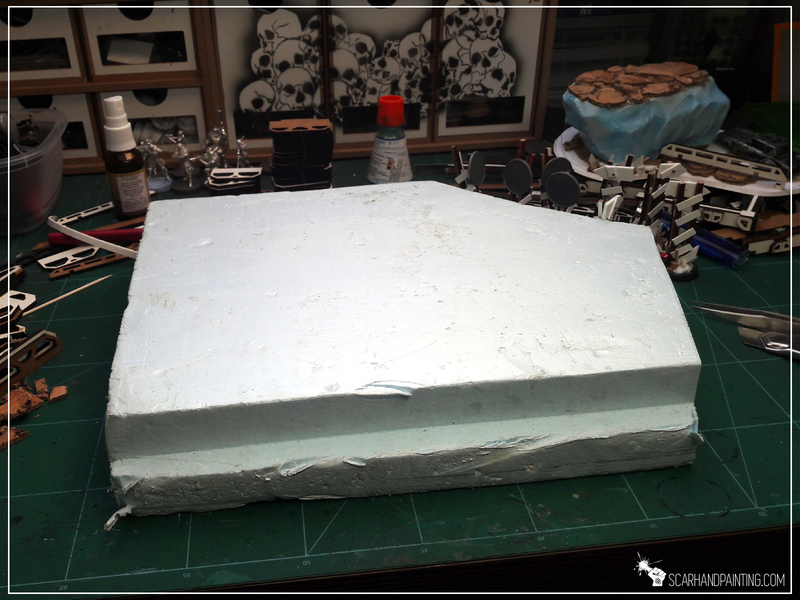 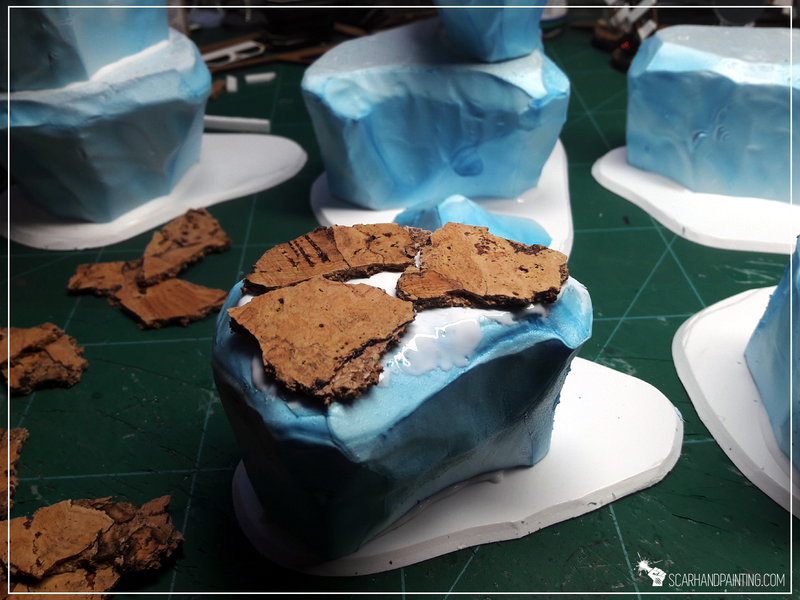 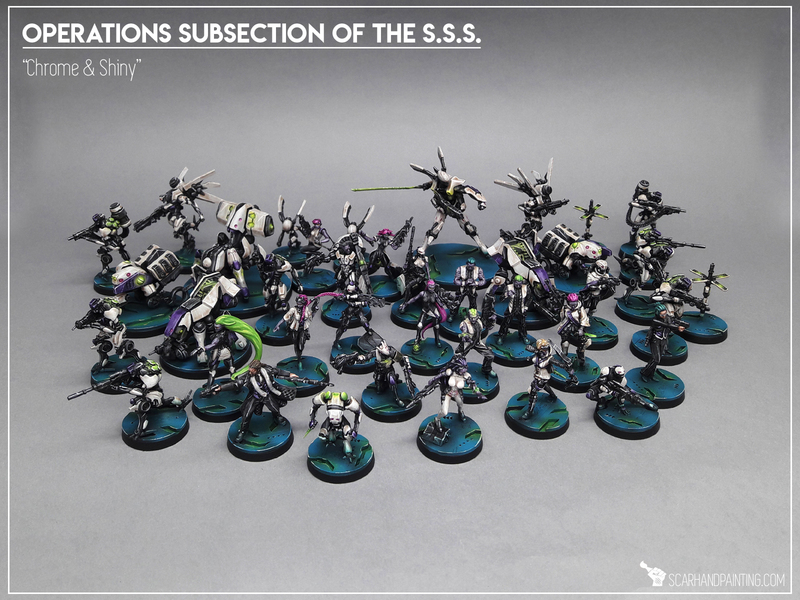 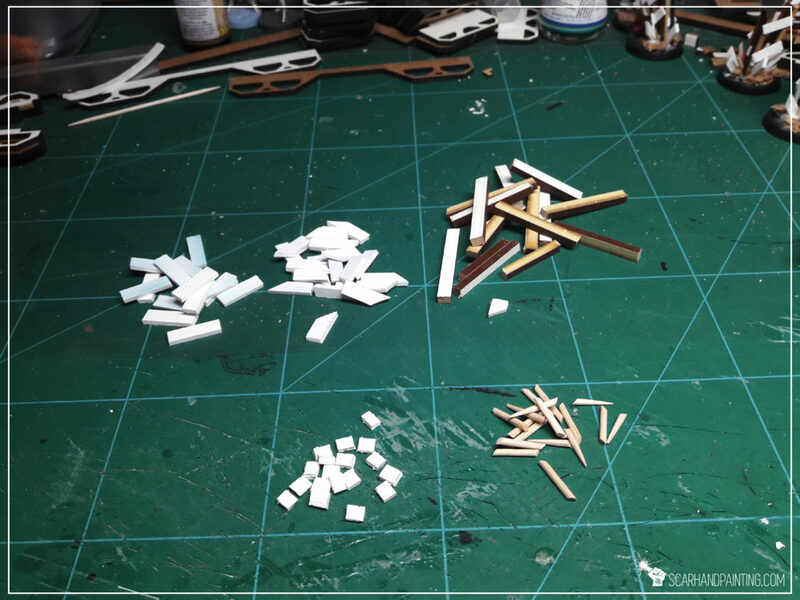 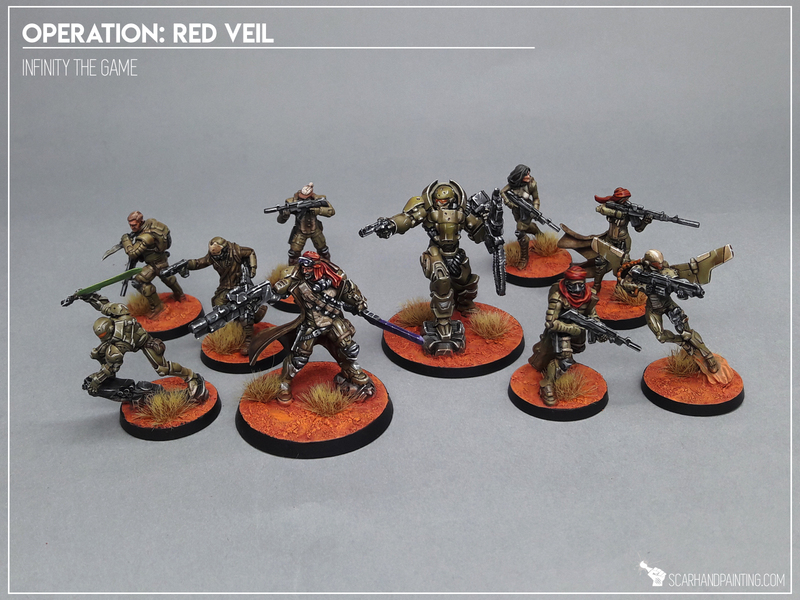 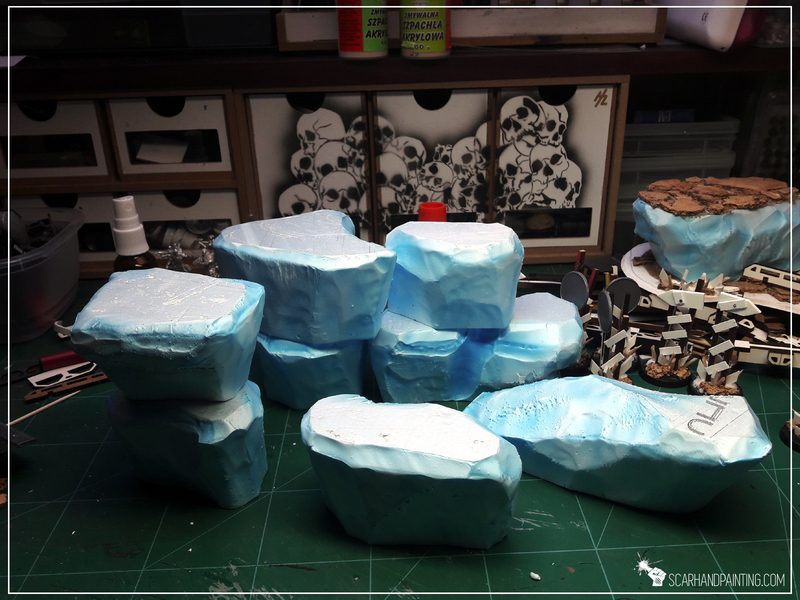 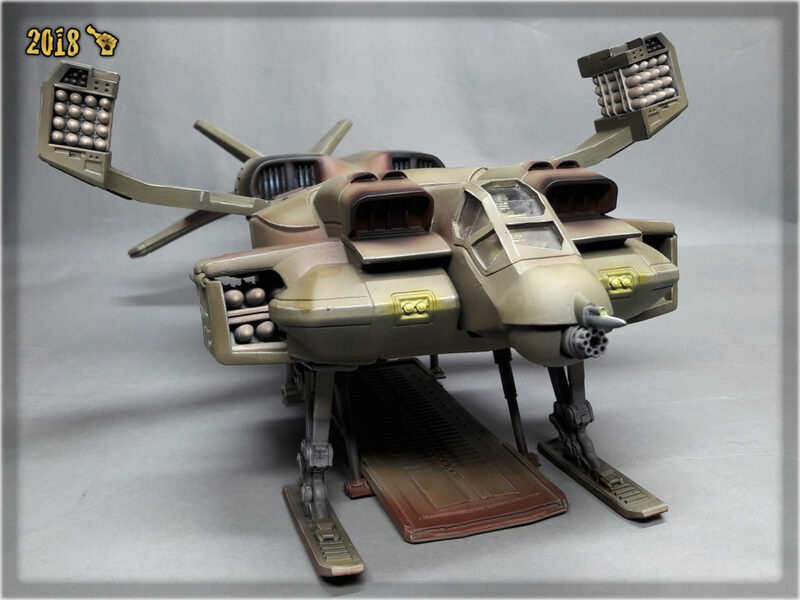 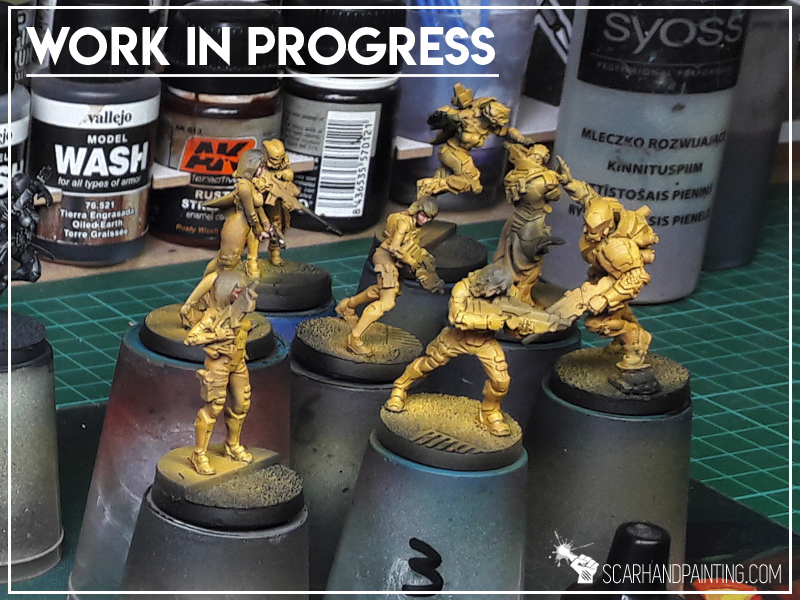 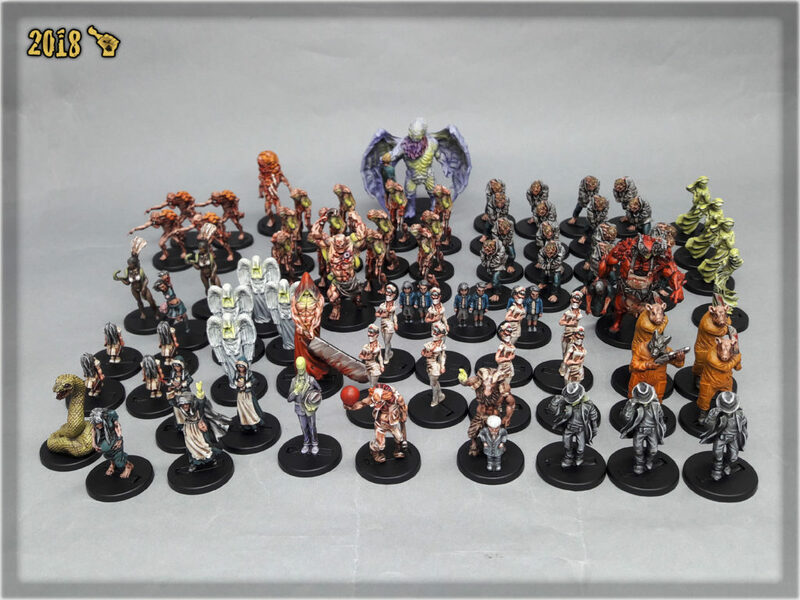 Here I will take you on a Step-by-step trip through the process of painting Daofei Camo the same way as seen at: Gallery: Yu-Jing. 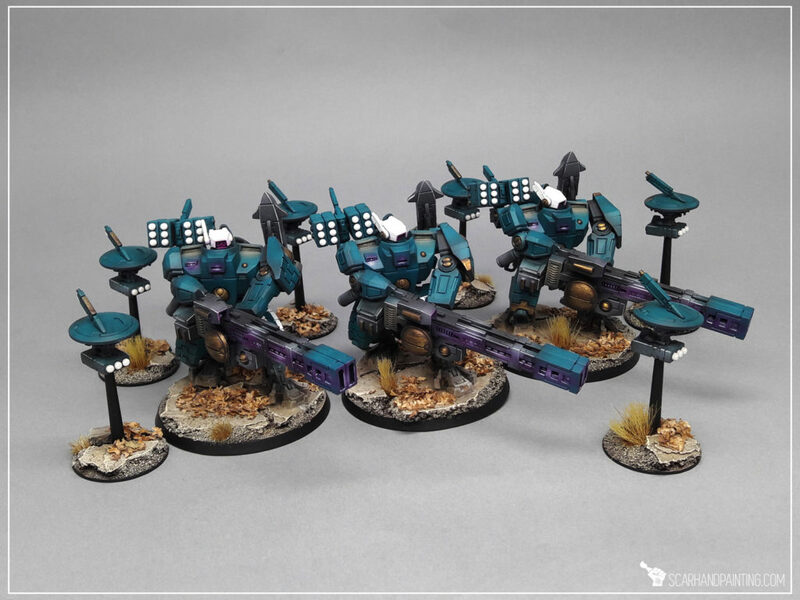 * This one requires no Airbrush. 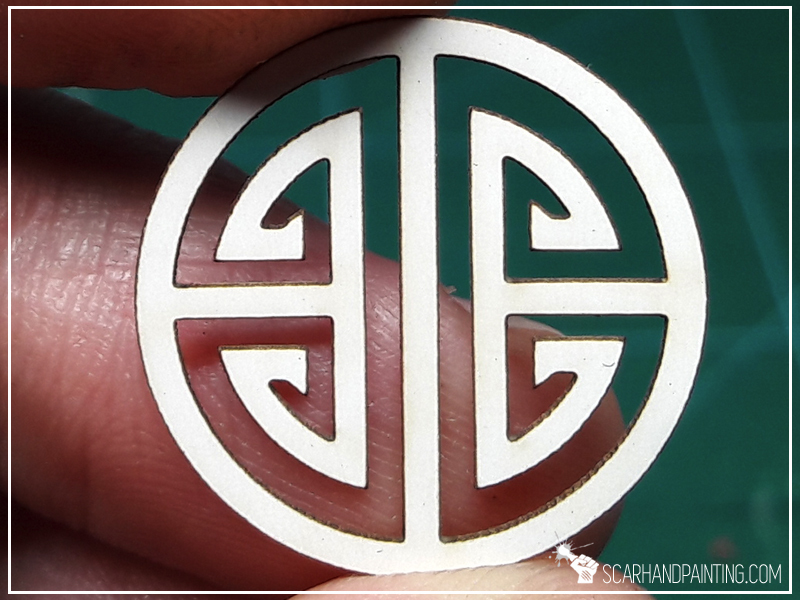 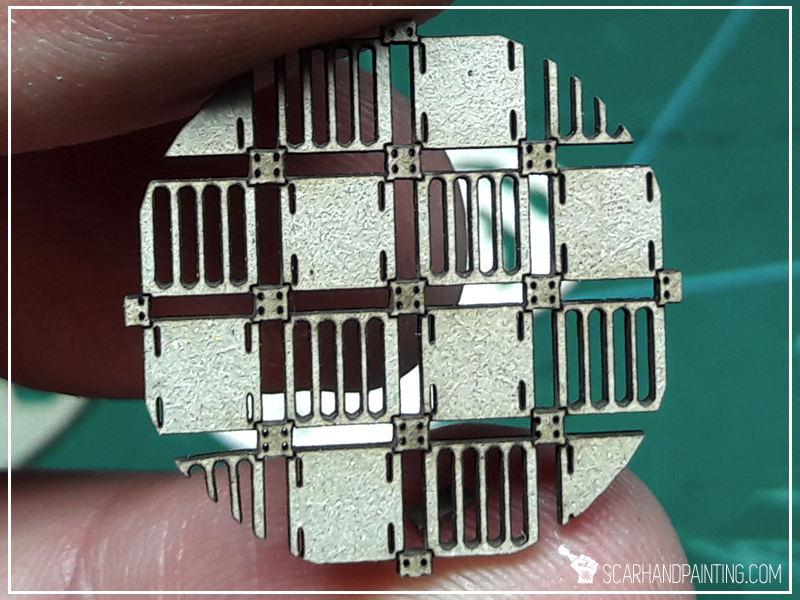 * For better visibility there are two different sizes of the pattern. 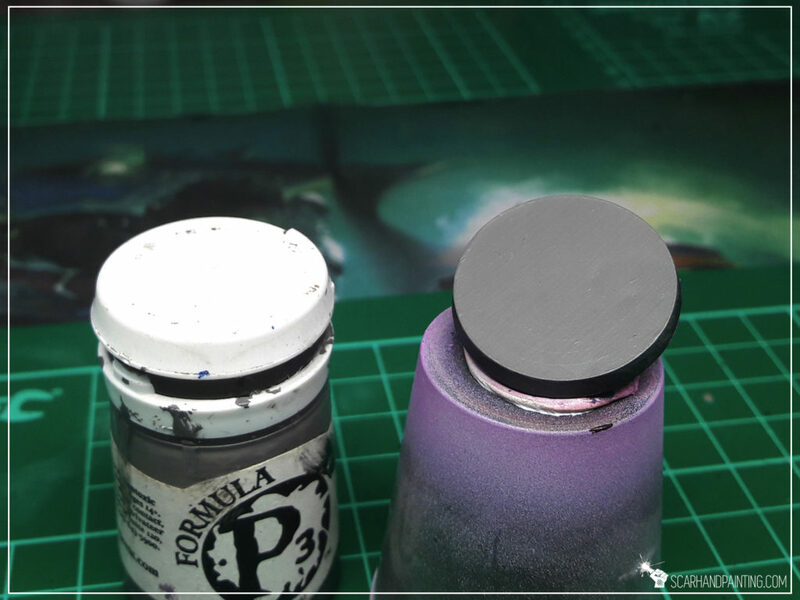 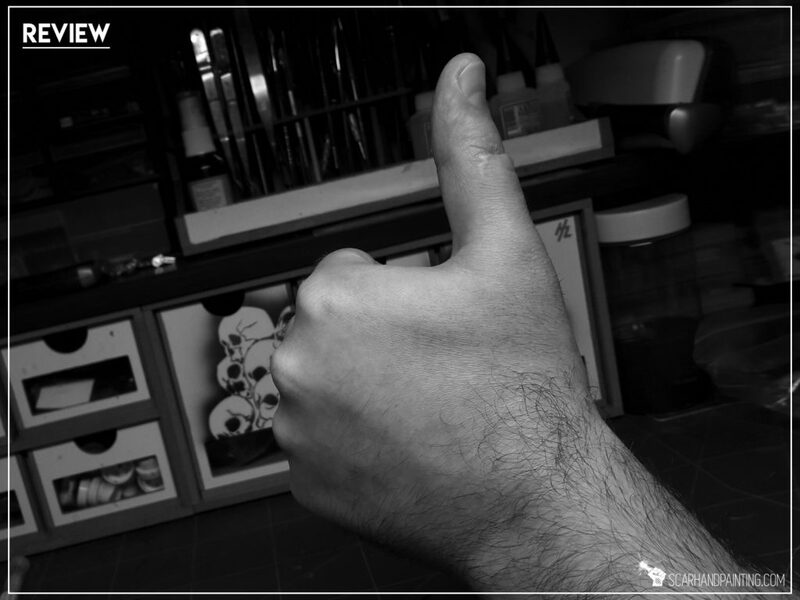 * Start by applying a smooth layer of P3 Bastion Grey. 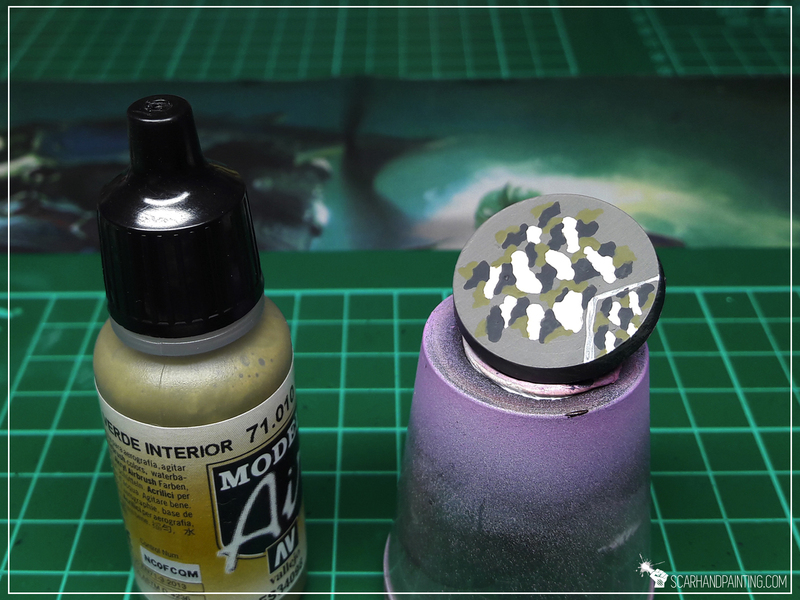 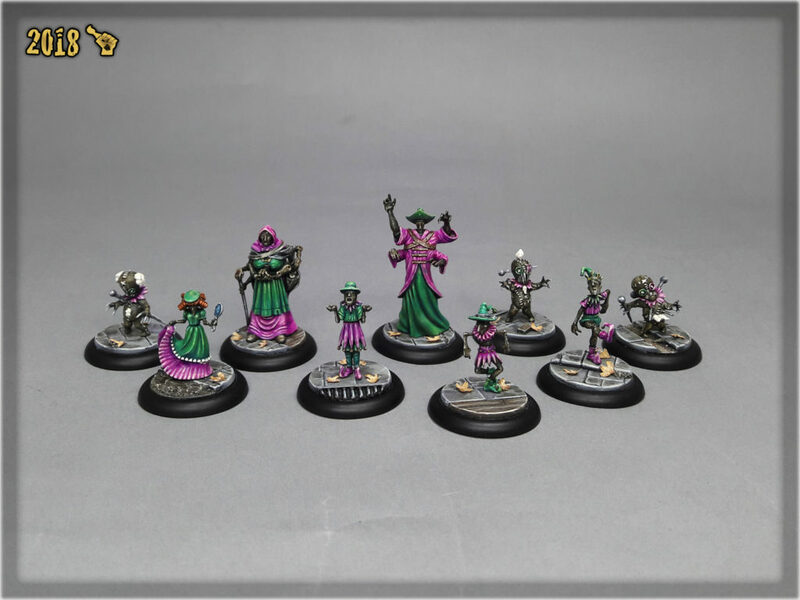 * Create basic pattern, applying Pale Wych Flesh spots leaving similar sized gaps inbetween . 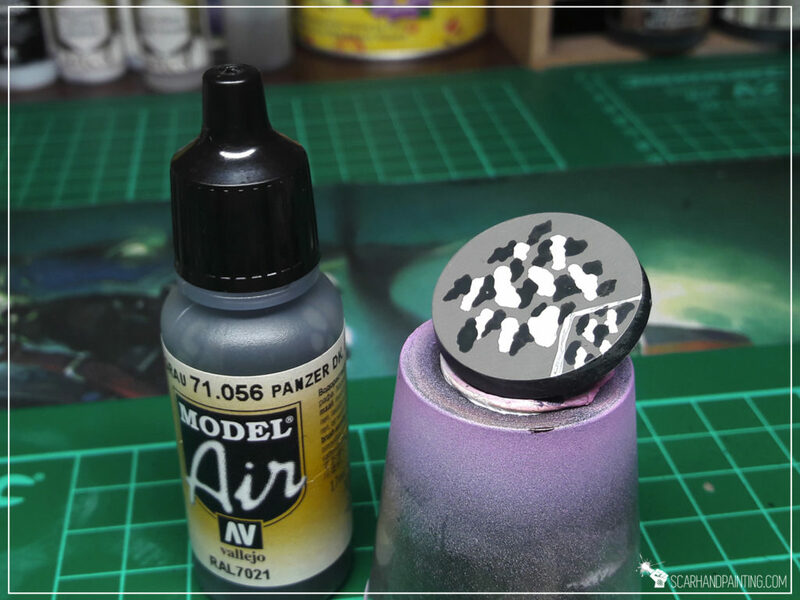 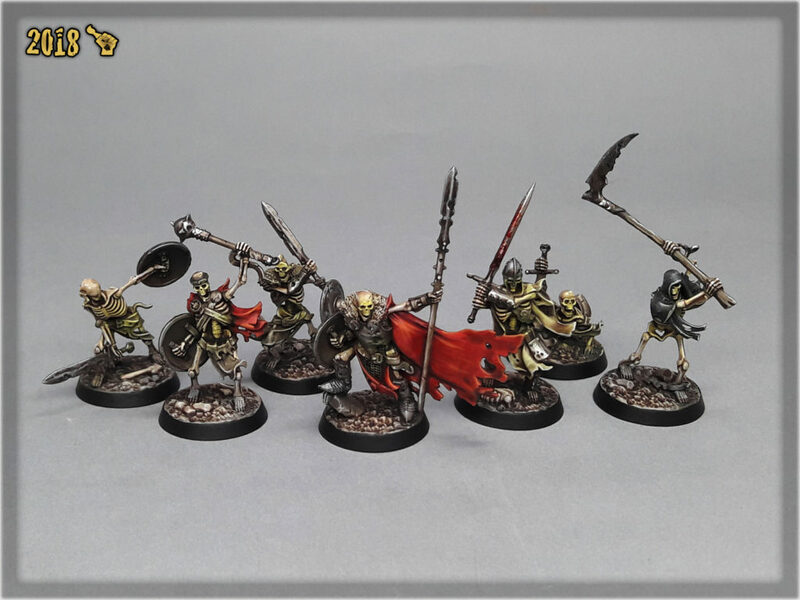 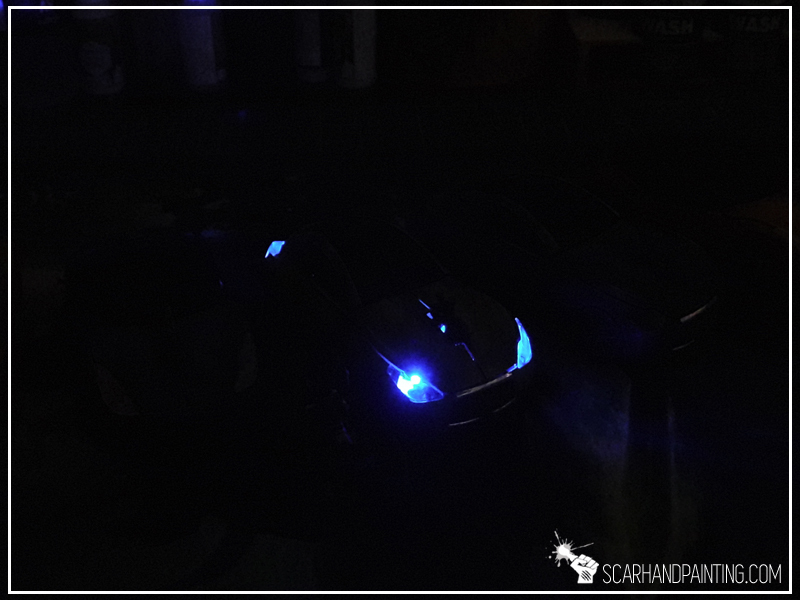 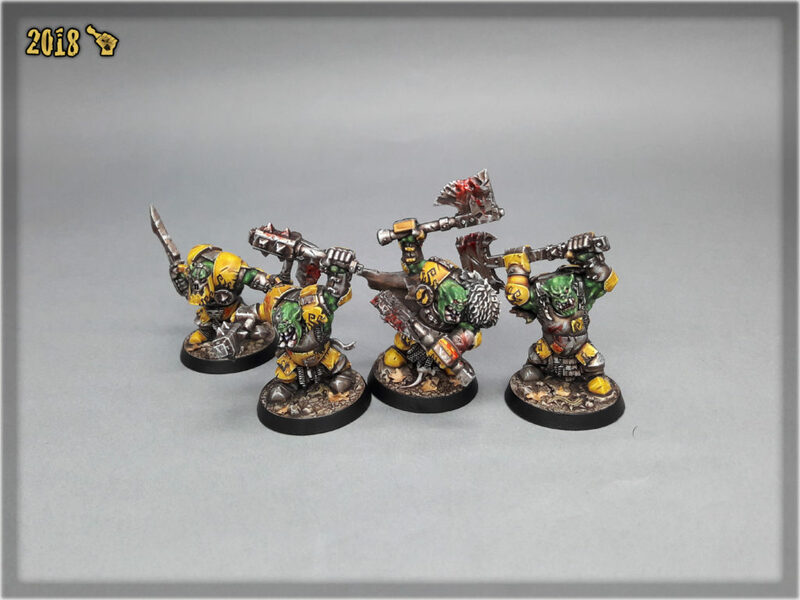 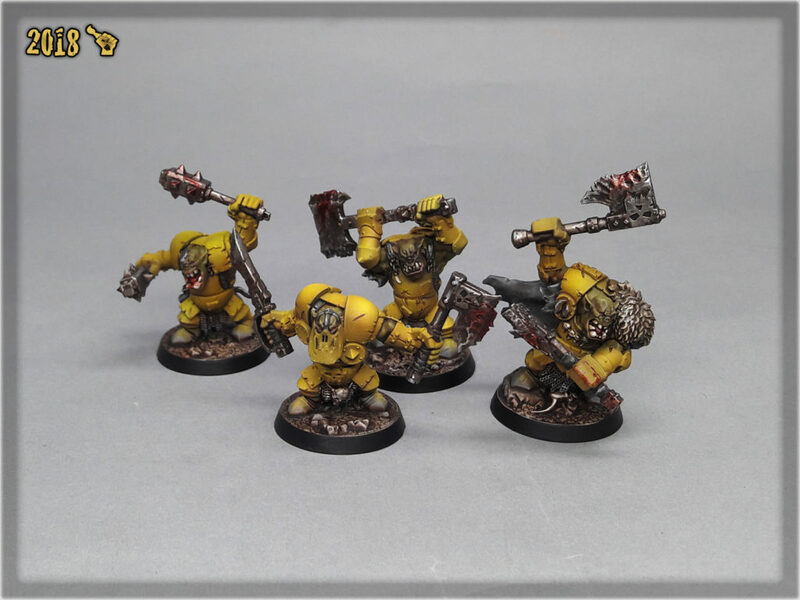 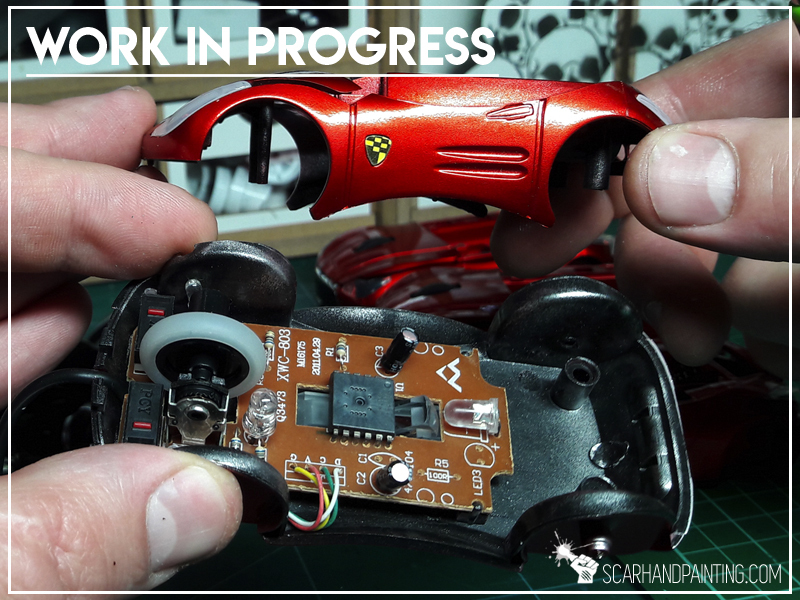 * Next apply Panzer Dark Grey spots between Pale Wych Flesh, so that every new spot touches at least one from the previous layer. 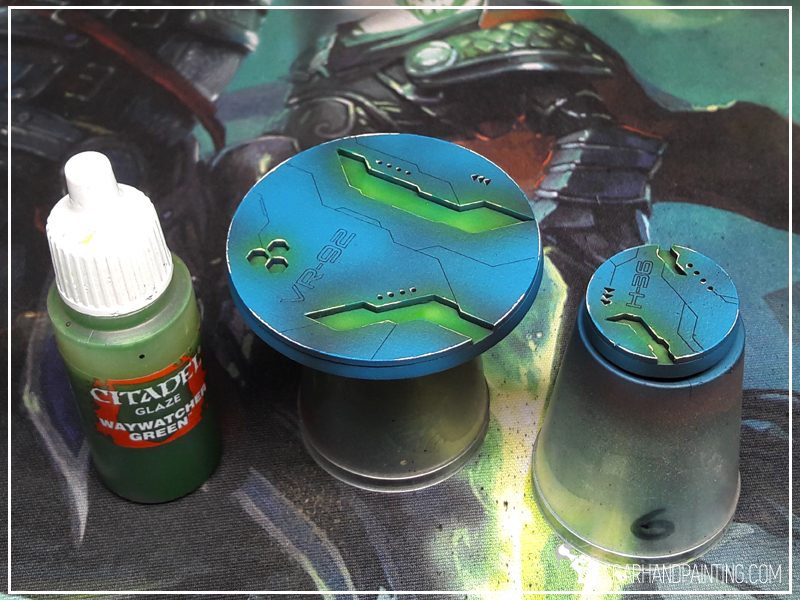 * Follow up with a third layer of pattern, using Interior Green and following the same rules. 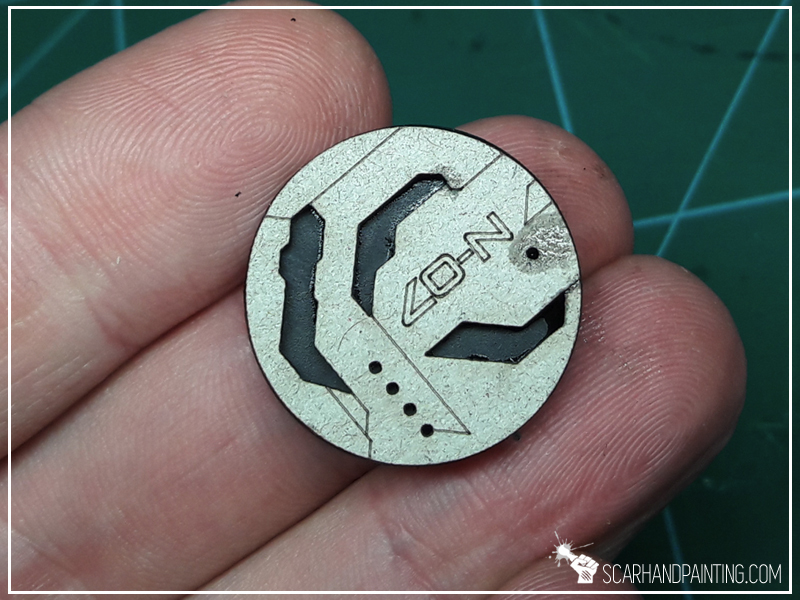 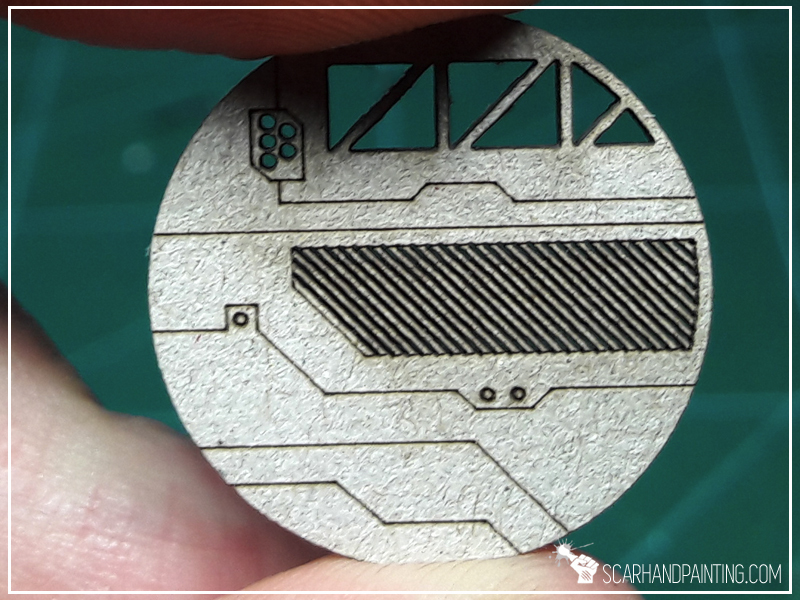 Be sure to leave some spots of Bastion Grey visible. 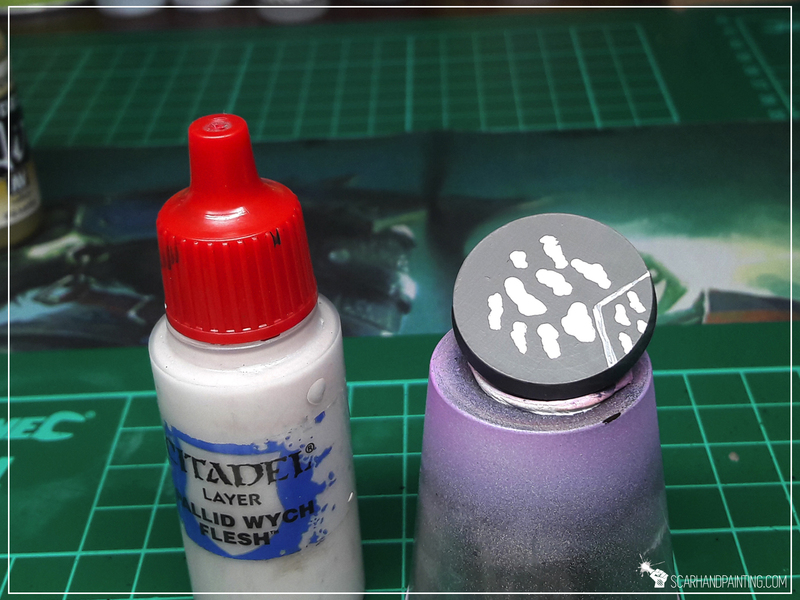 * Lastly add tiny spots of Panzer Dark Grey on top of Pale Wych Flesh pattern. 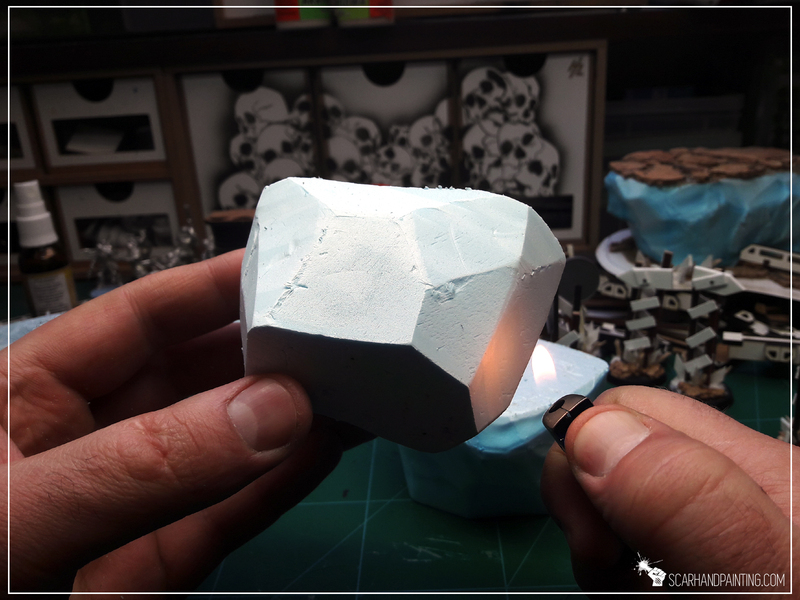 Some might touch the edges.